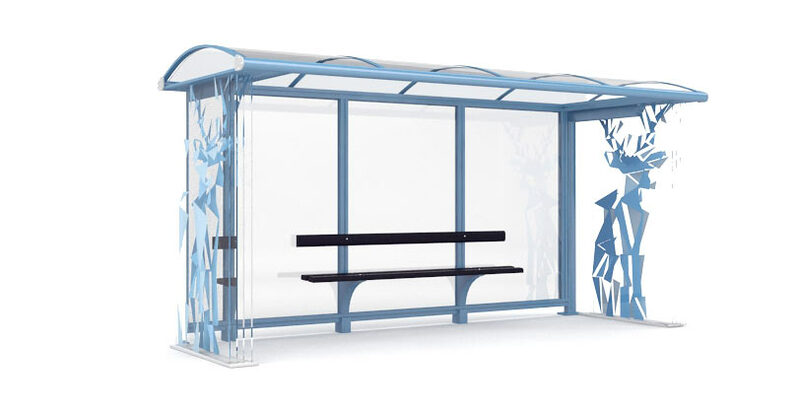 Task: to design bus stop shelters located near cottage estates developed by Sabidom. 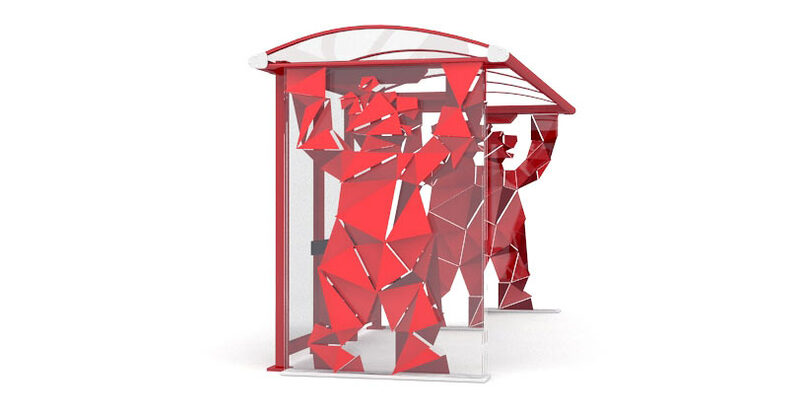 German Village and White City cottage estates were developed by Sabidom. 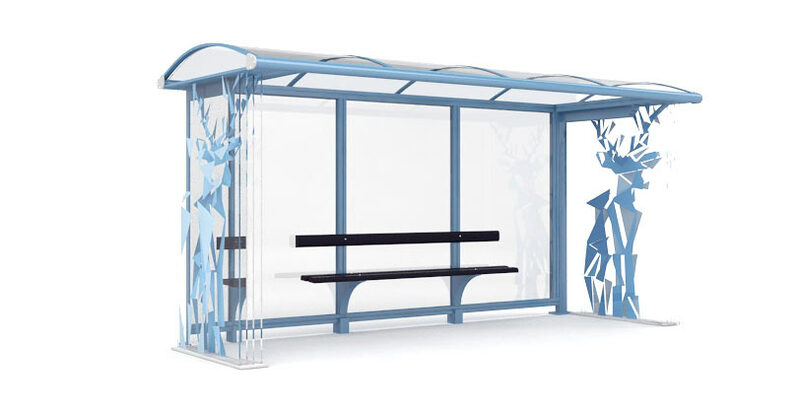 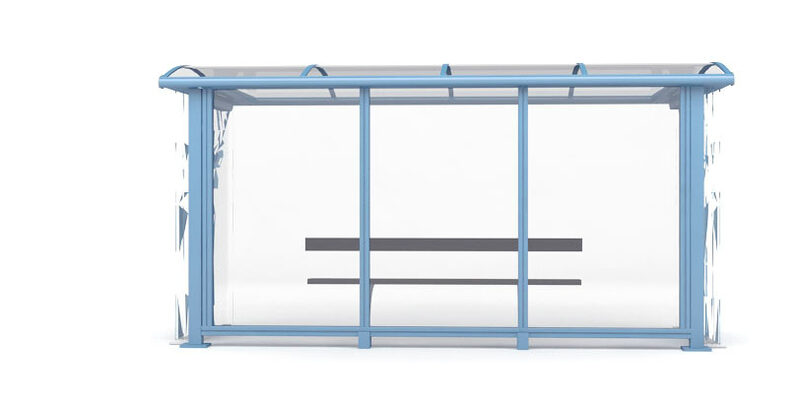 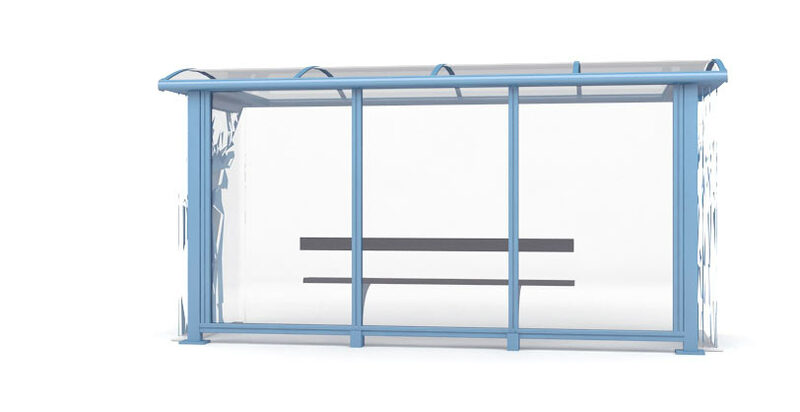 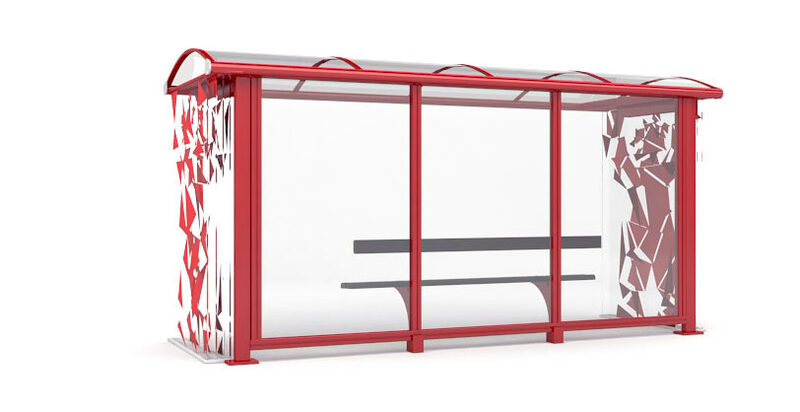 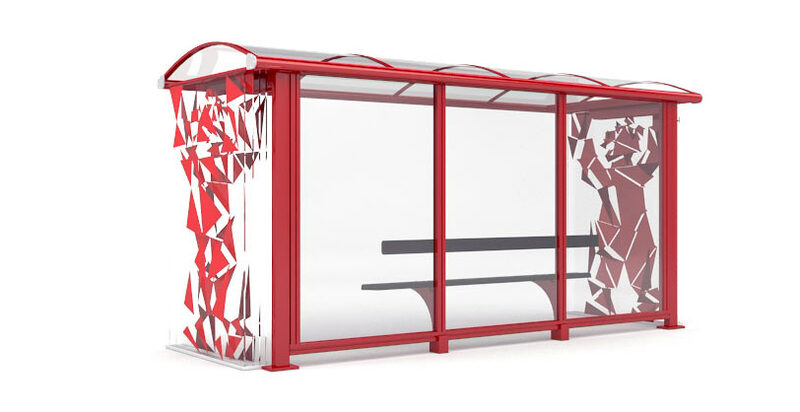 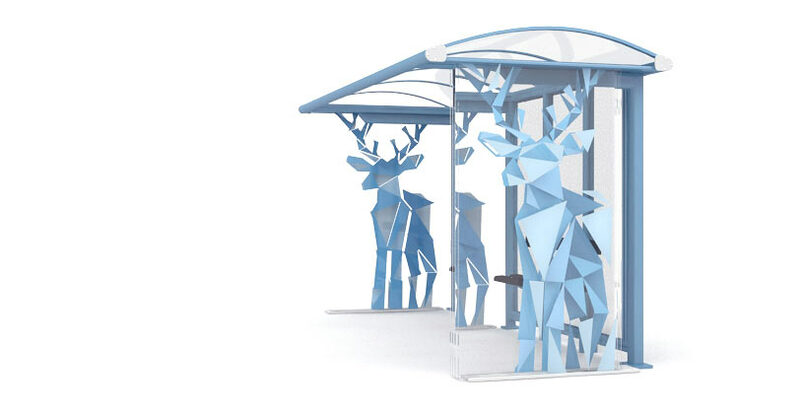 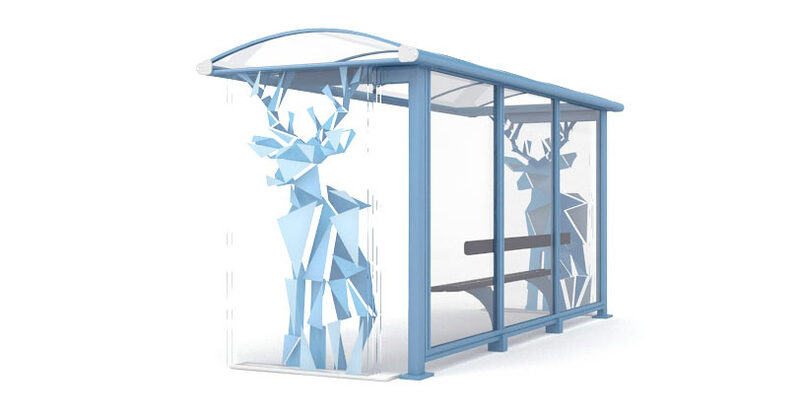 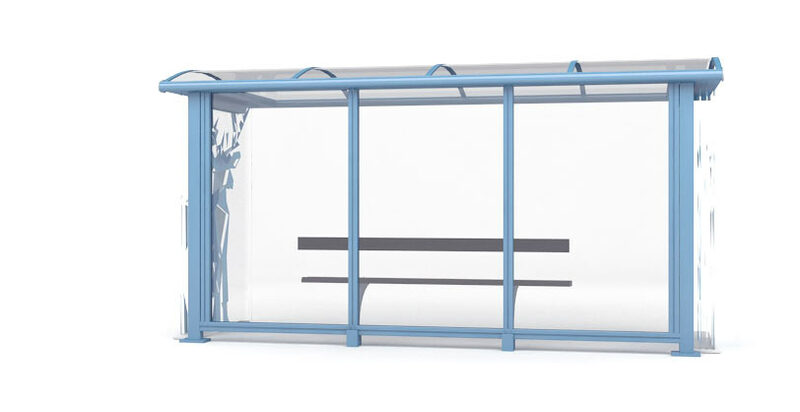 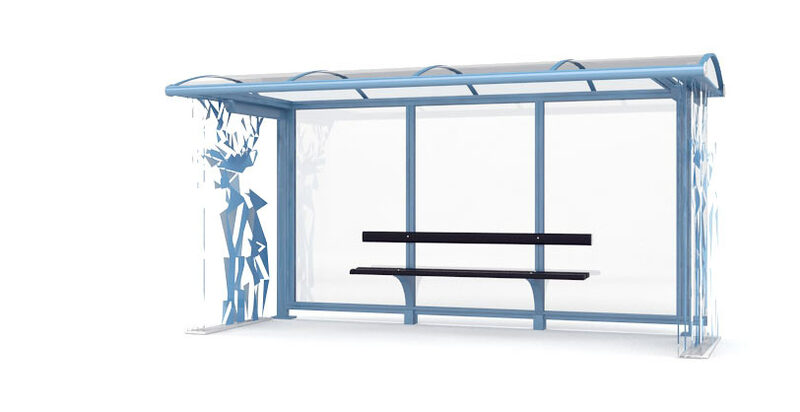 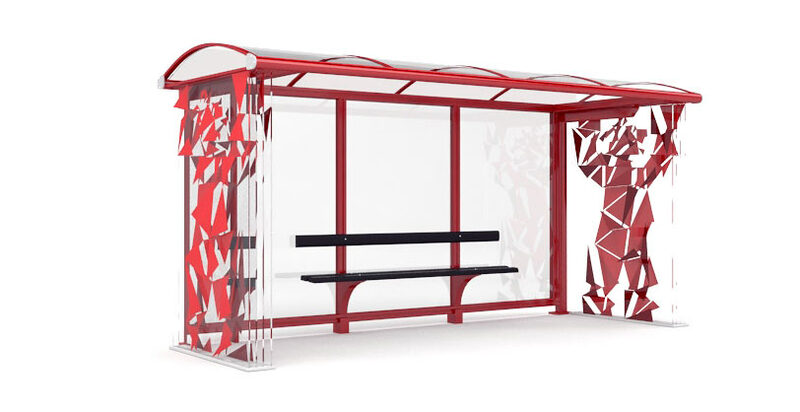 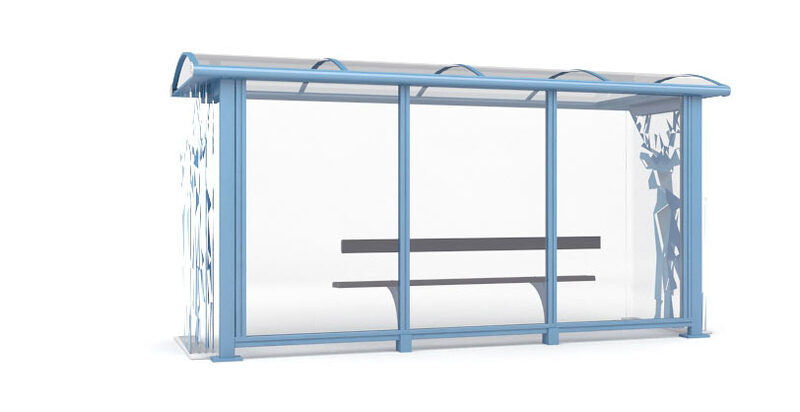 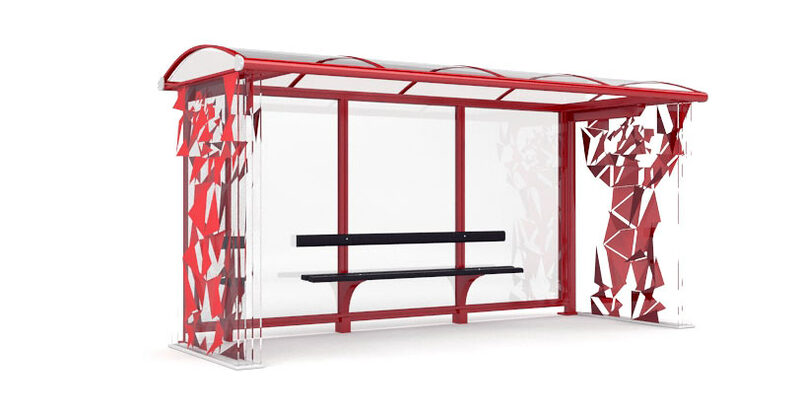 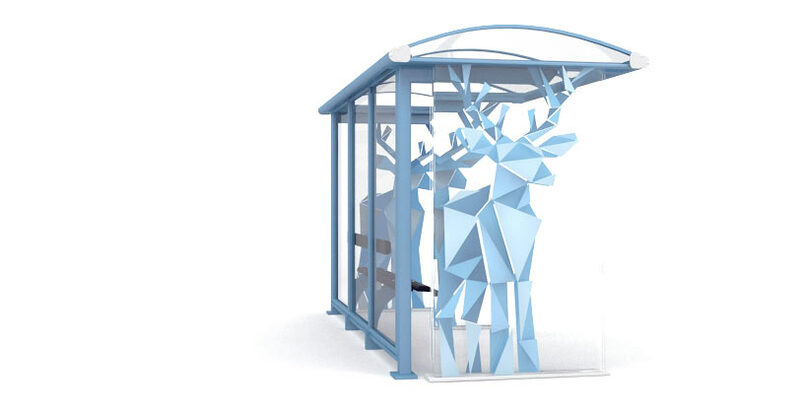 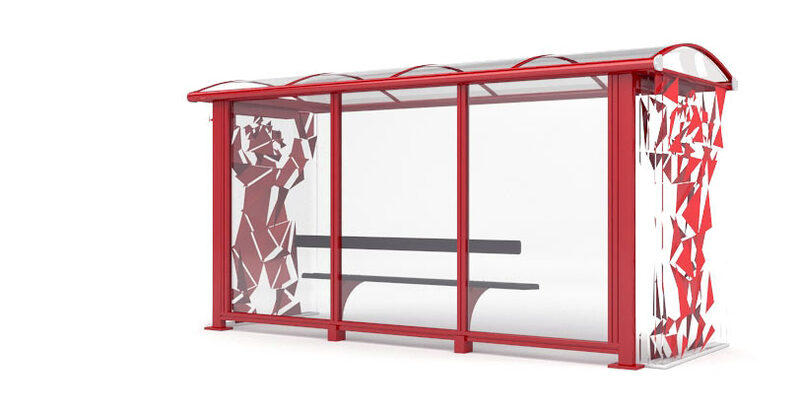 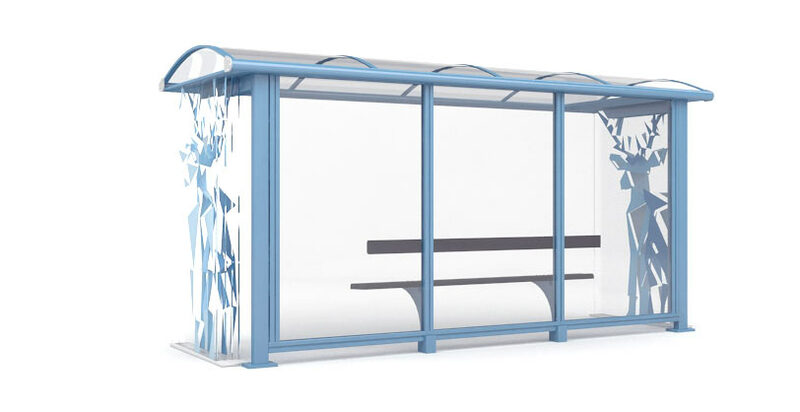 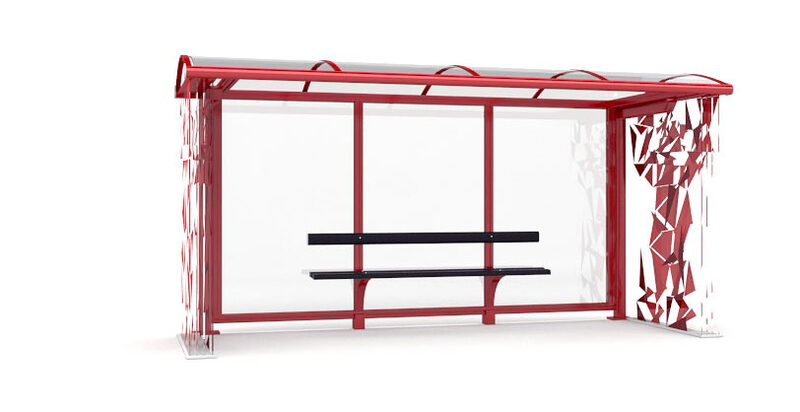 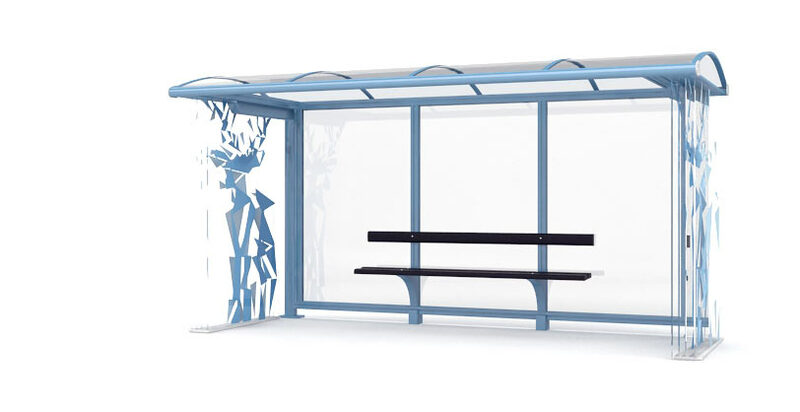 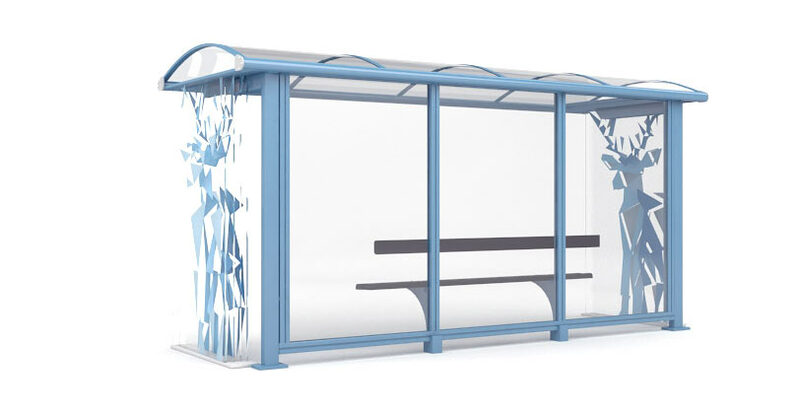 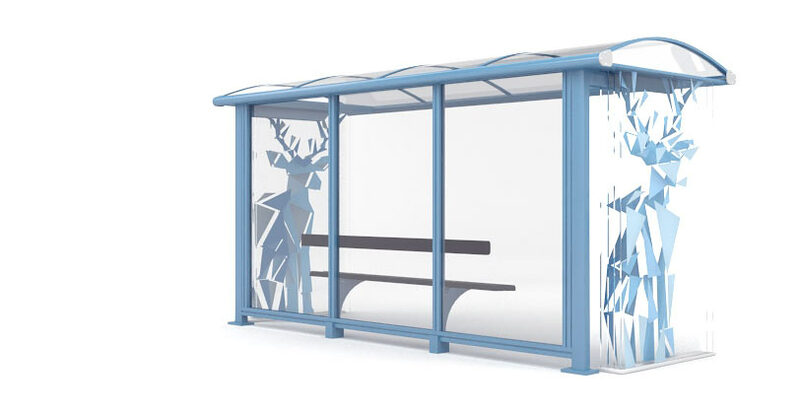 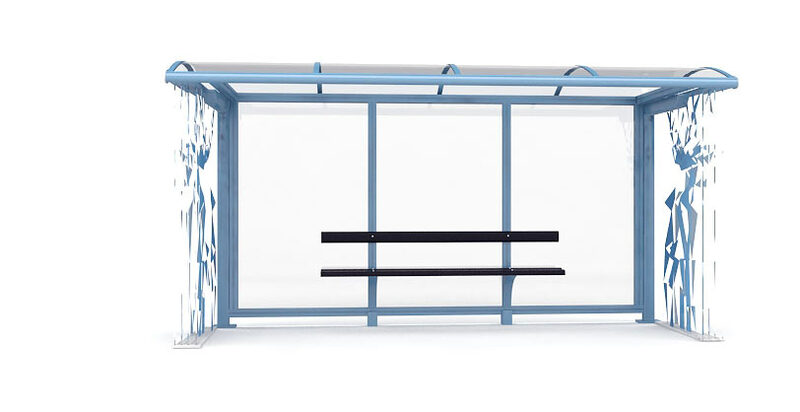 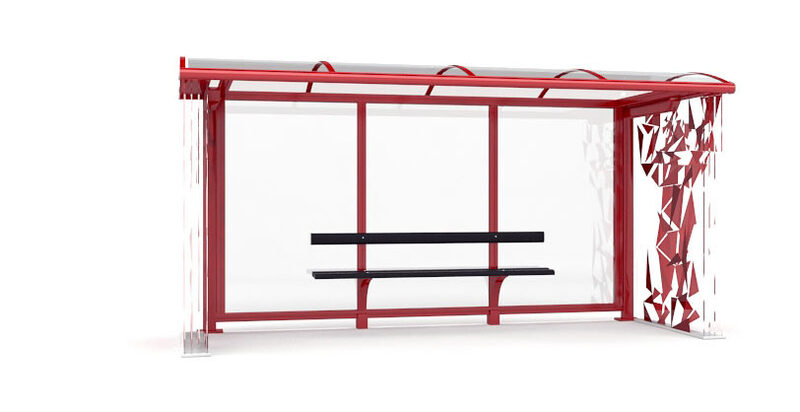 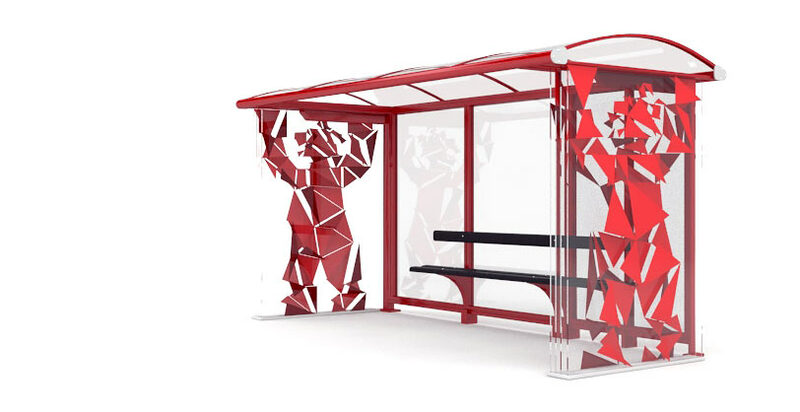 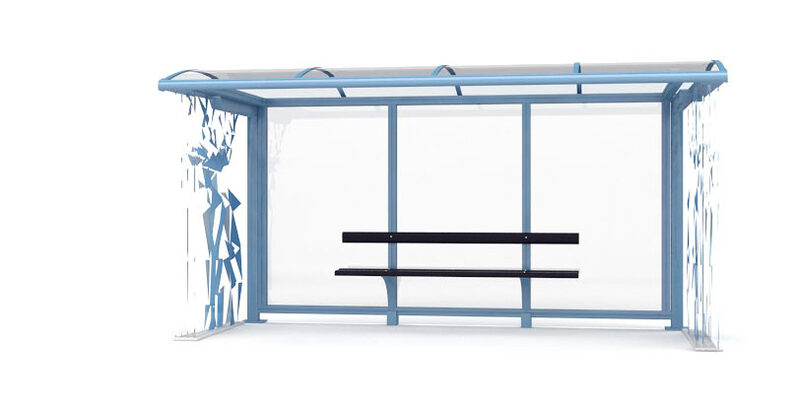 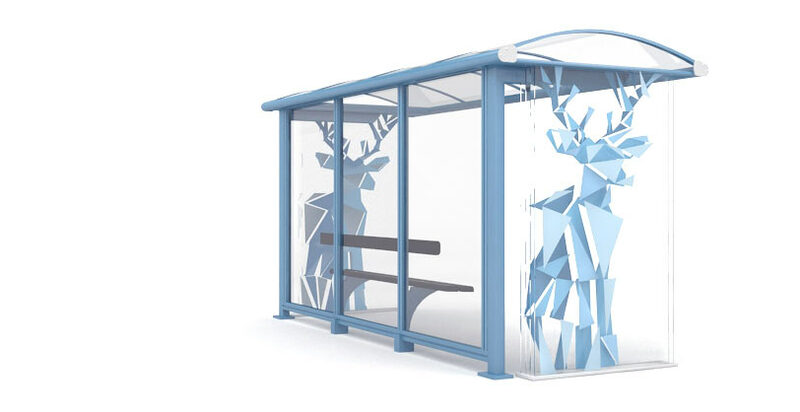 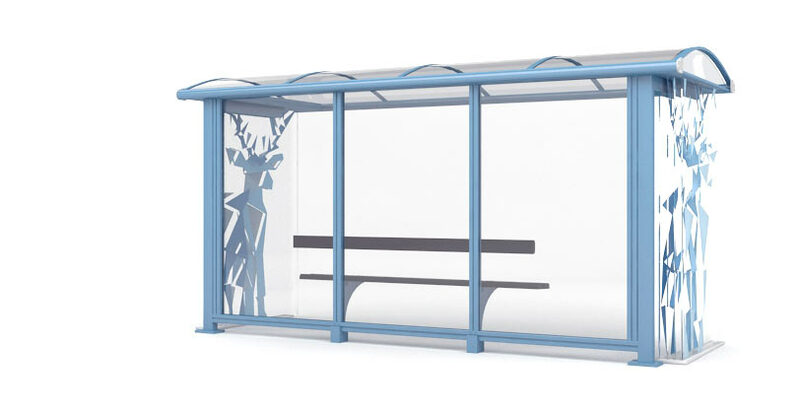 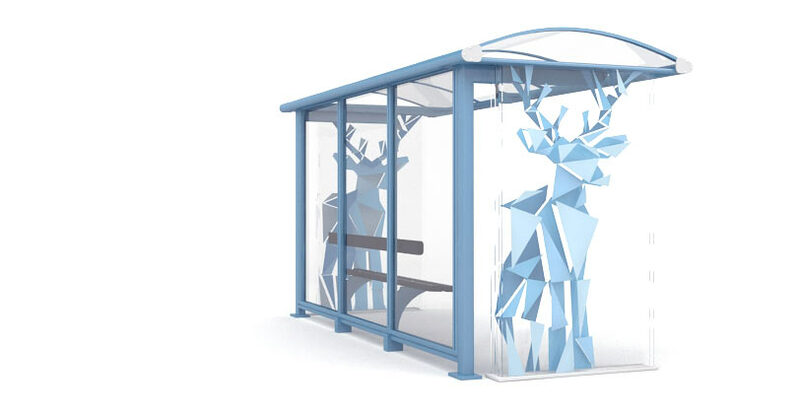 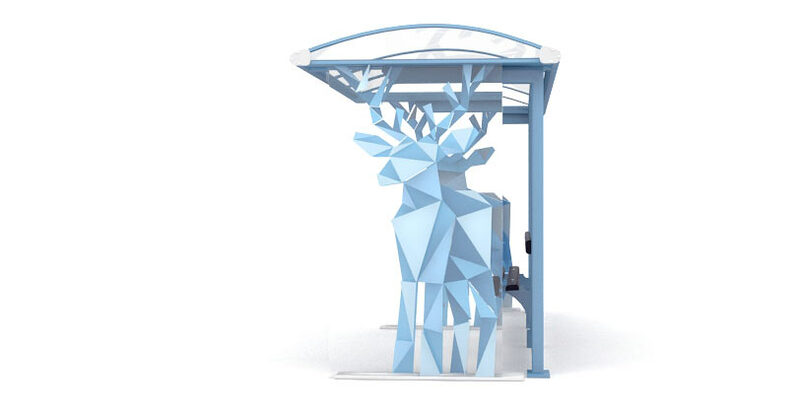 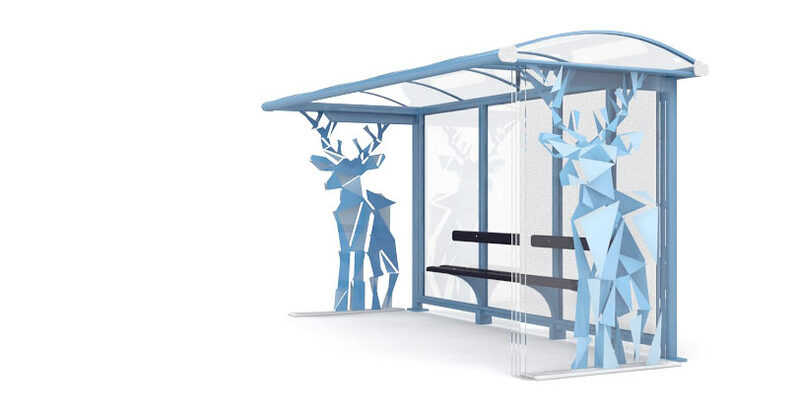 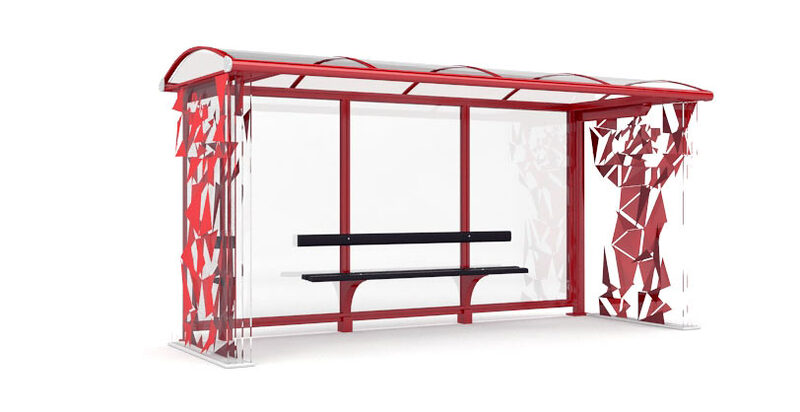 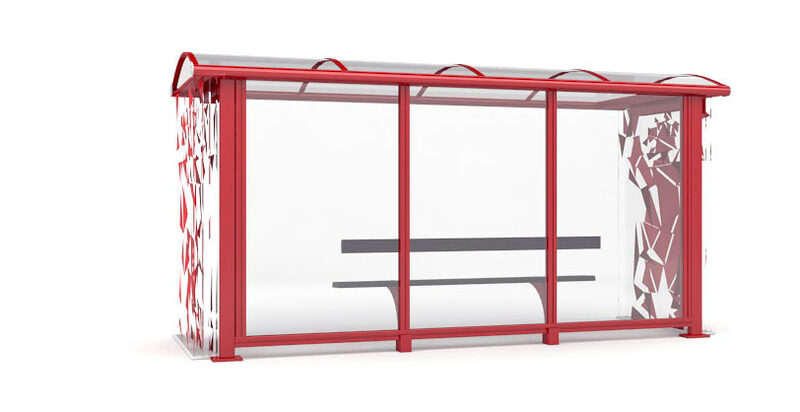 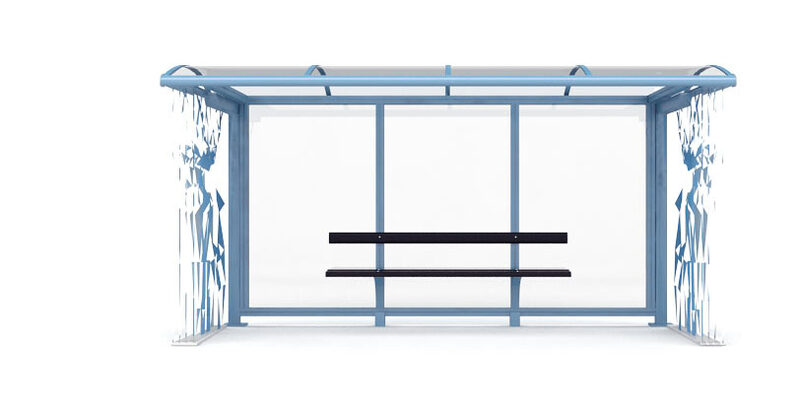 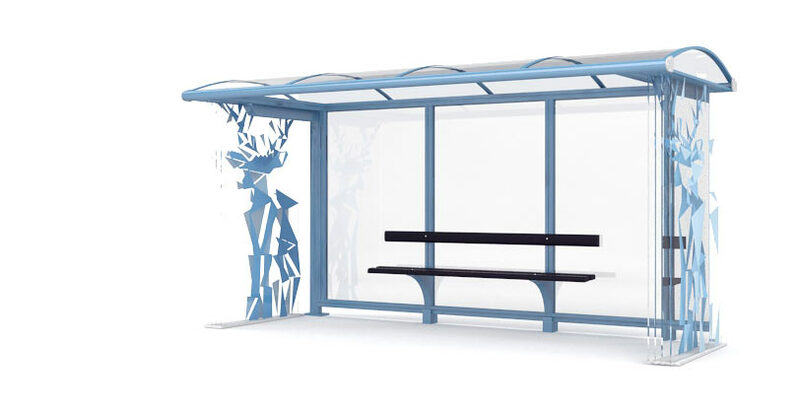 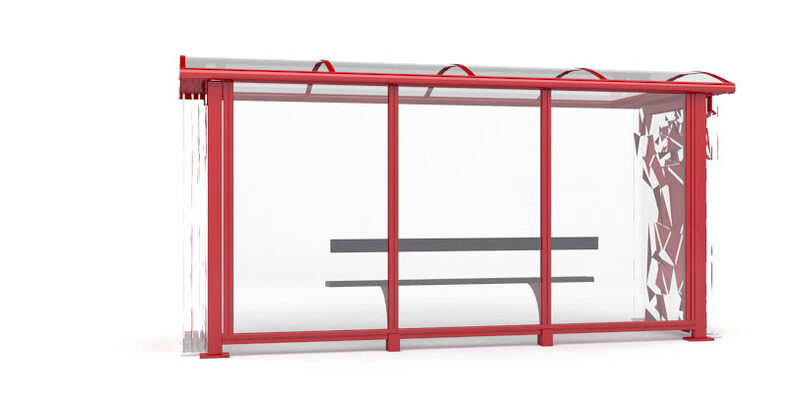 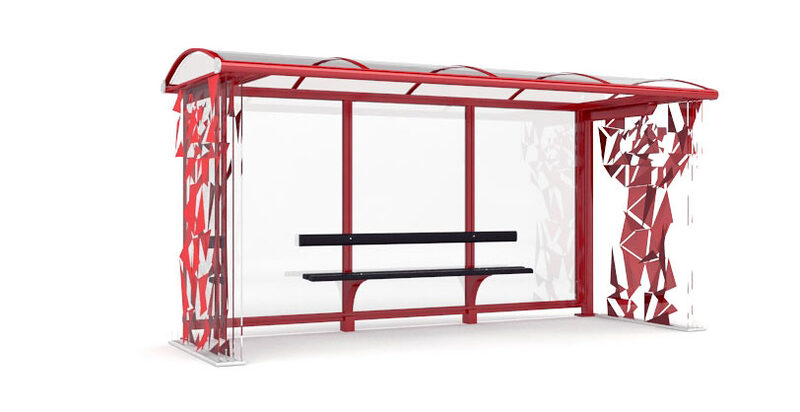 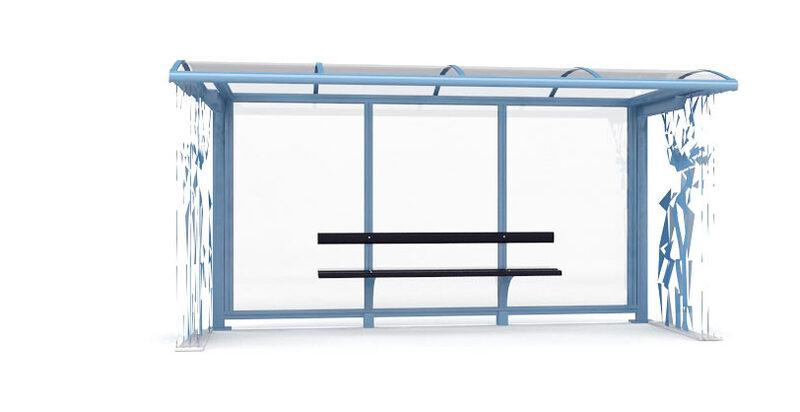 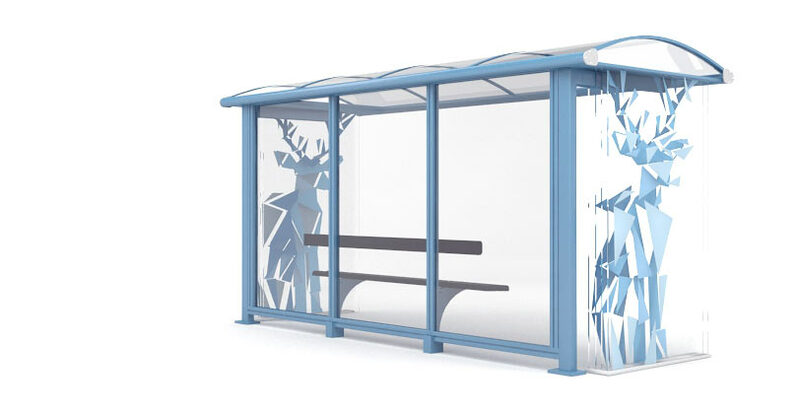 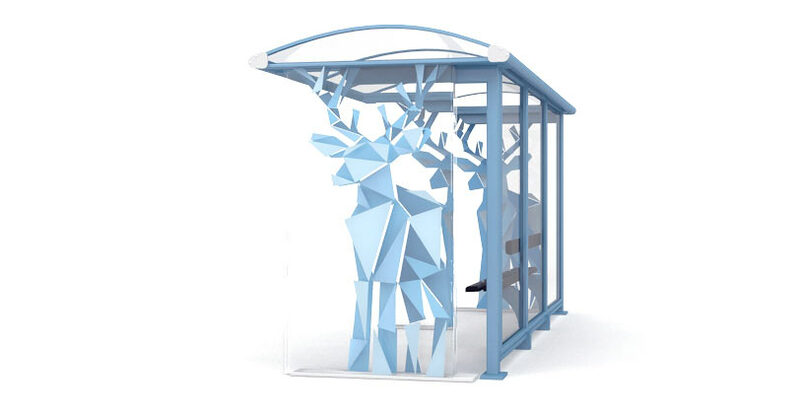 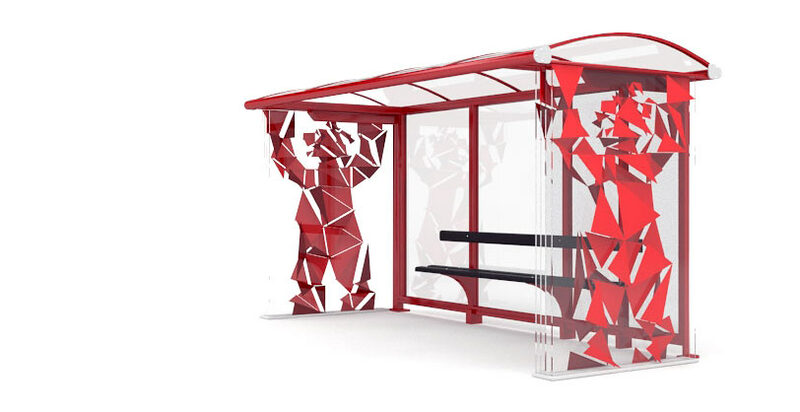 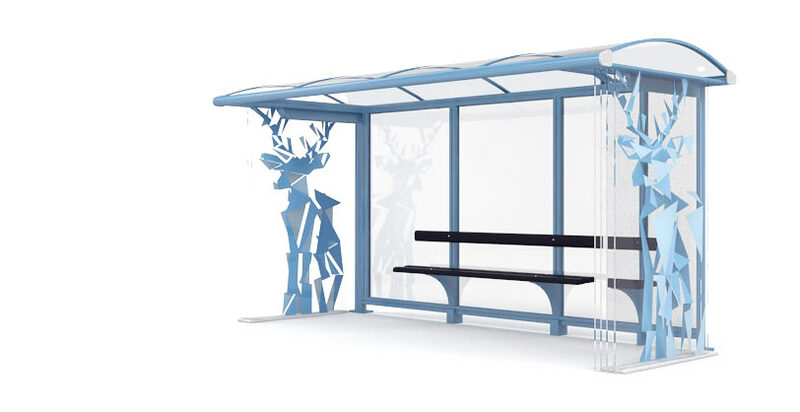 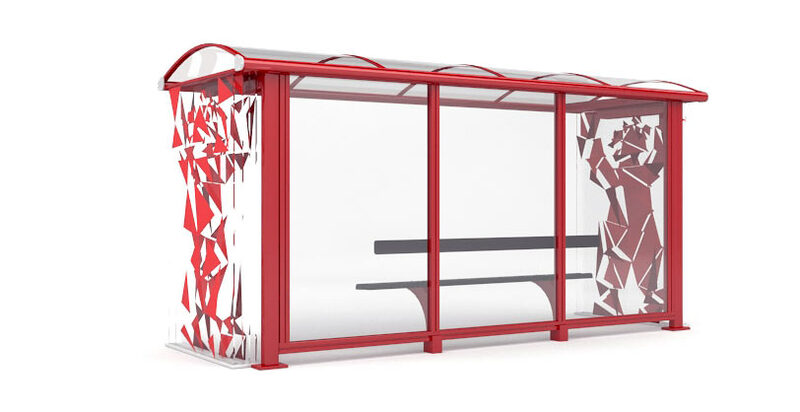 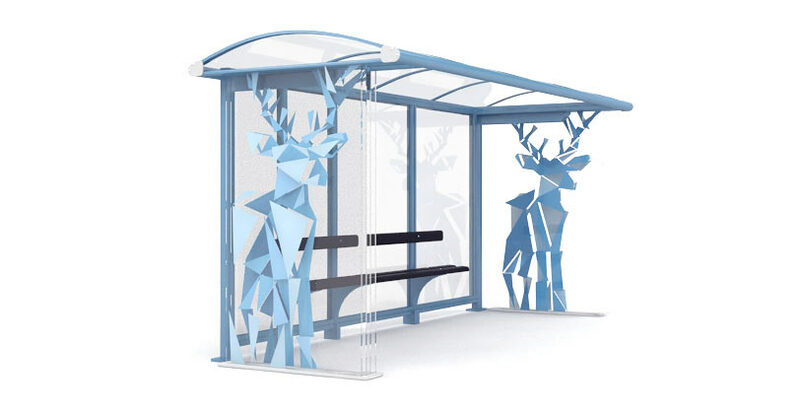 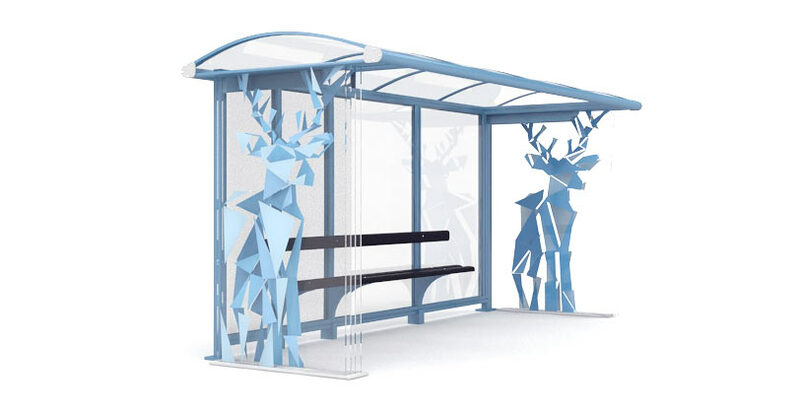 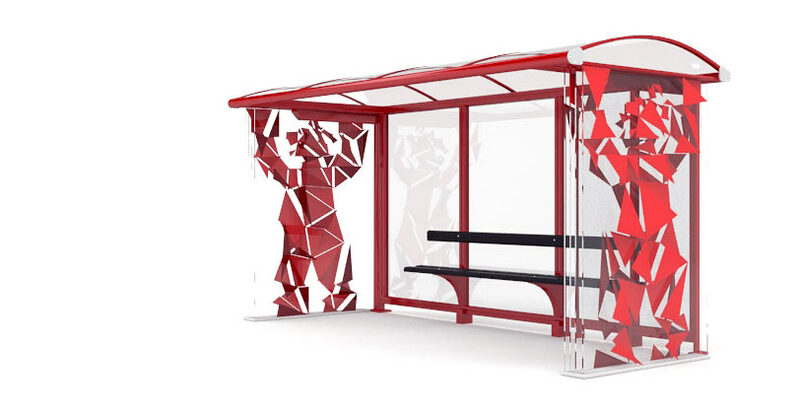 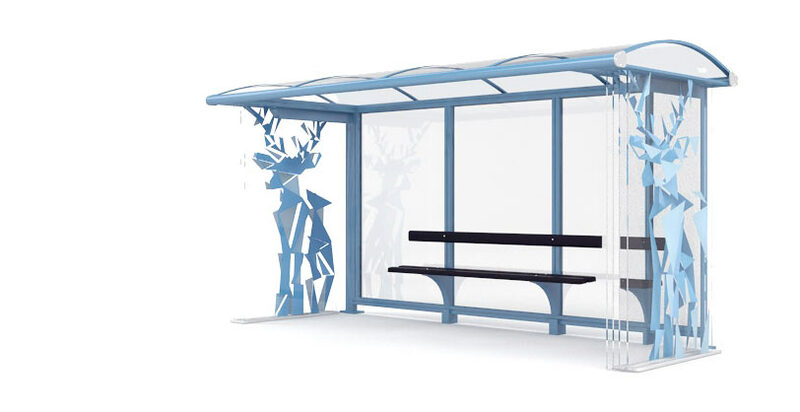 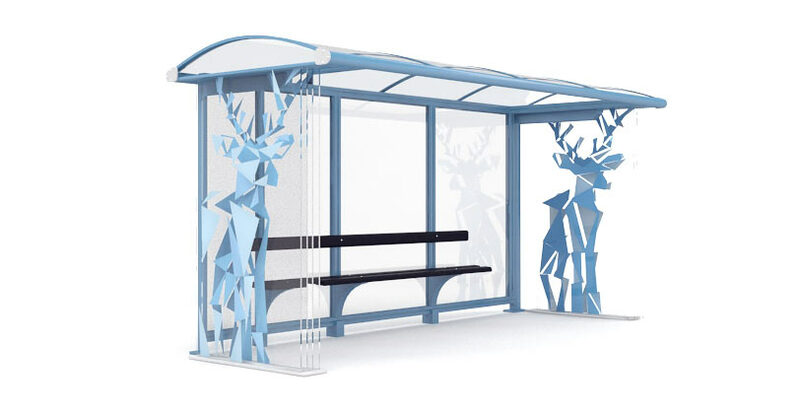 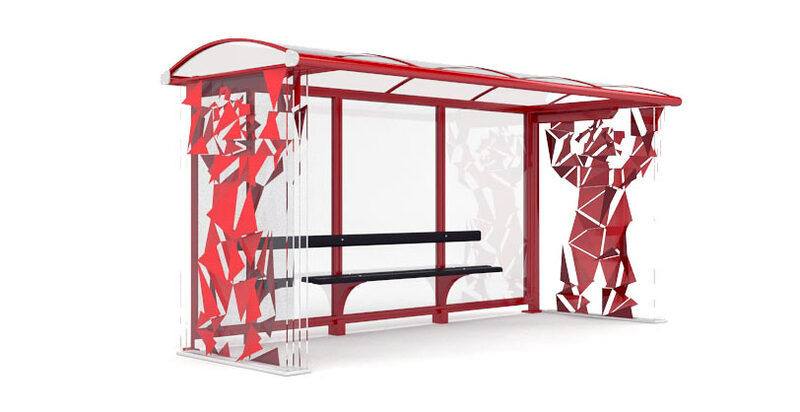 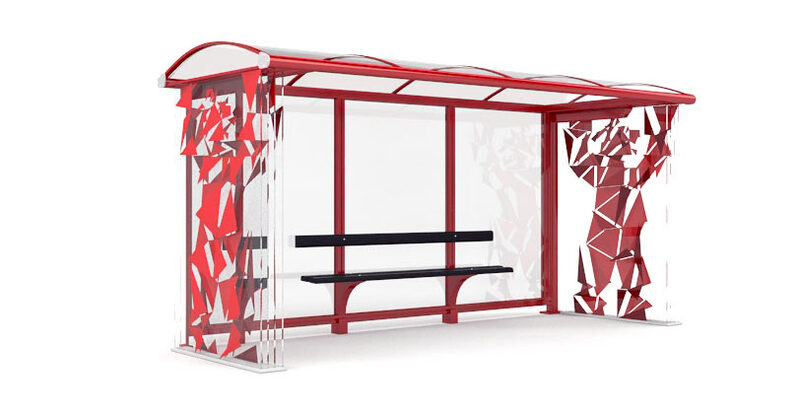 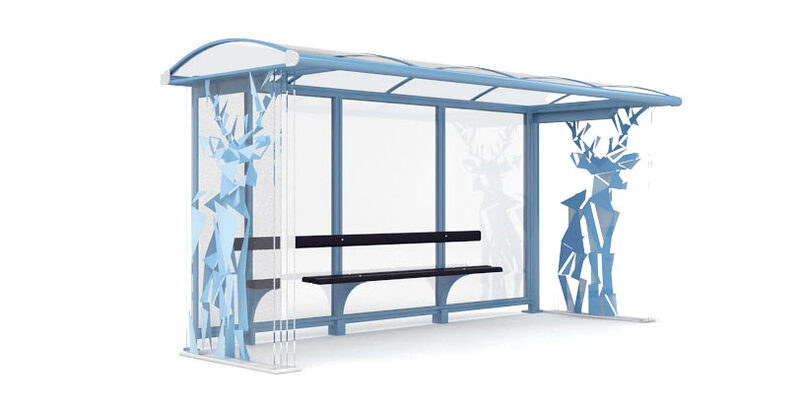 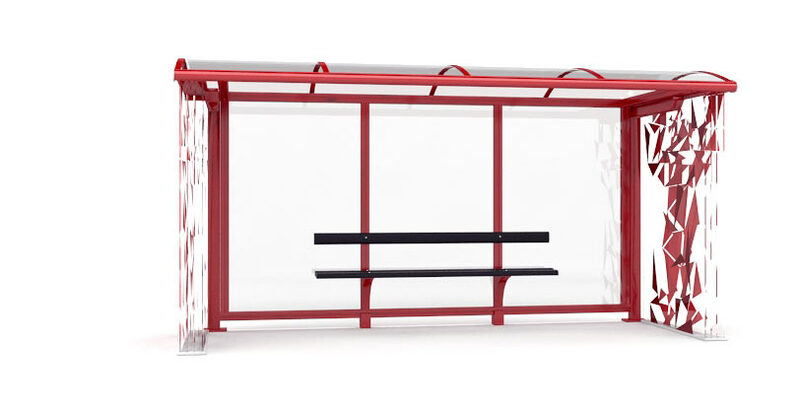 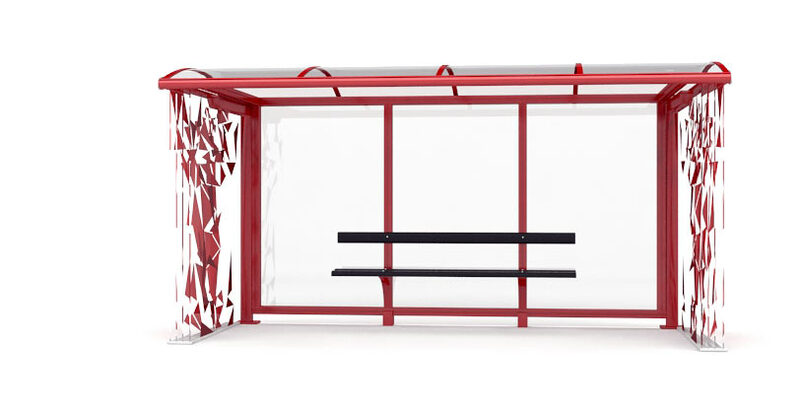 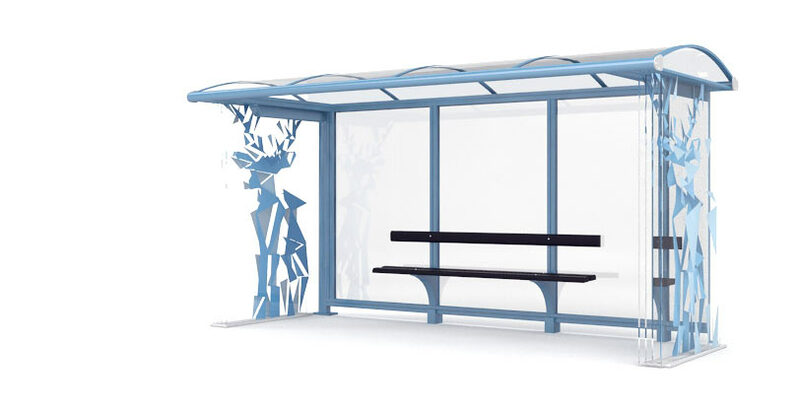 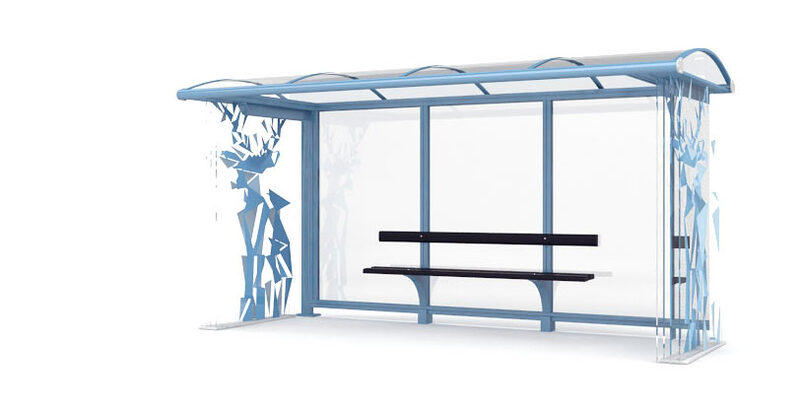 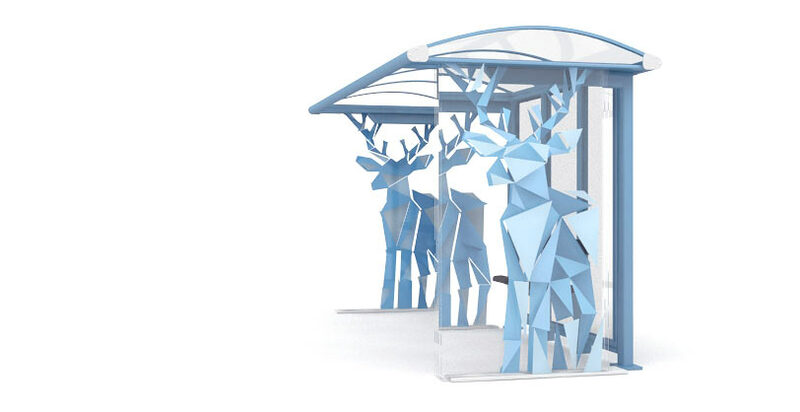 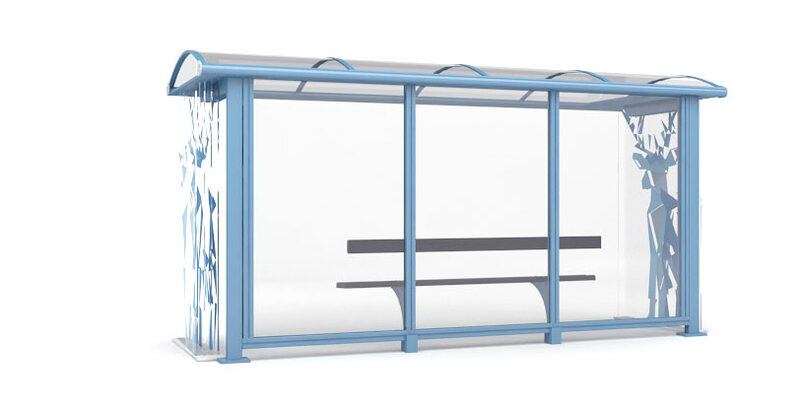 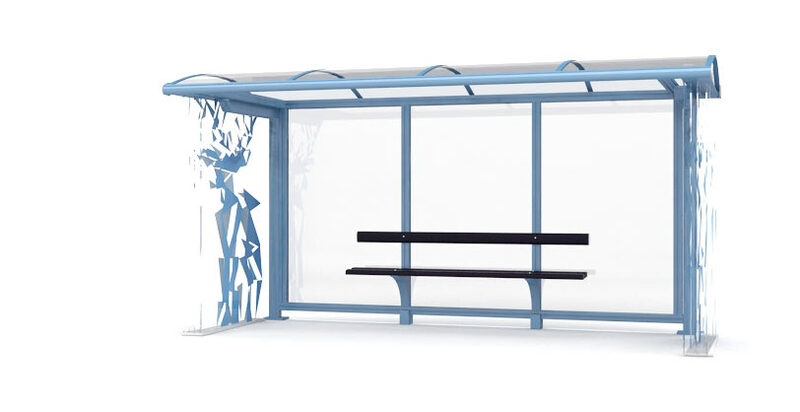 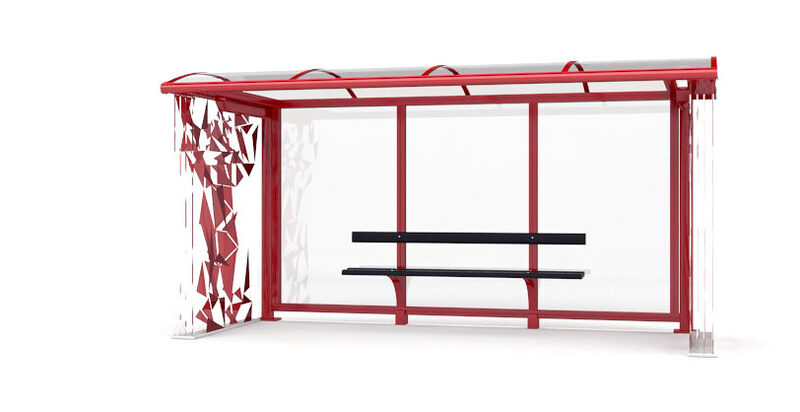 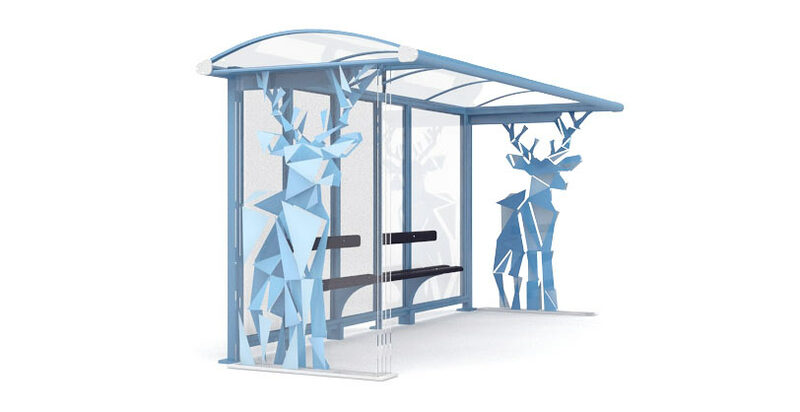 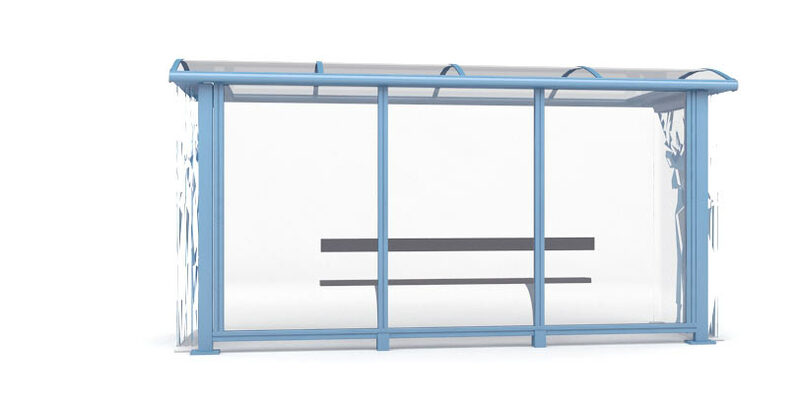 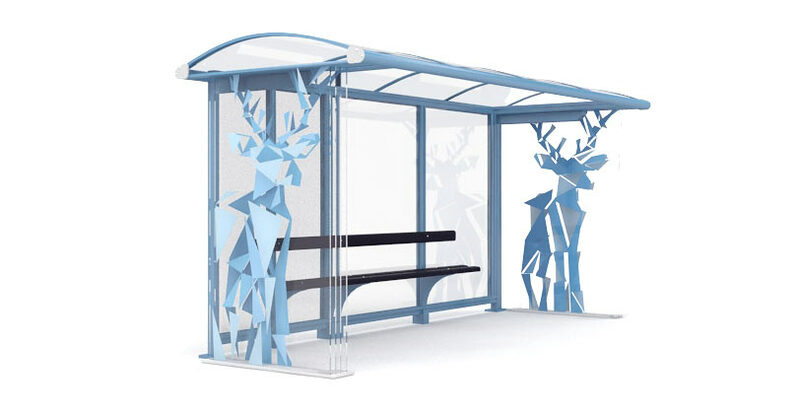 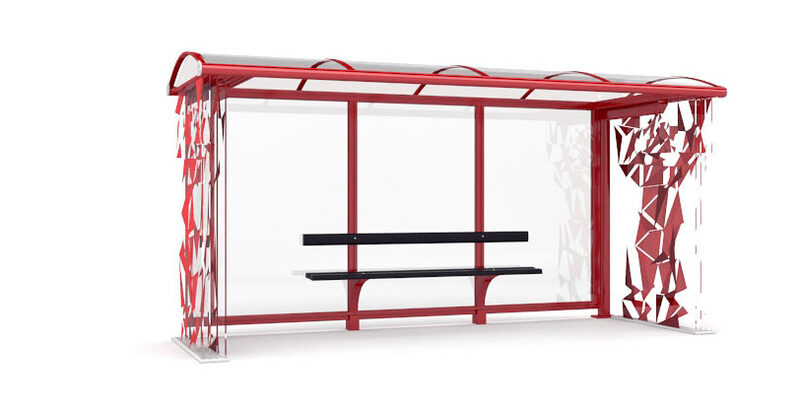 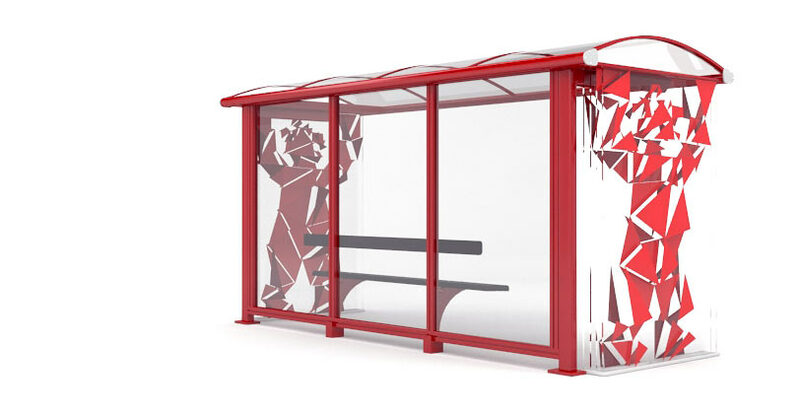 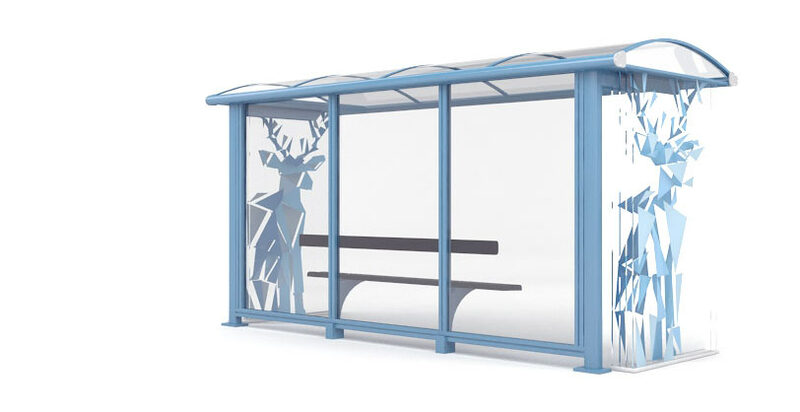 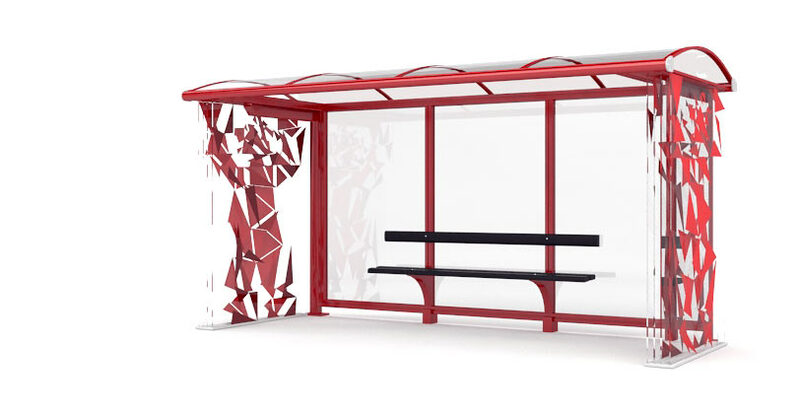 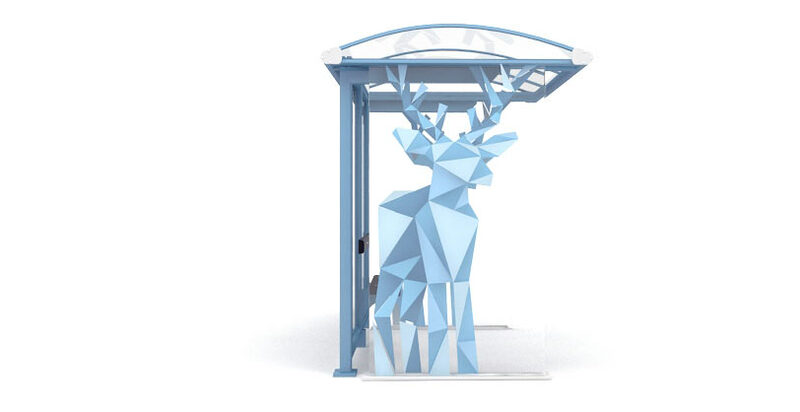 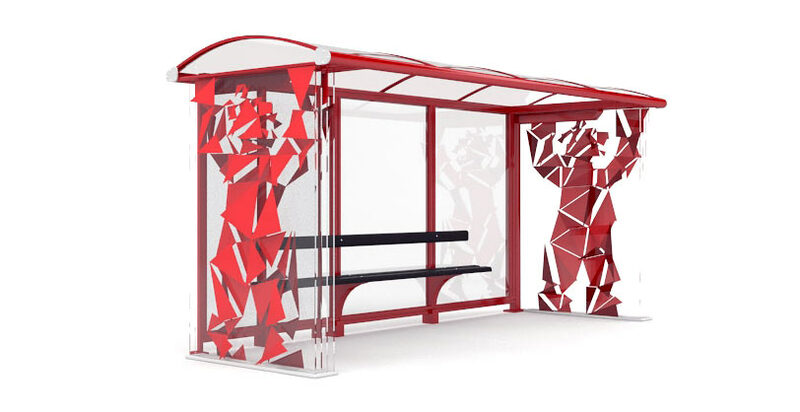 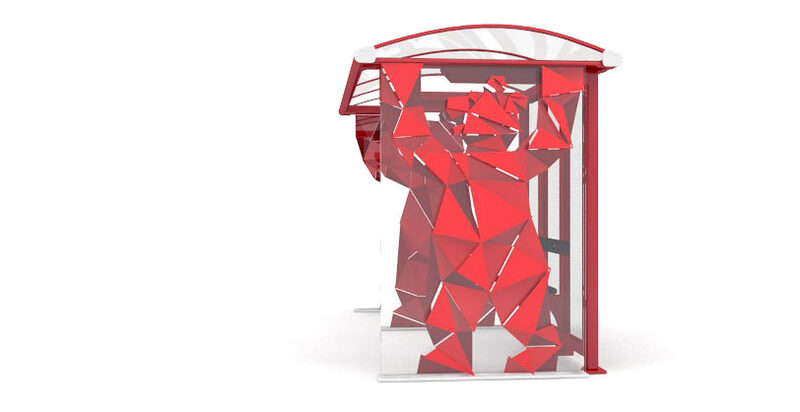 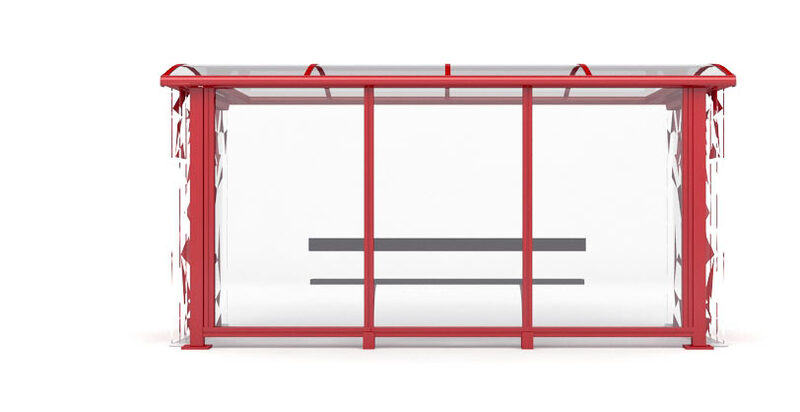 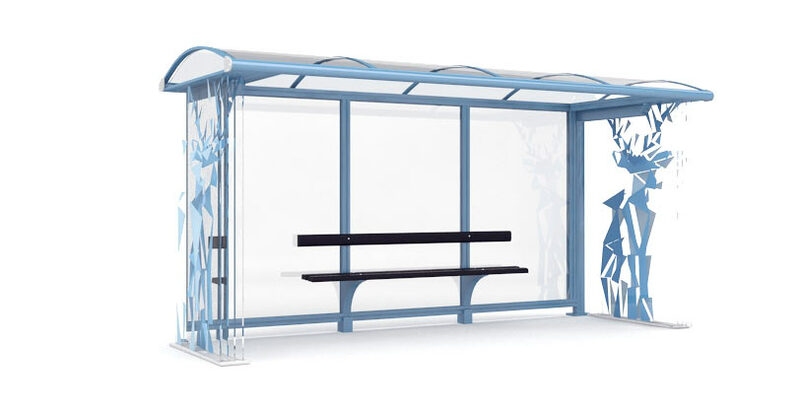 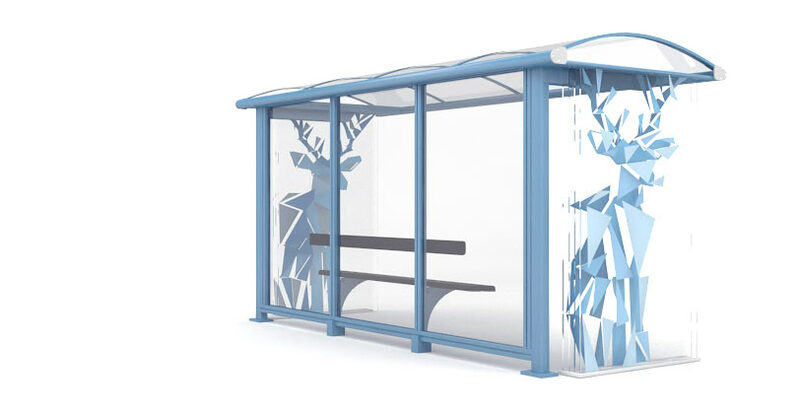 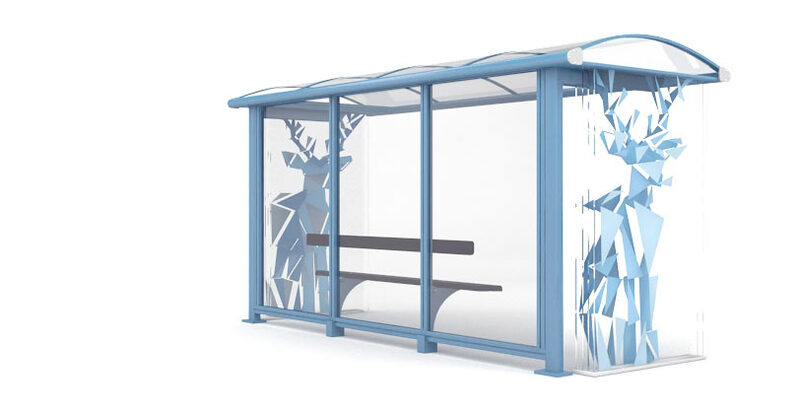 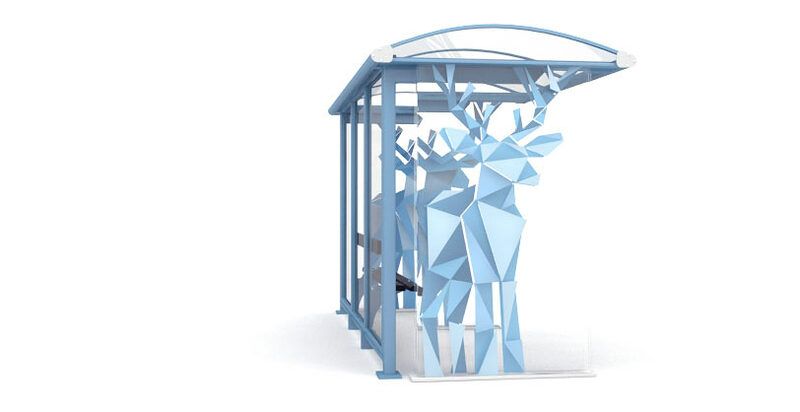 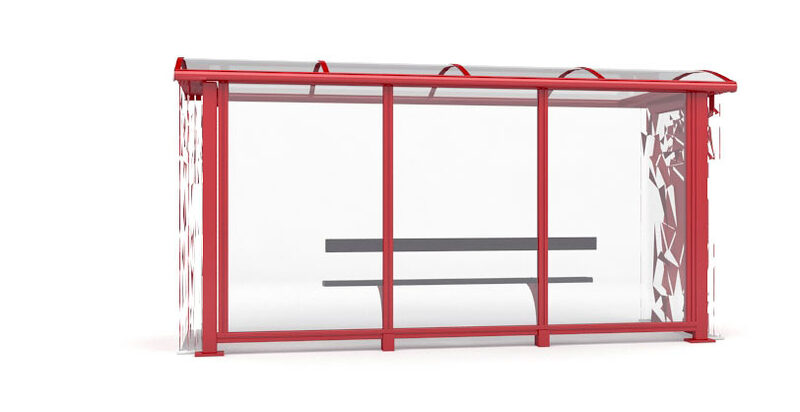 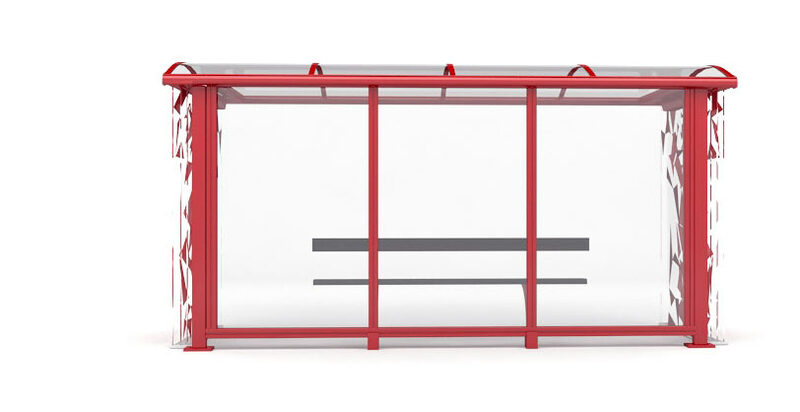 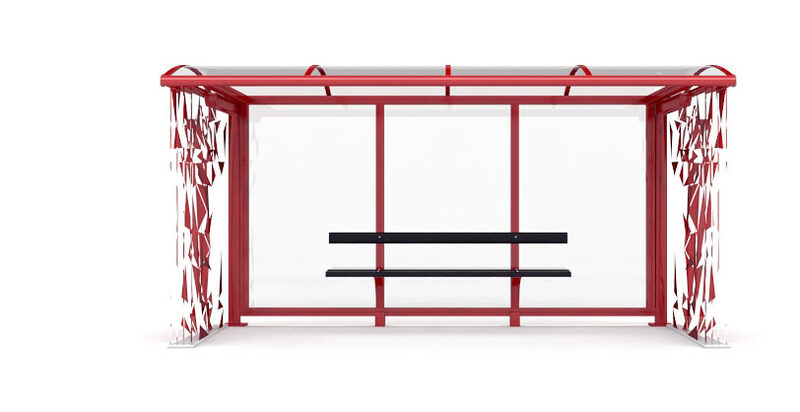 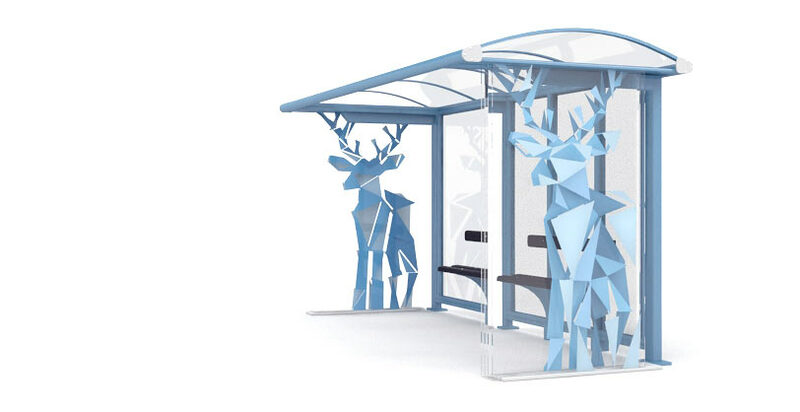 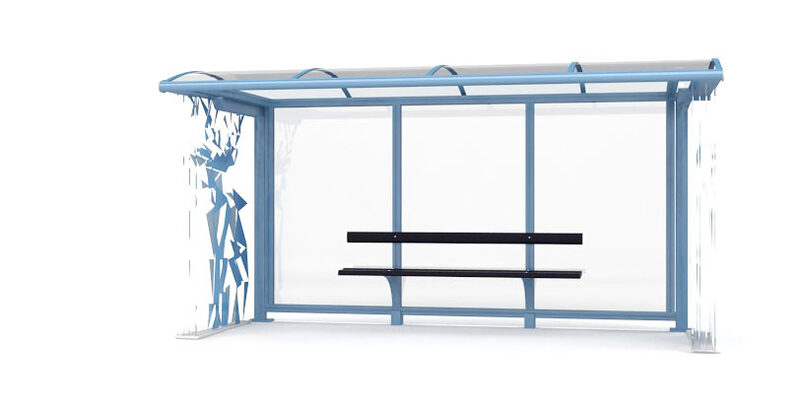 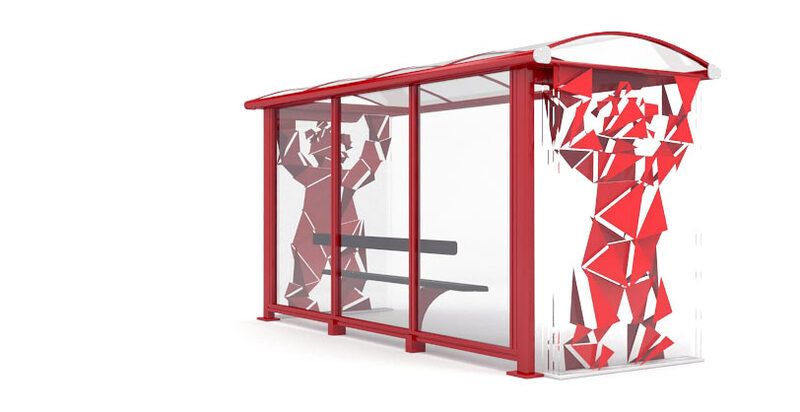 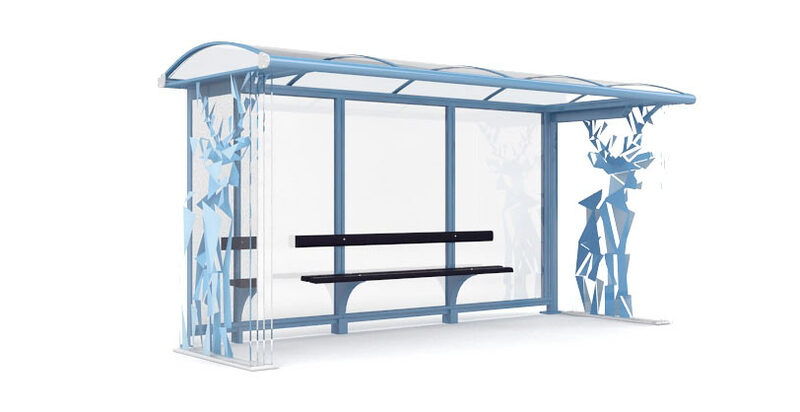 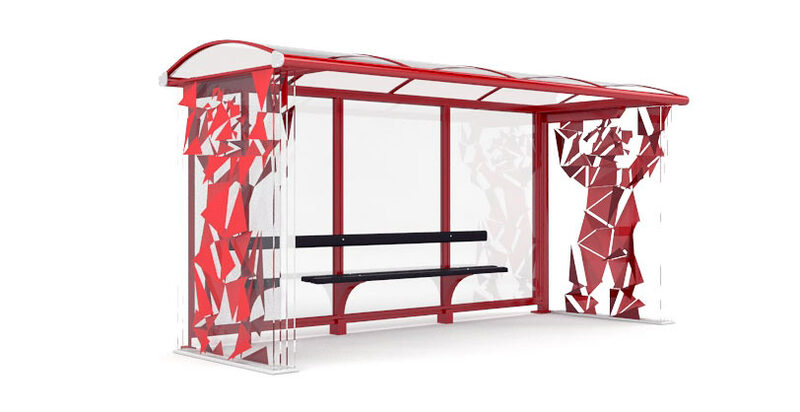 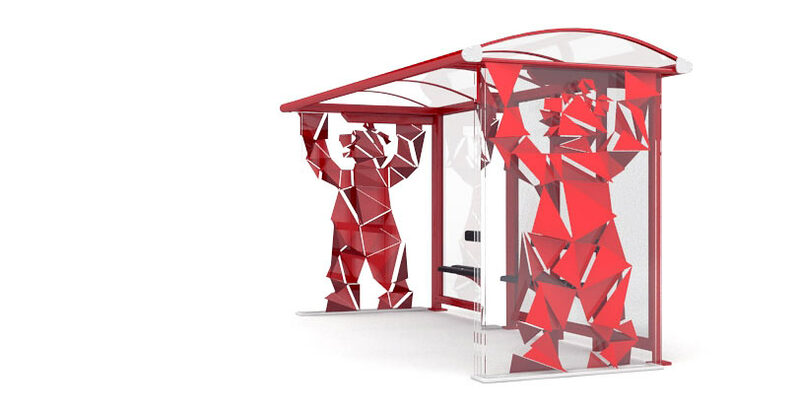 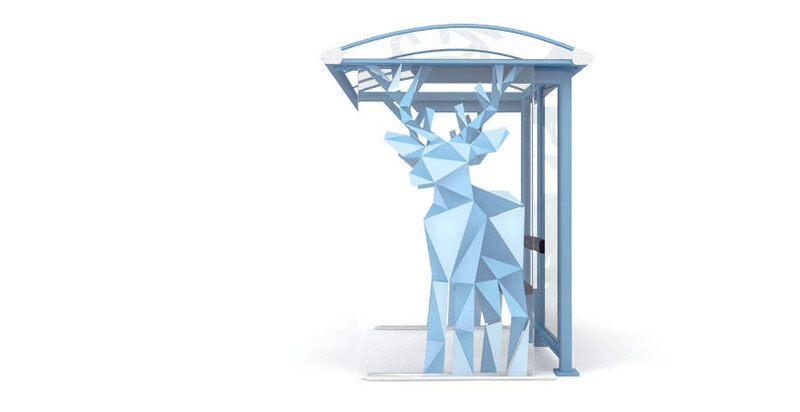 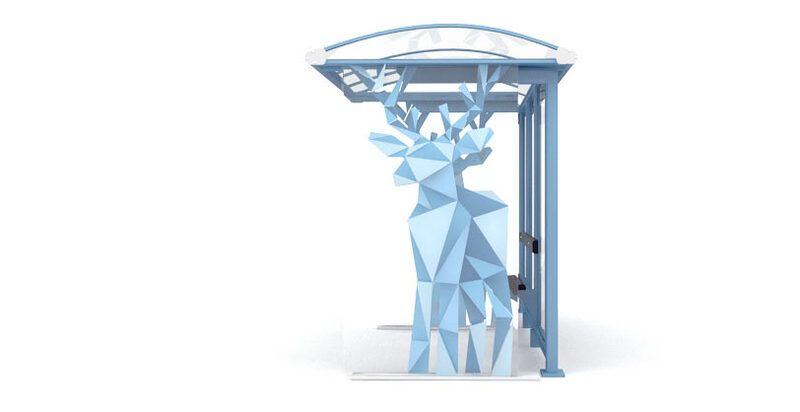 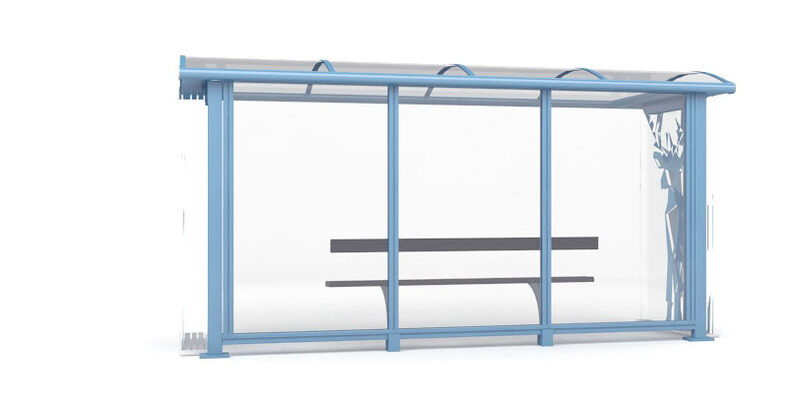 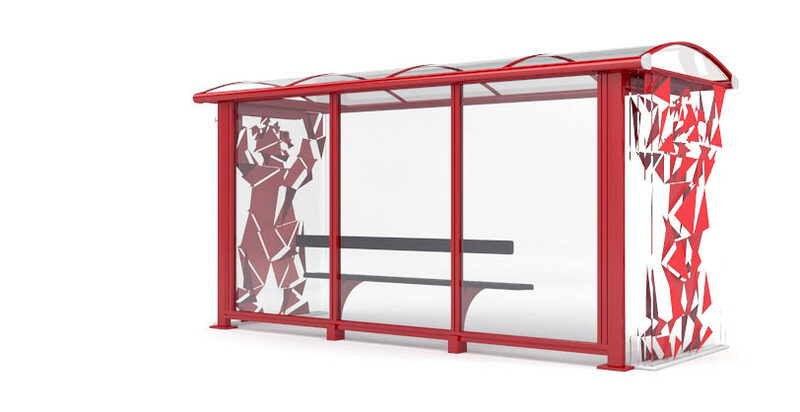 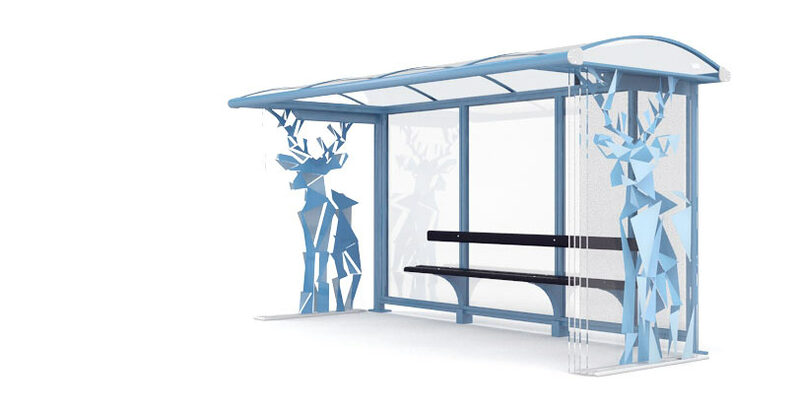 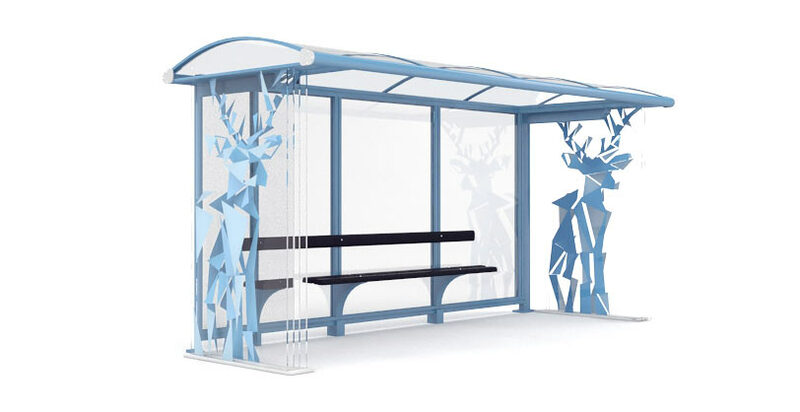 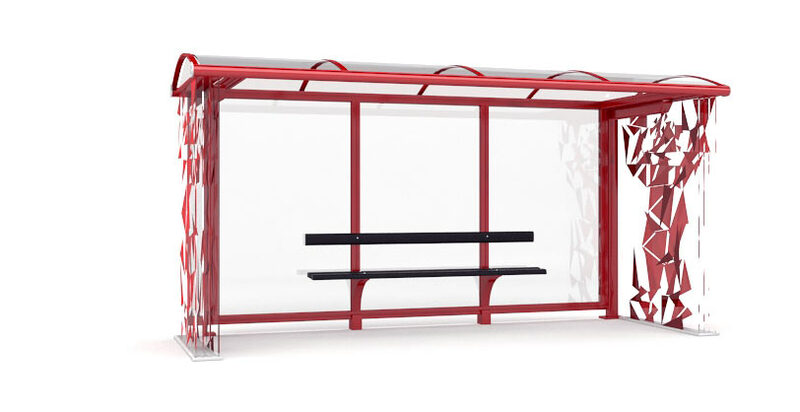 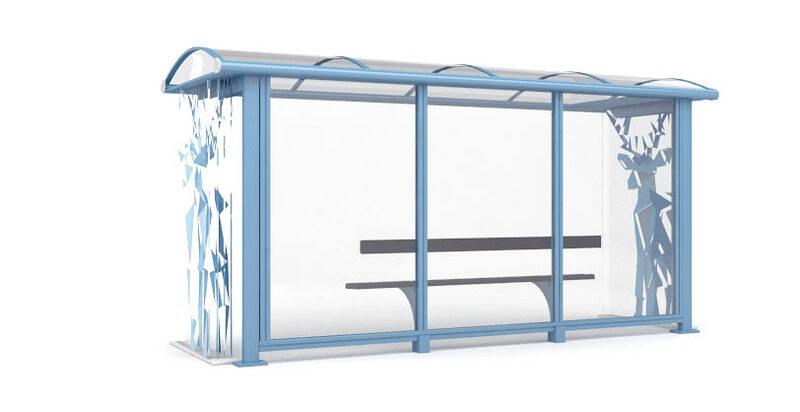 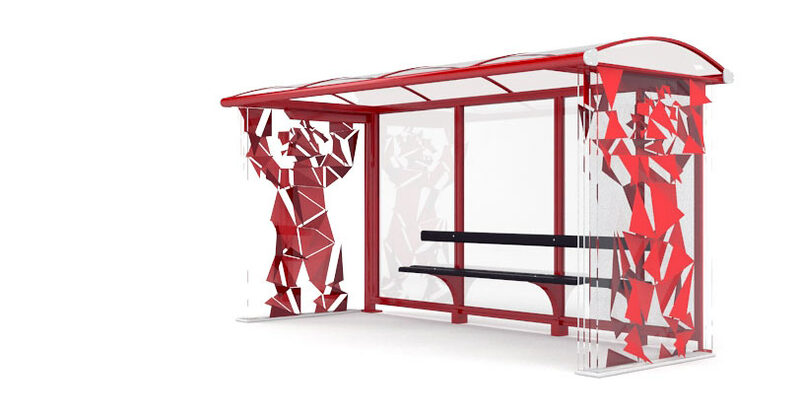 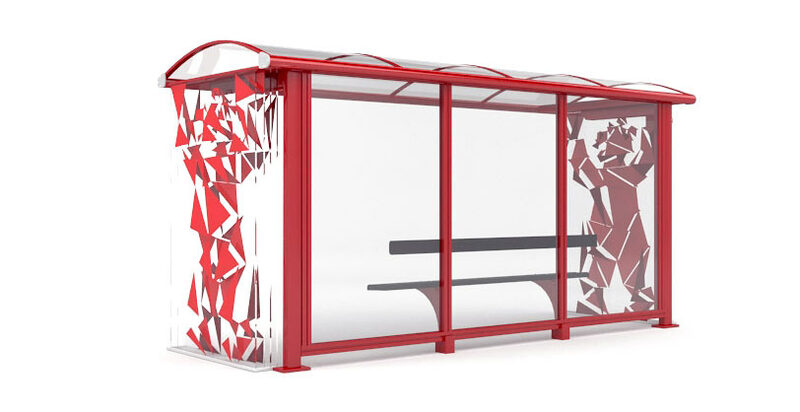 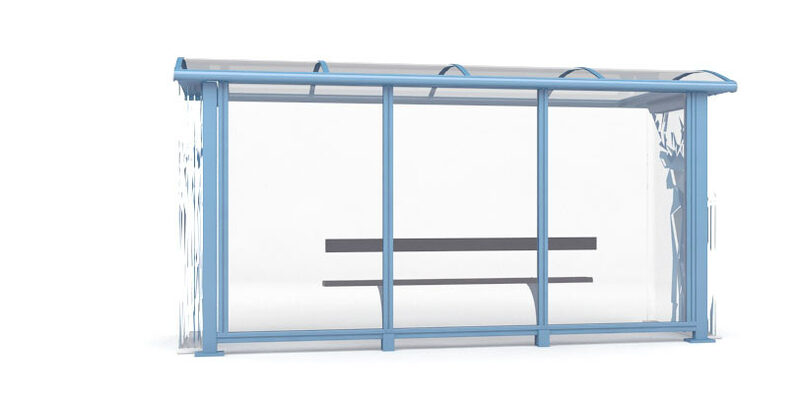 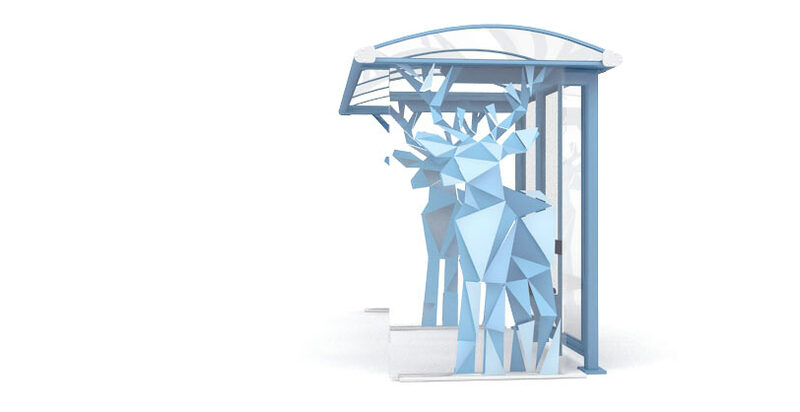 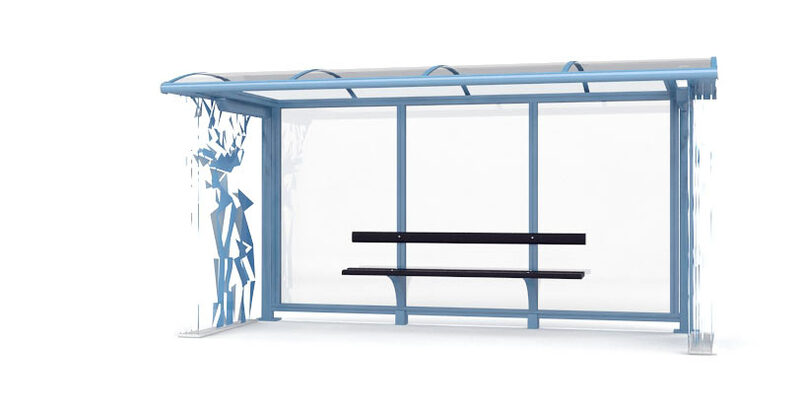 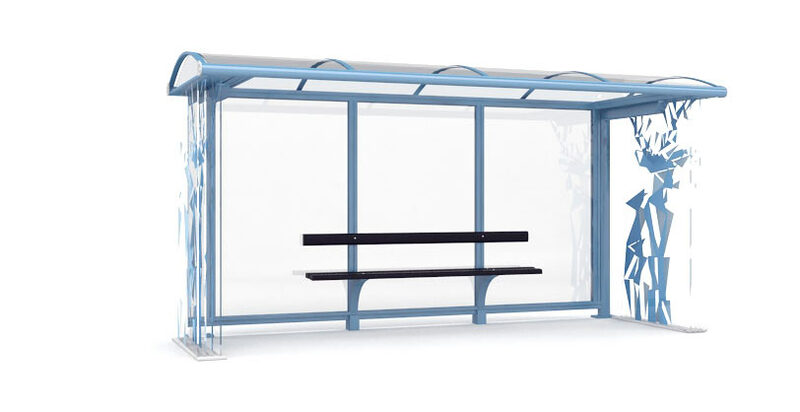 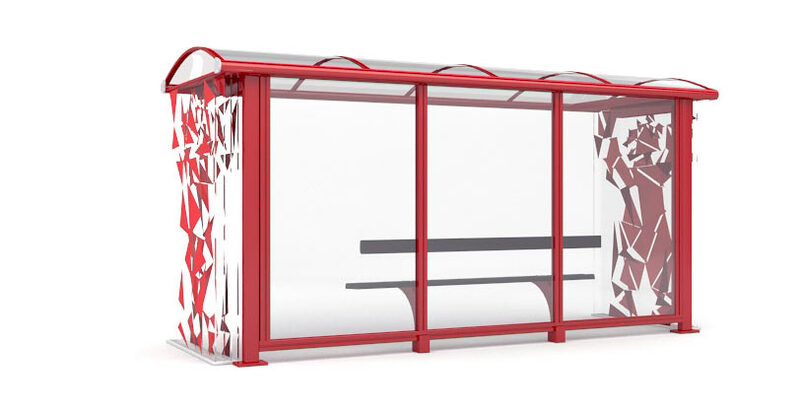 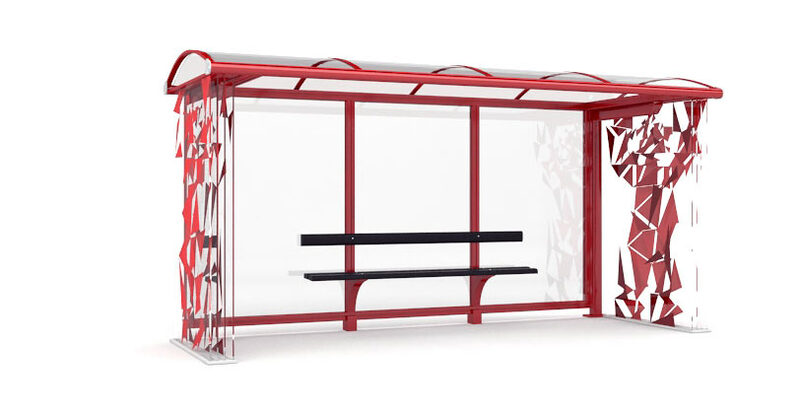 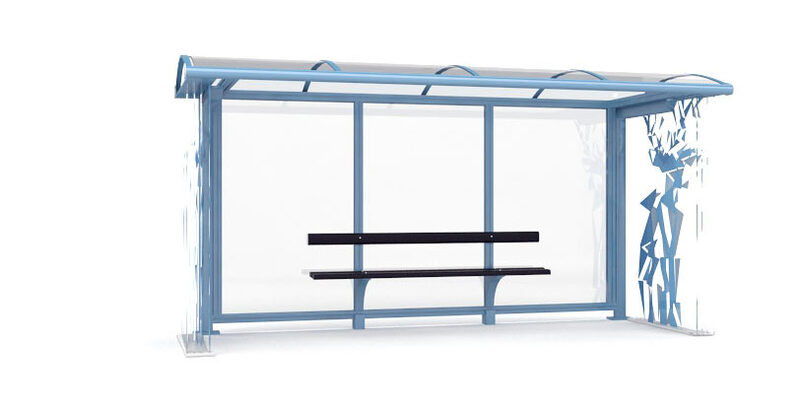 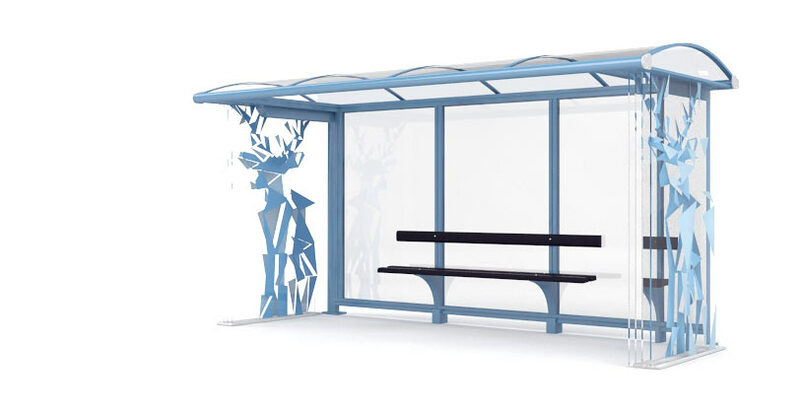 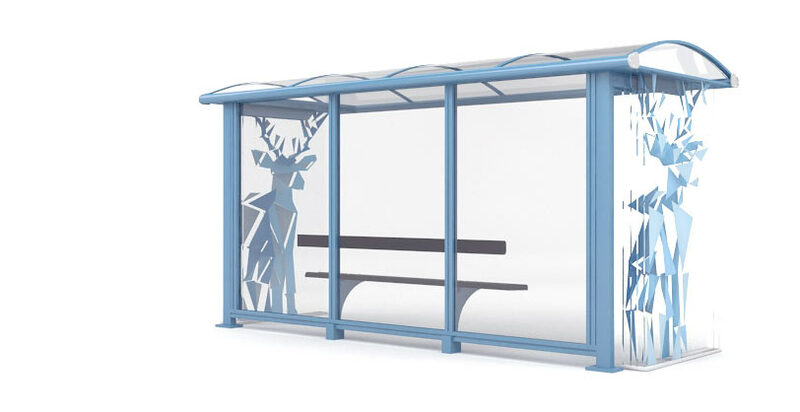 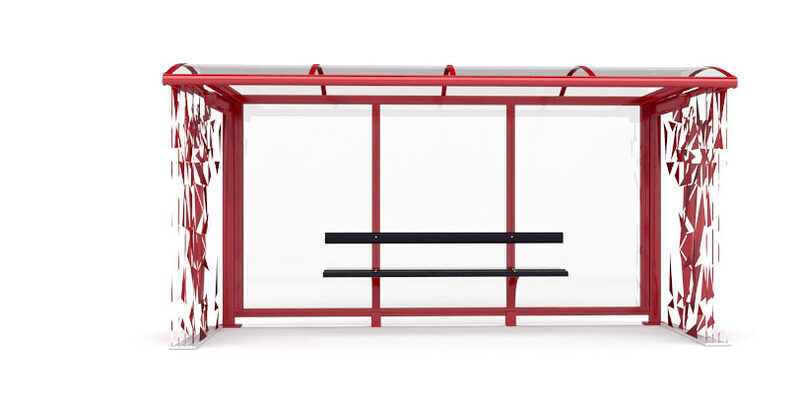 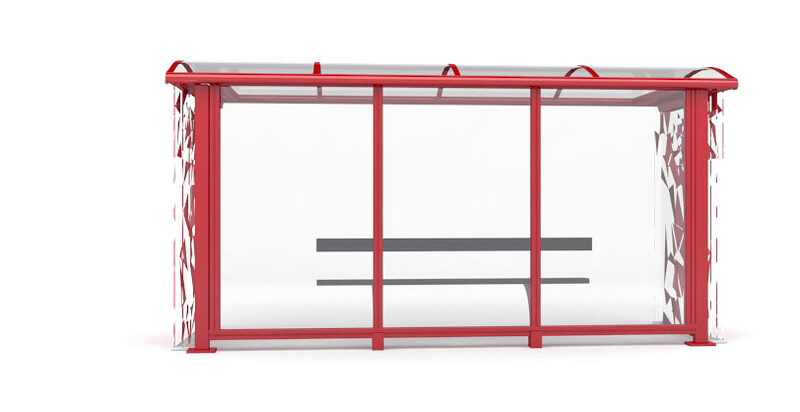 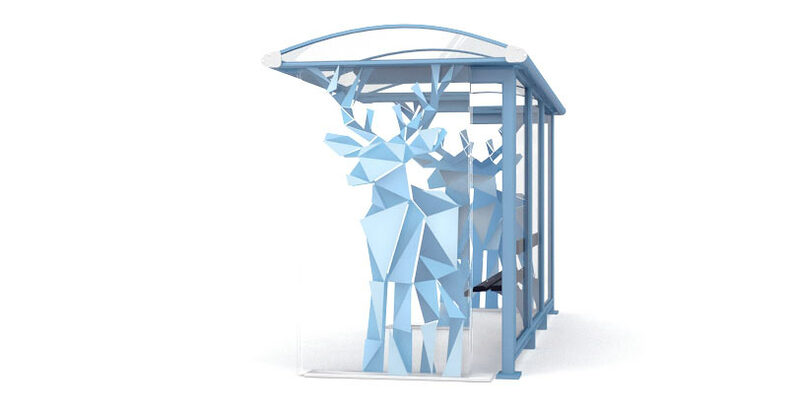 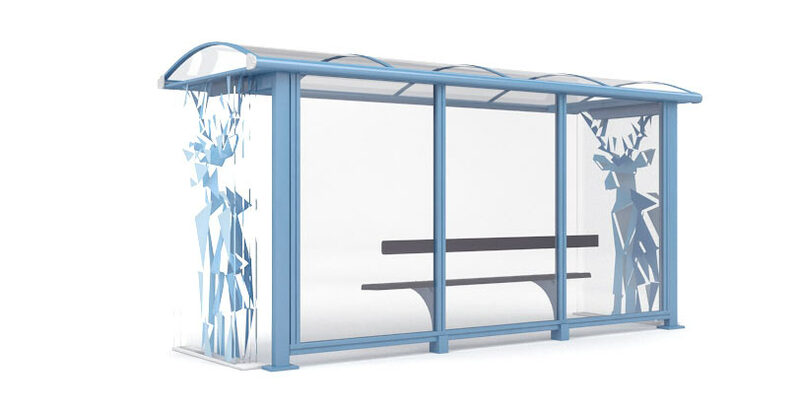 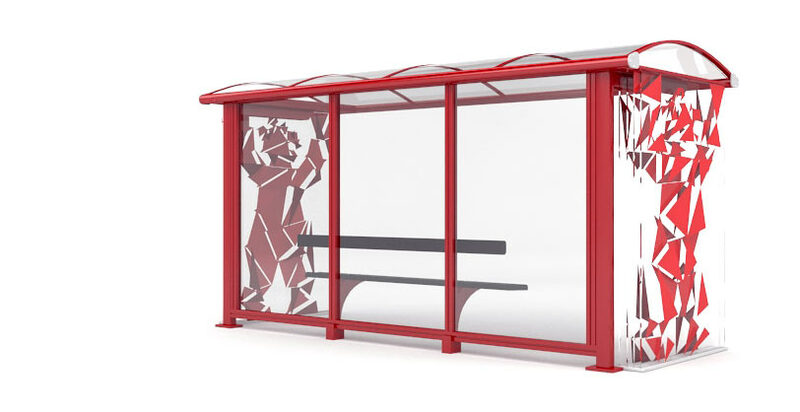 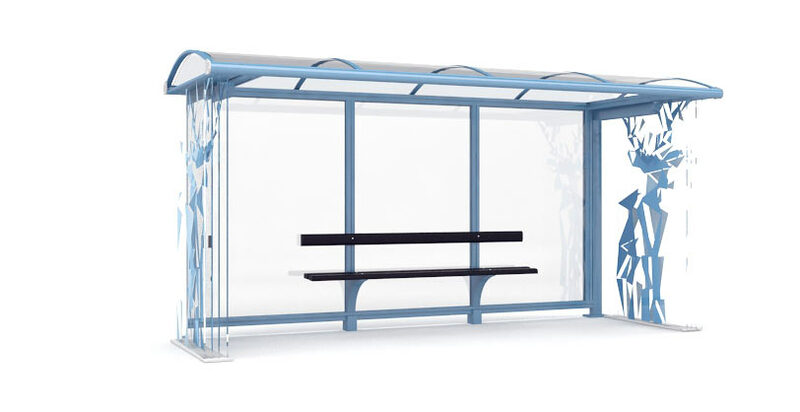 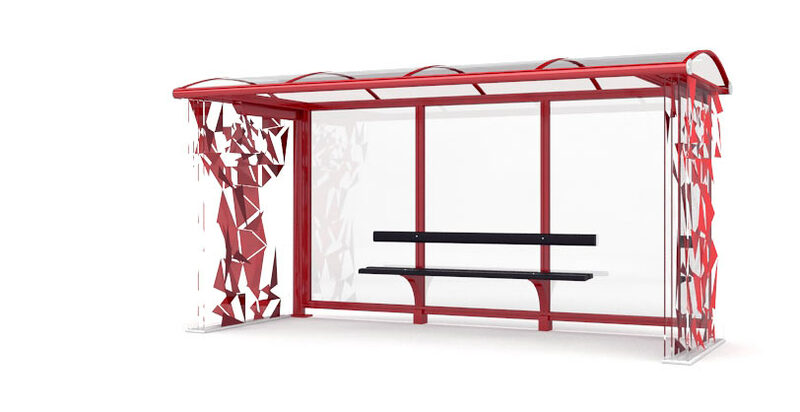 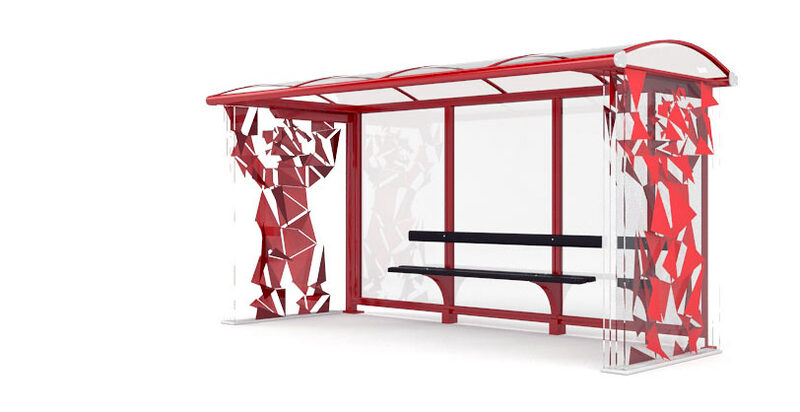 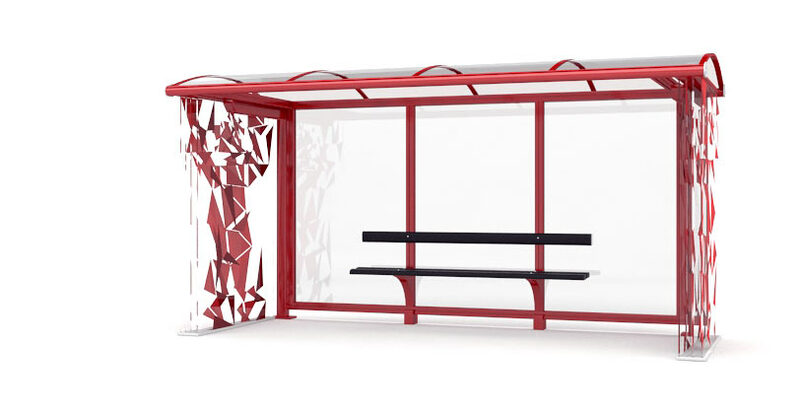 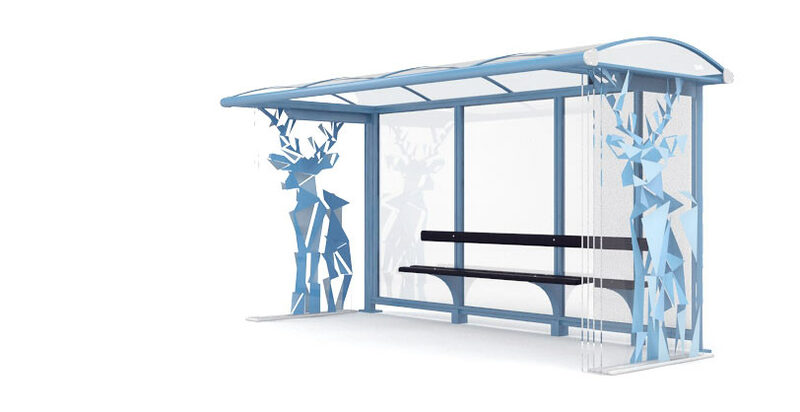 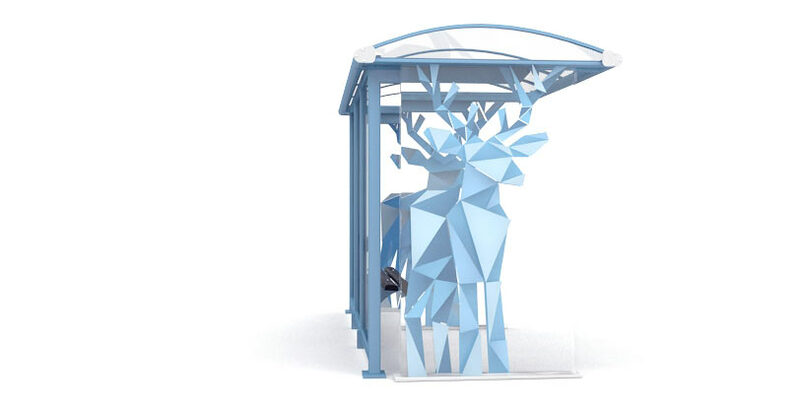 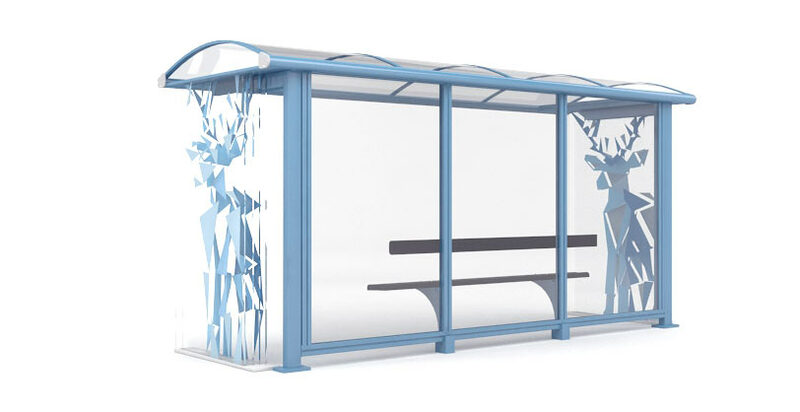 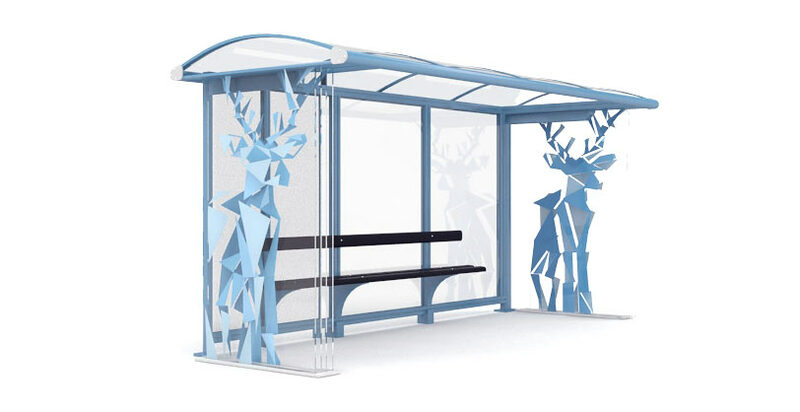 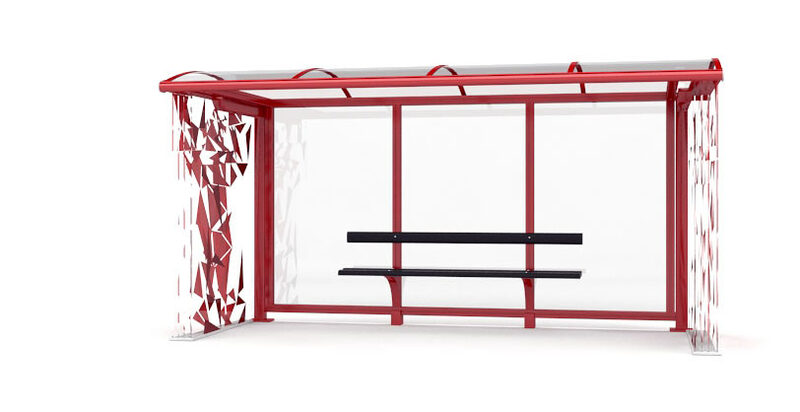 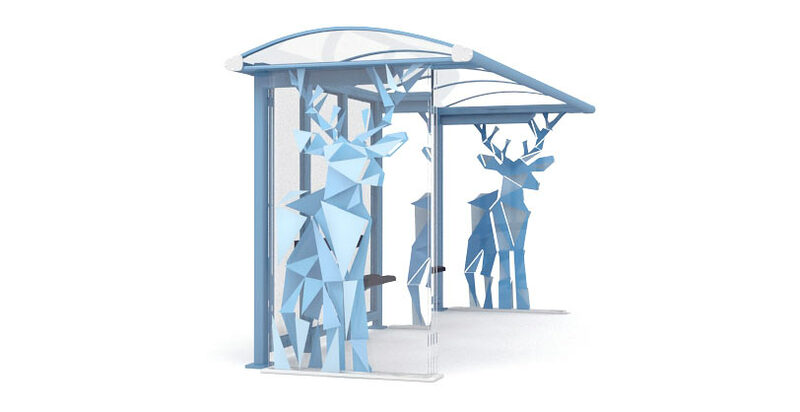 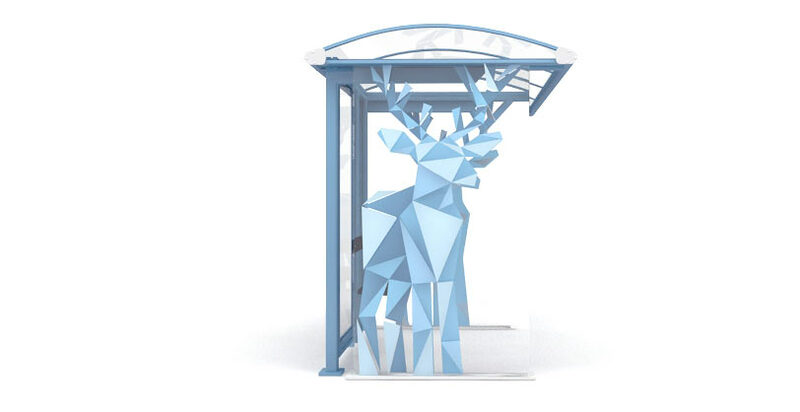 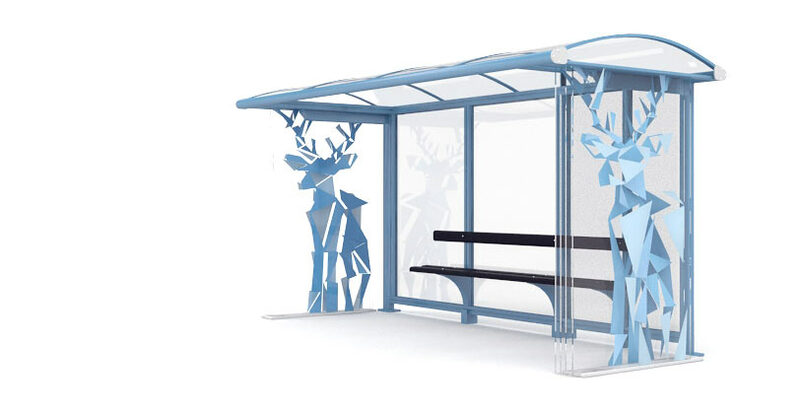 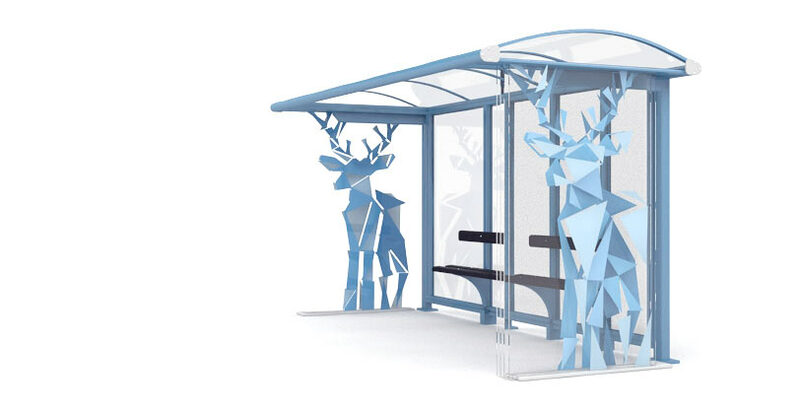 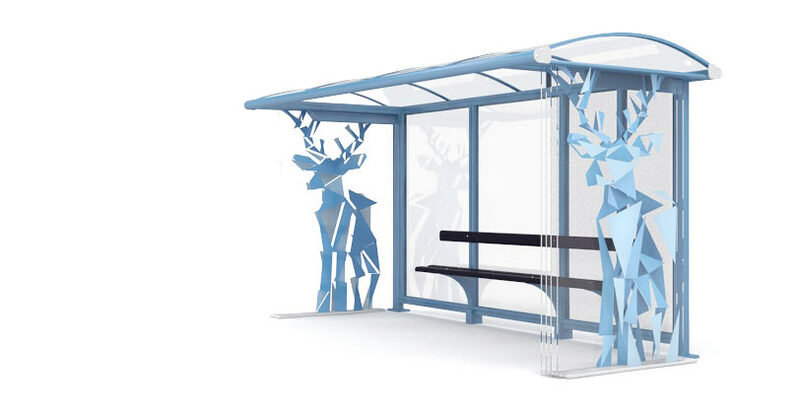 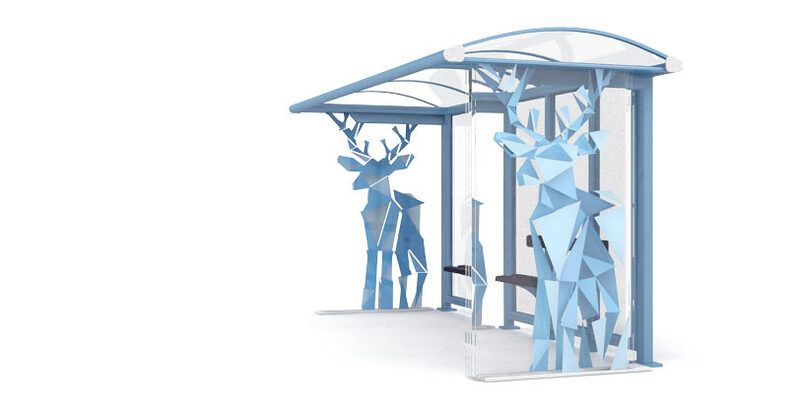 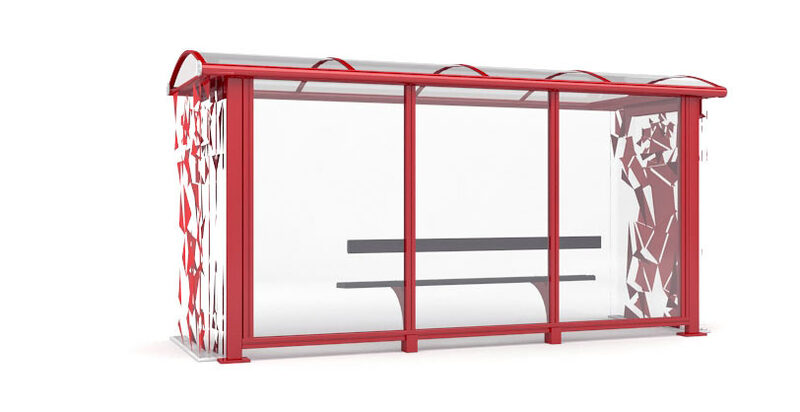 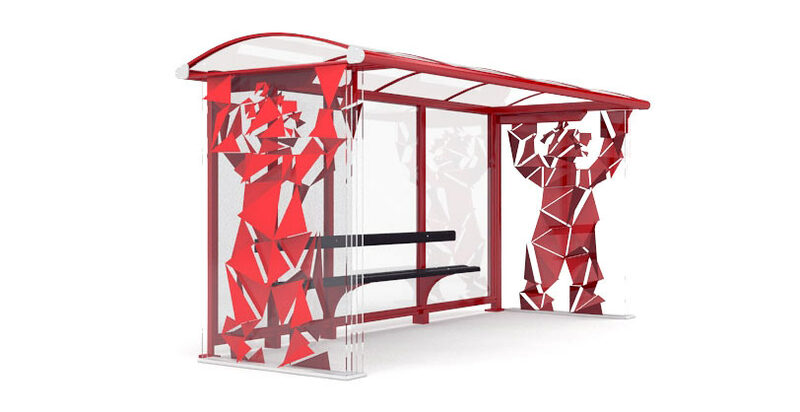 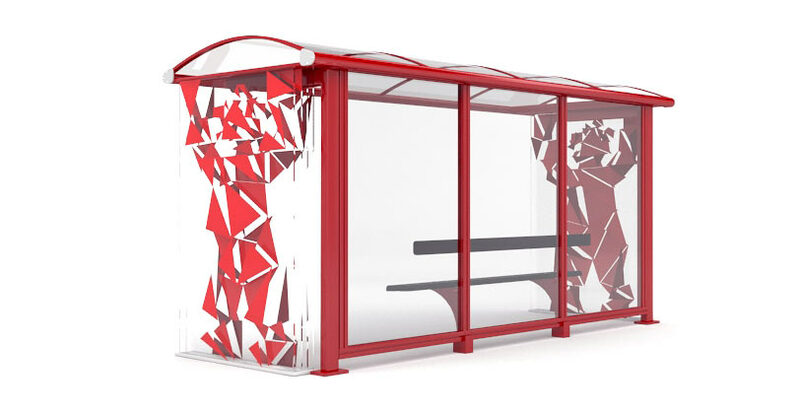 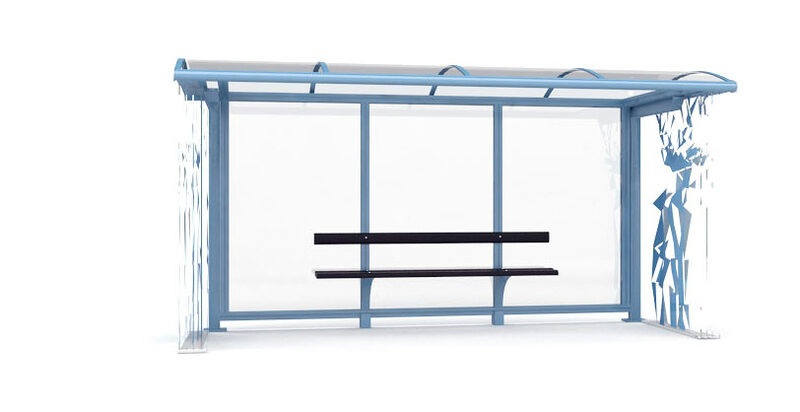 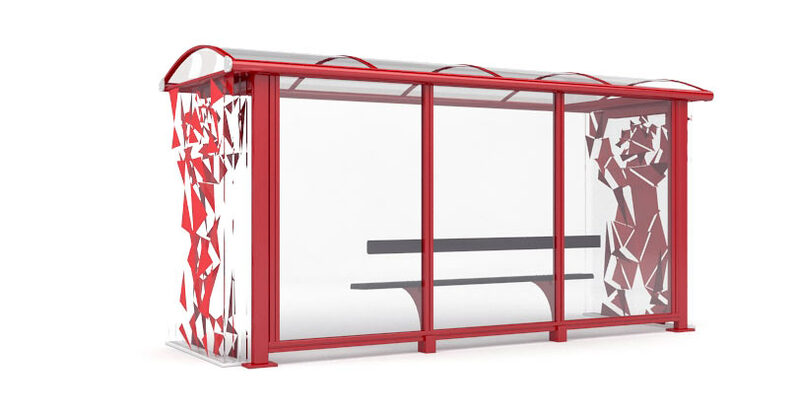 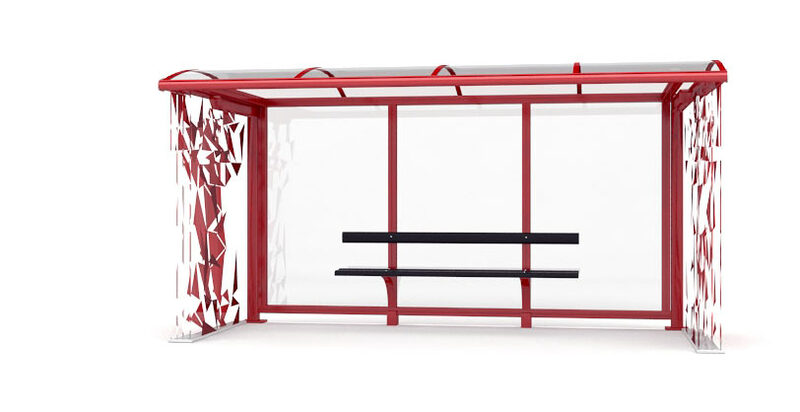 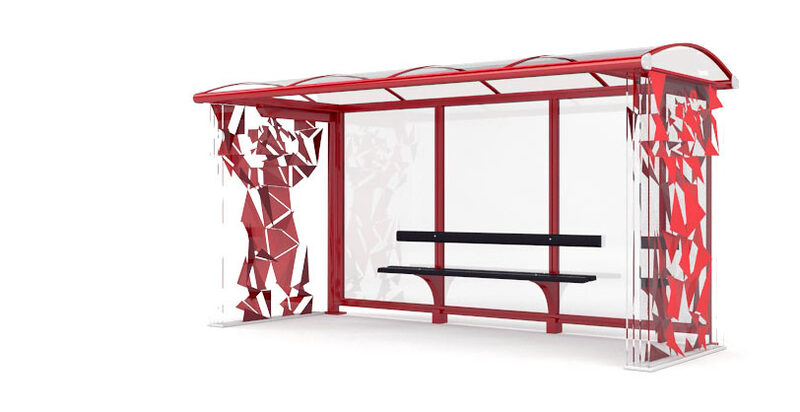 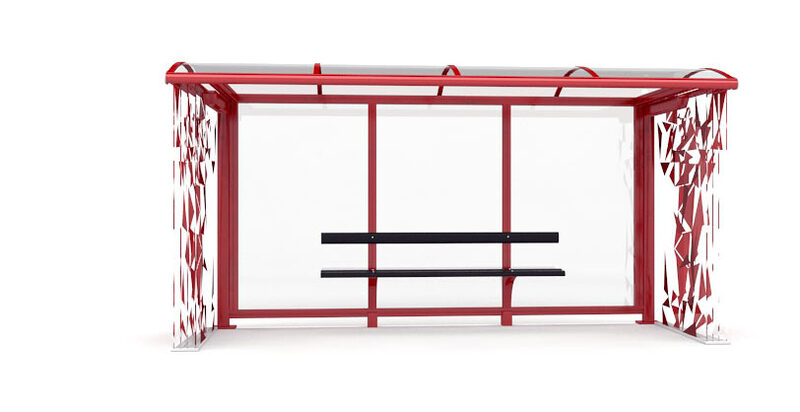 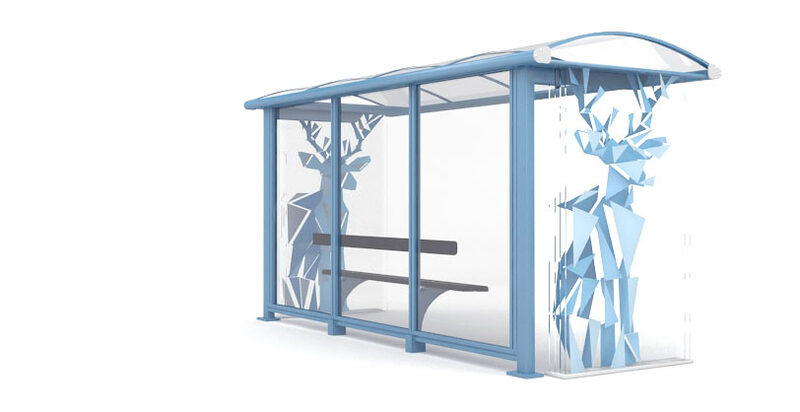 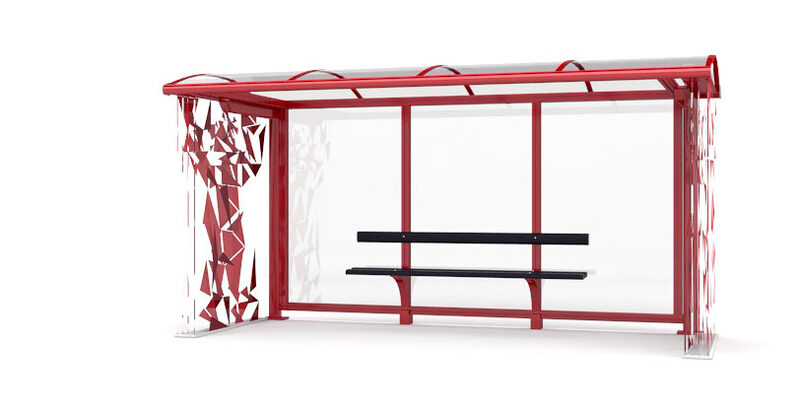 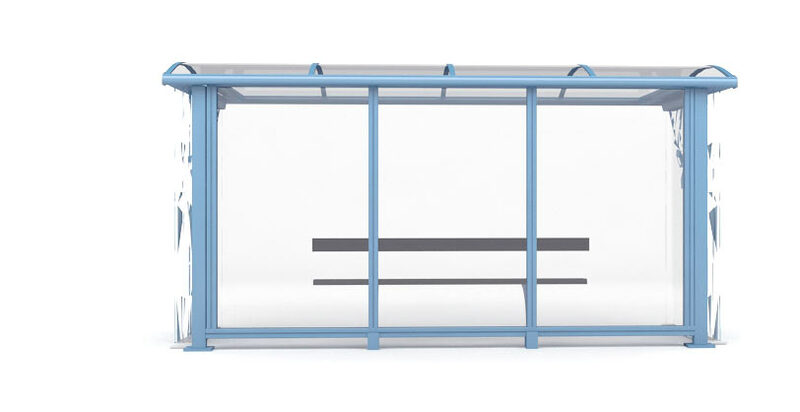 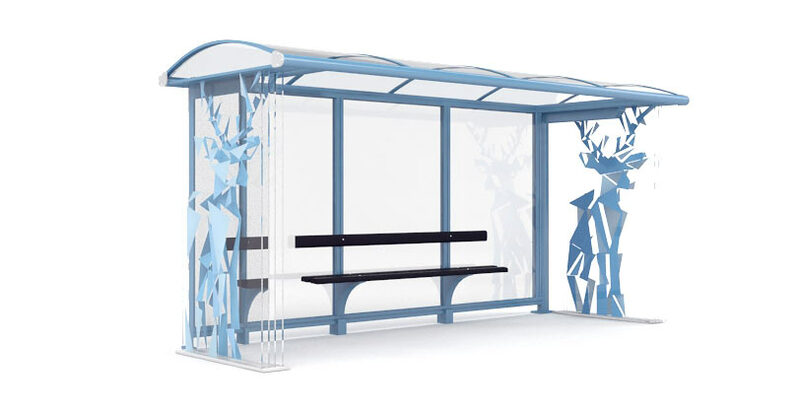 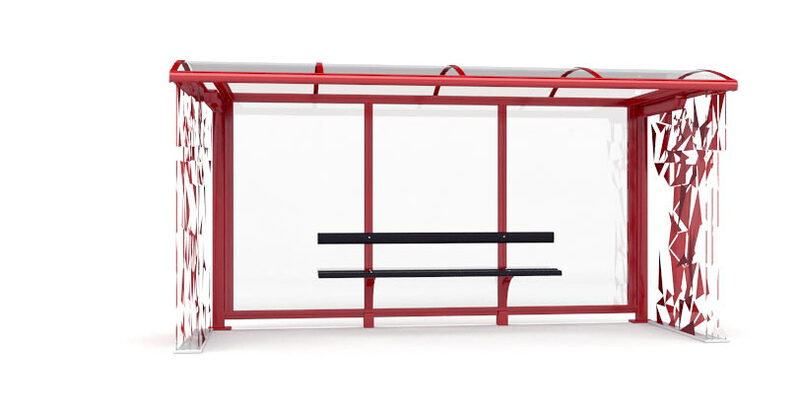 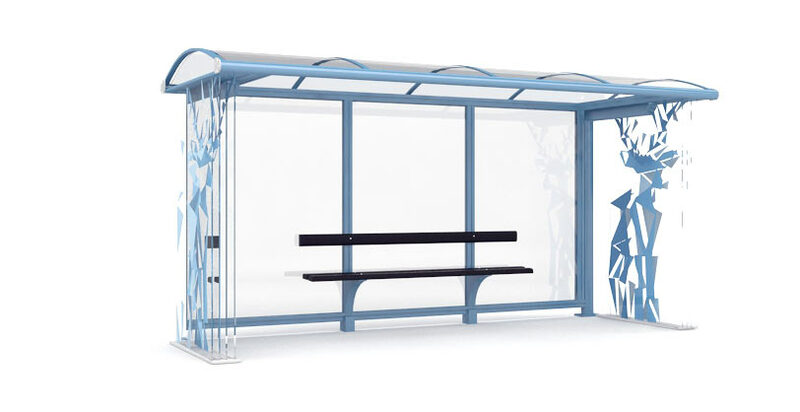 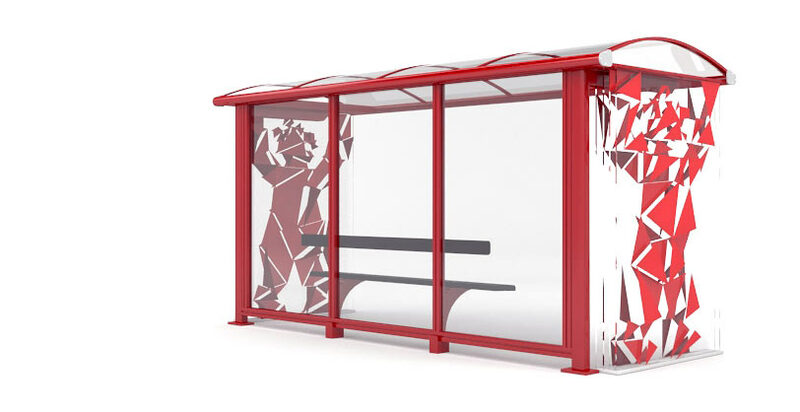 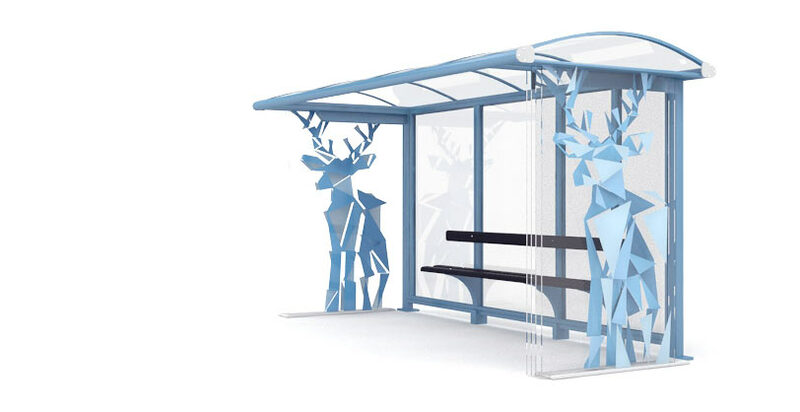 In order to attract the attention of drivers and make sure local residents recognize bus stops nearest to the estates, new shelter design was developed at the studio. 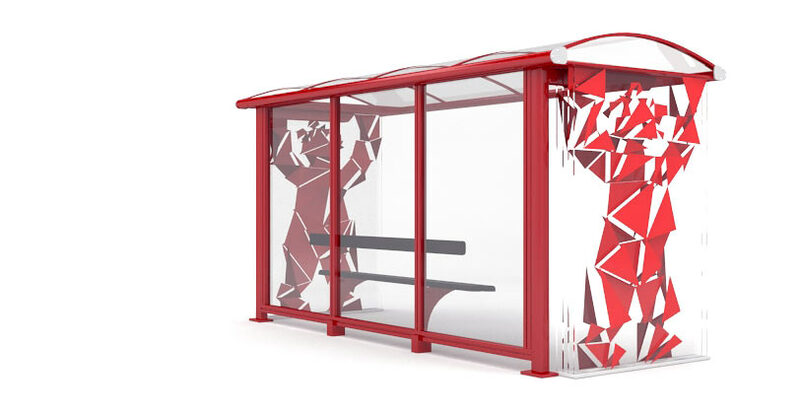 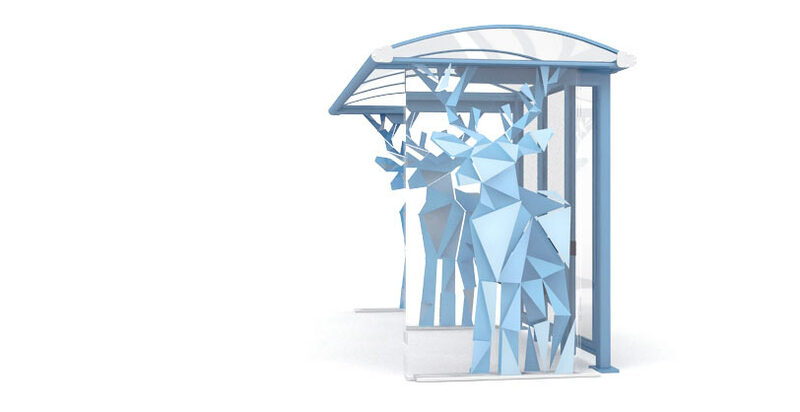 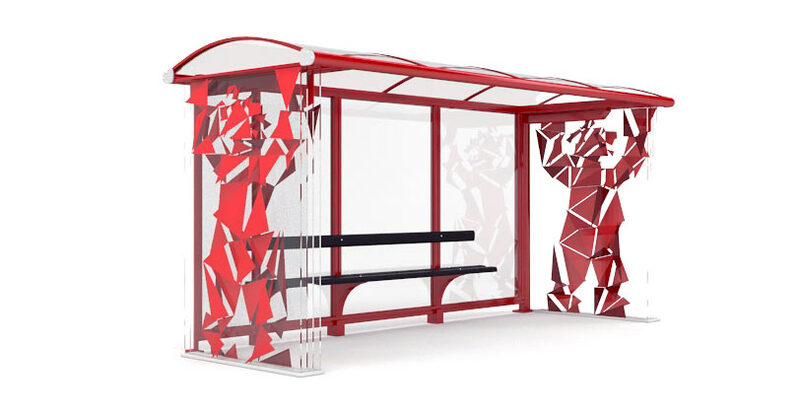 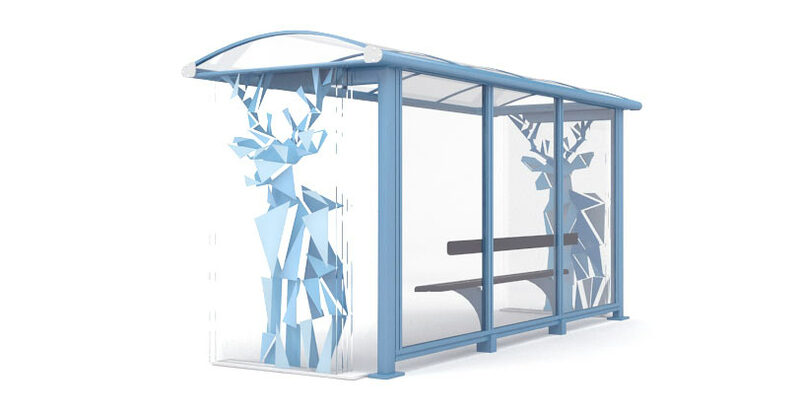 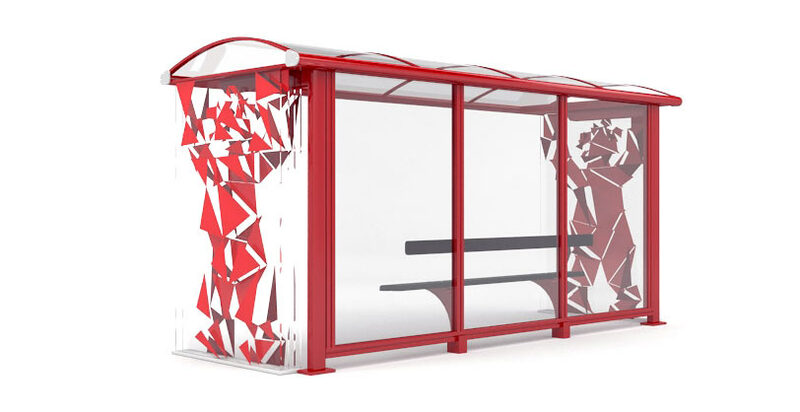 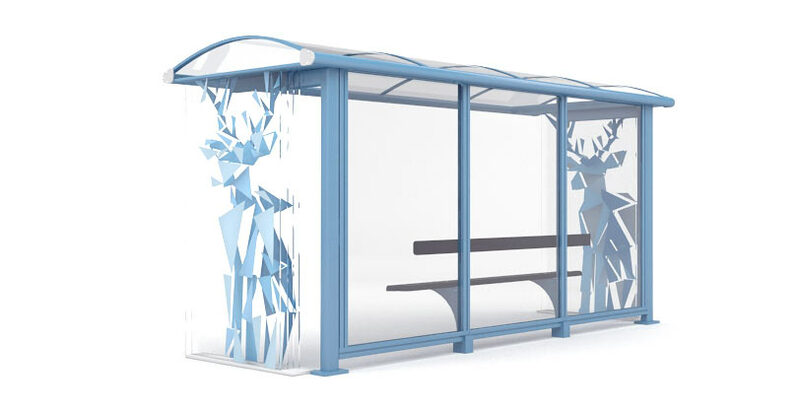 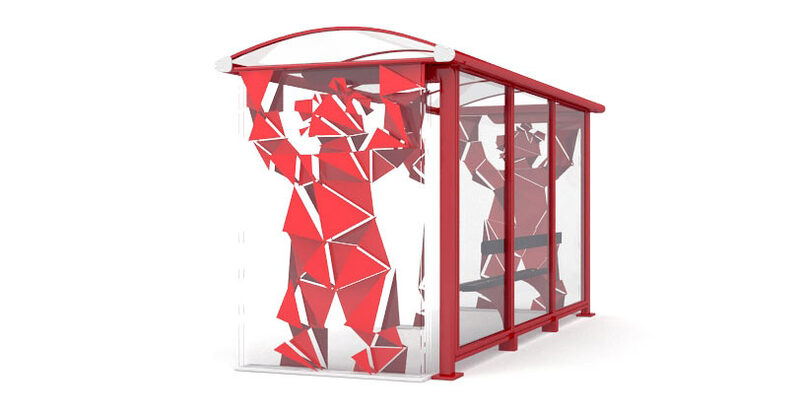 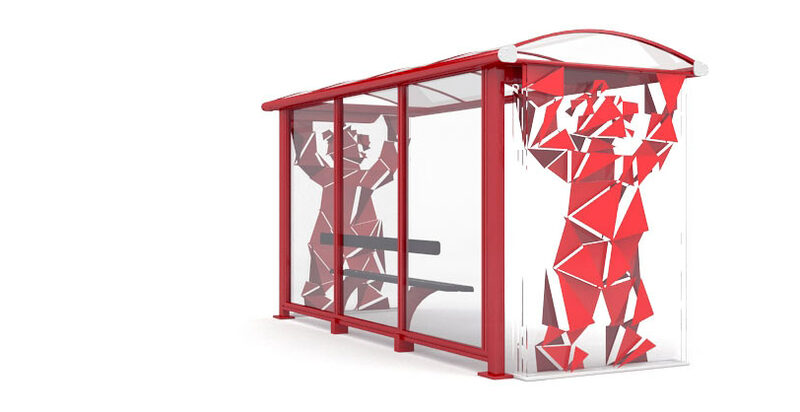 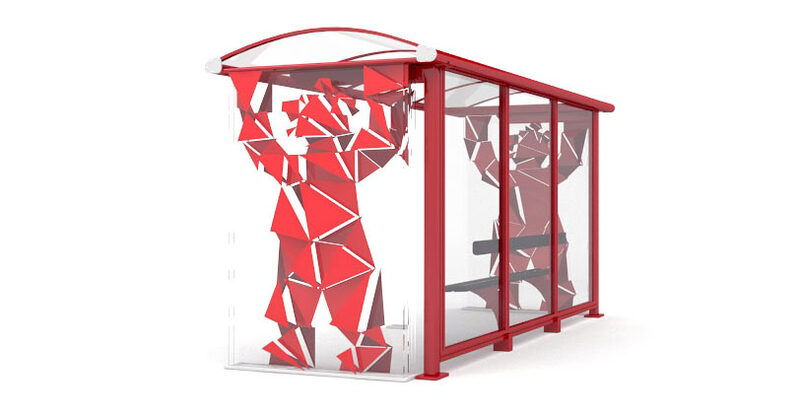 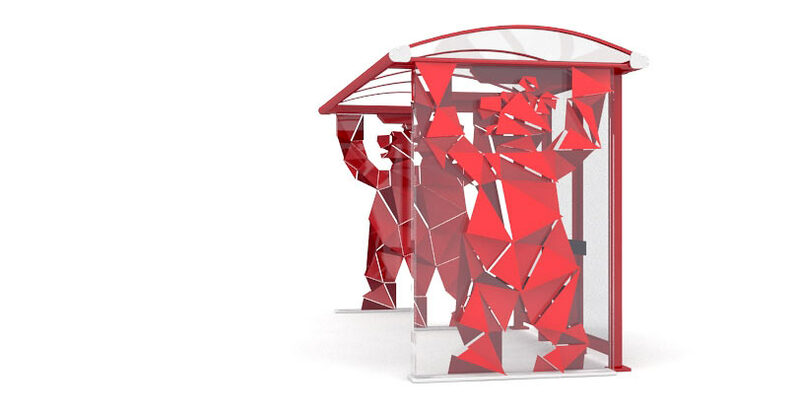 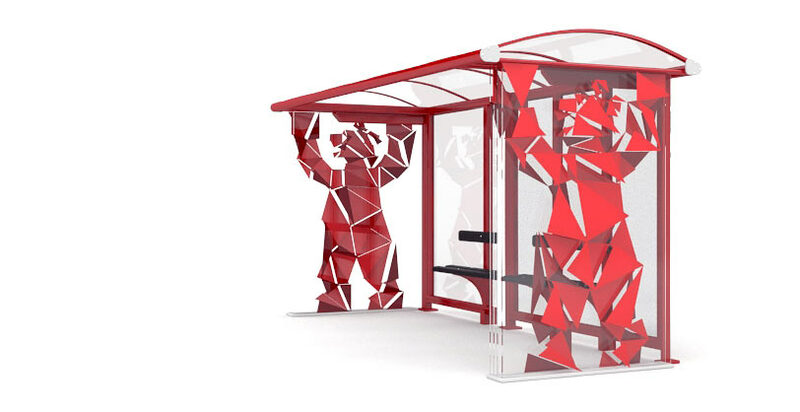 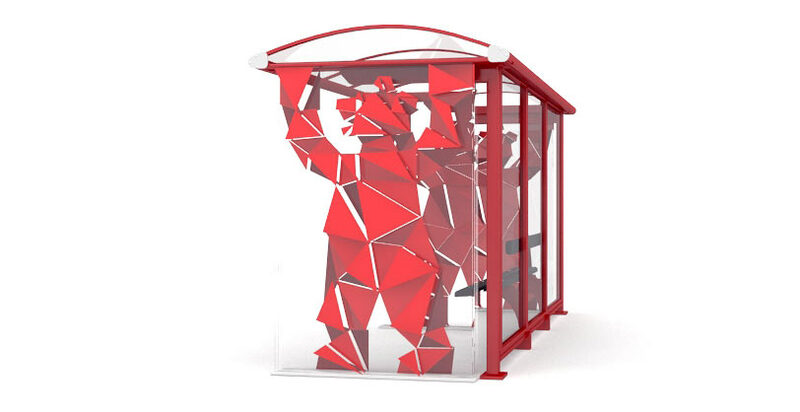 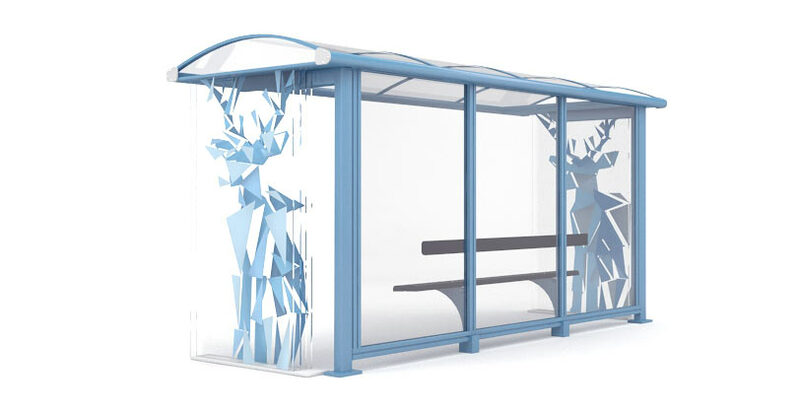 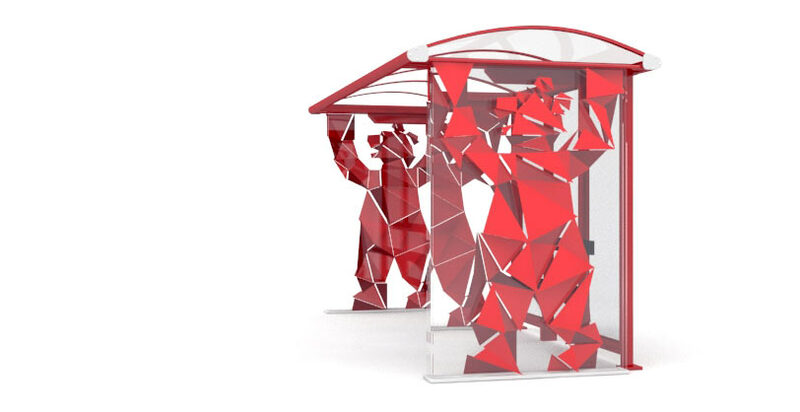 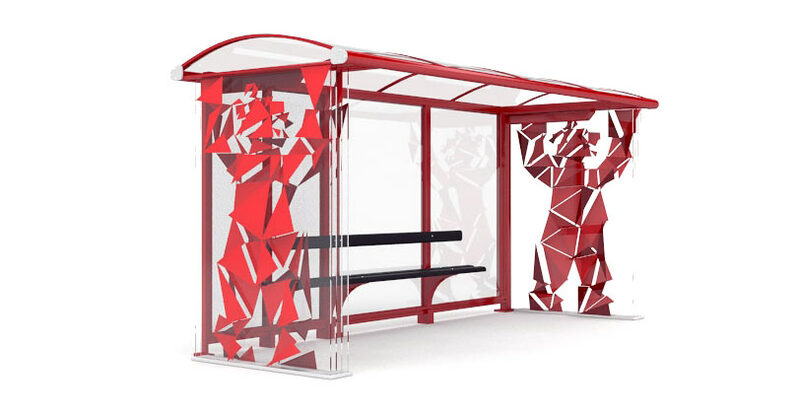 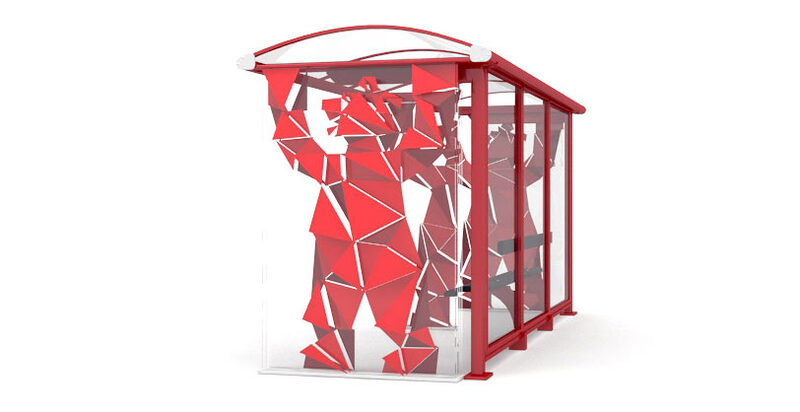 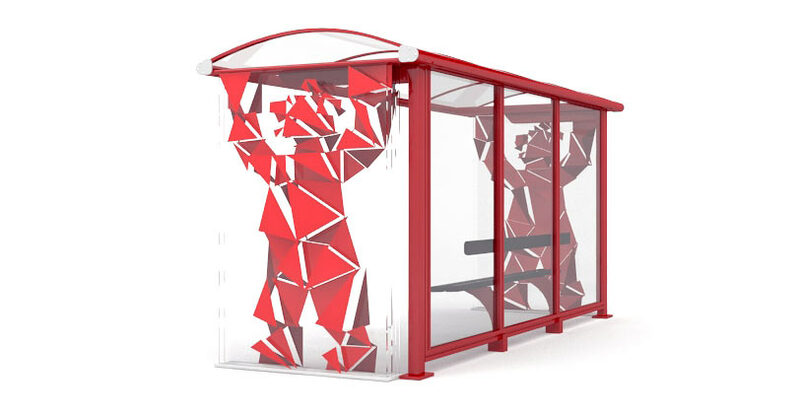 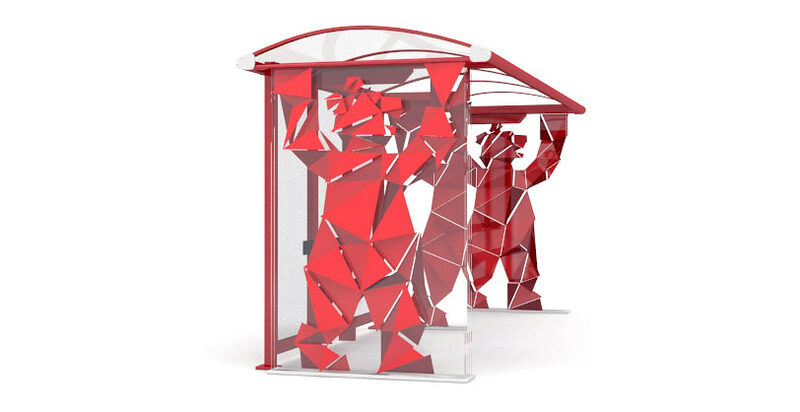 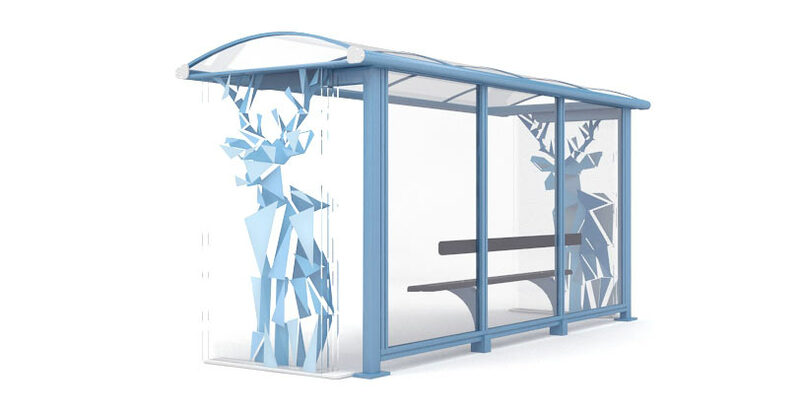 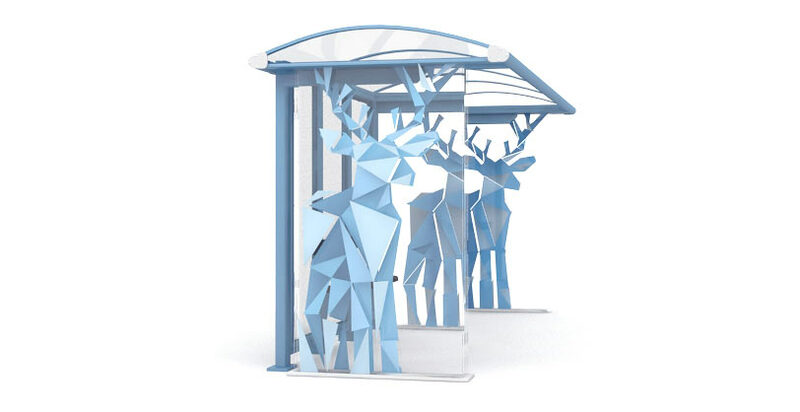 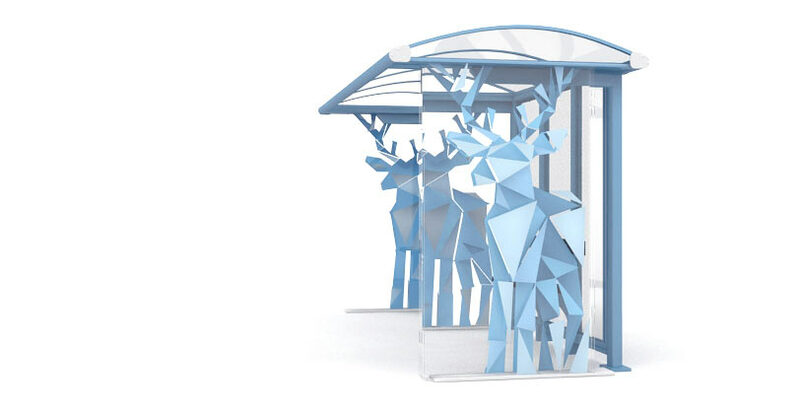 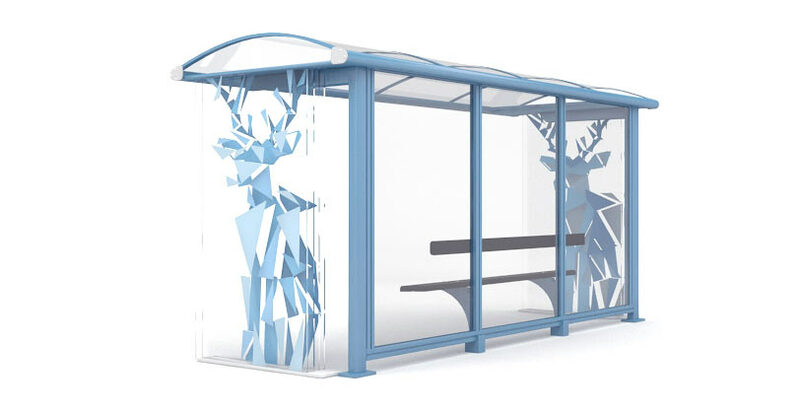 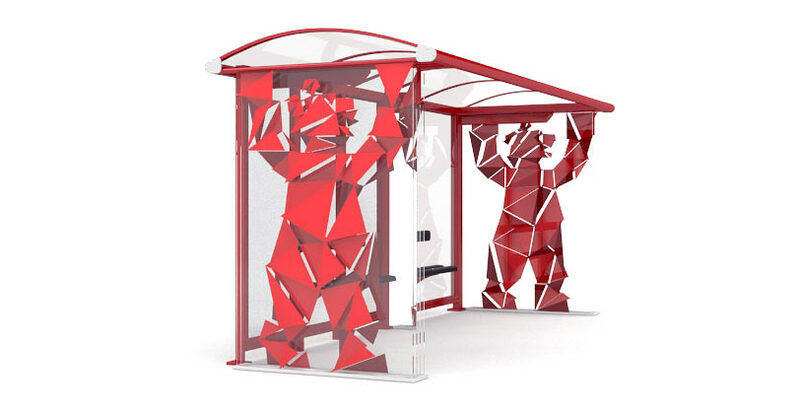 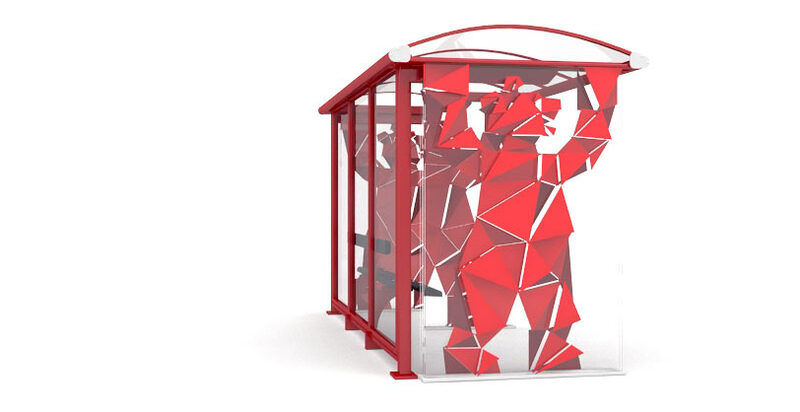 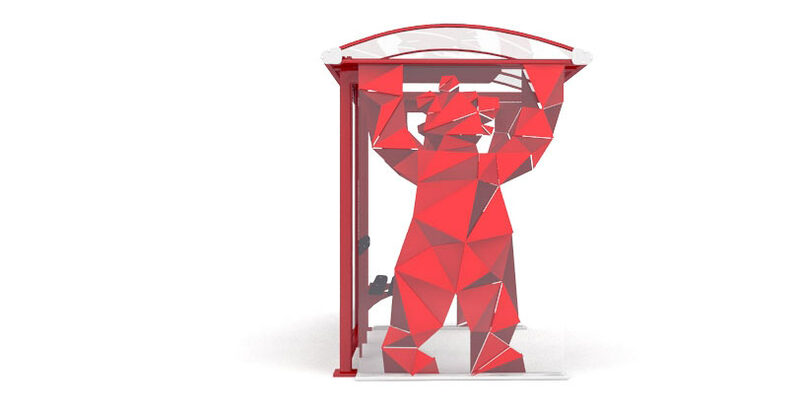 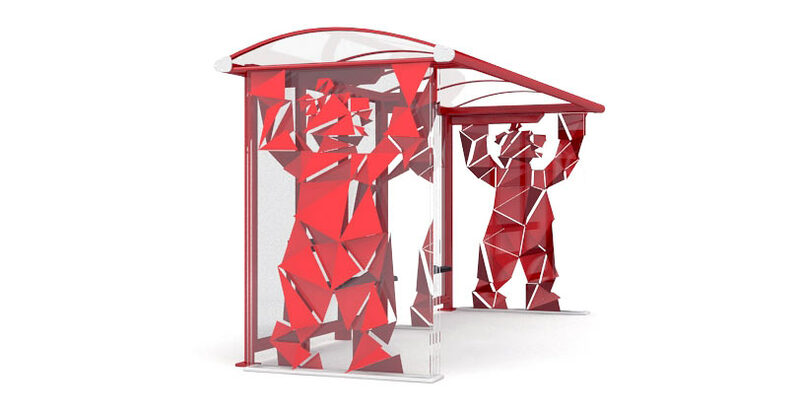 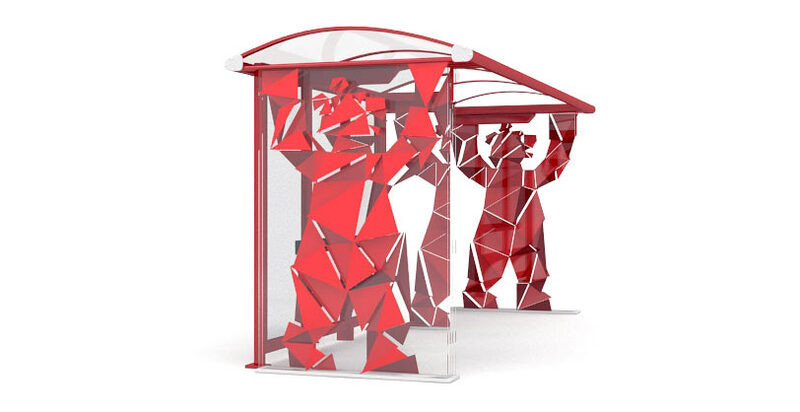 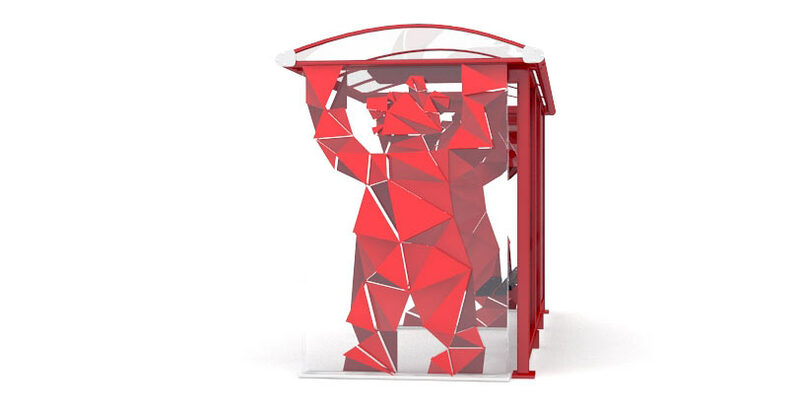 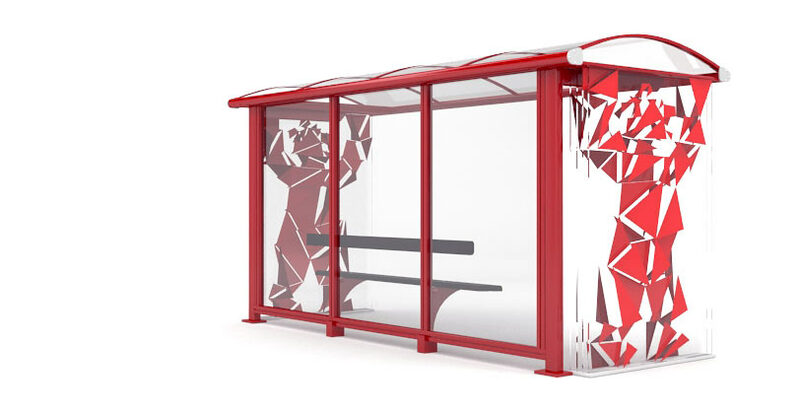 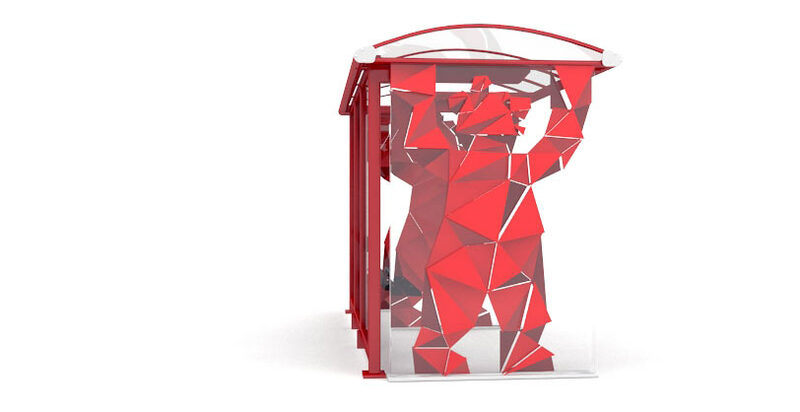 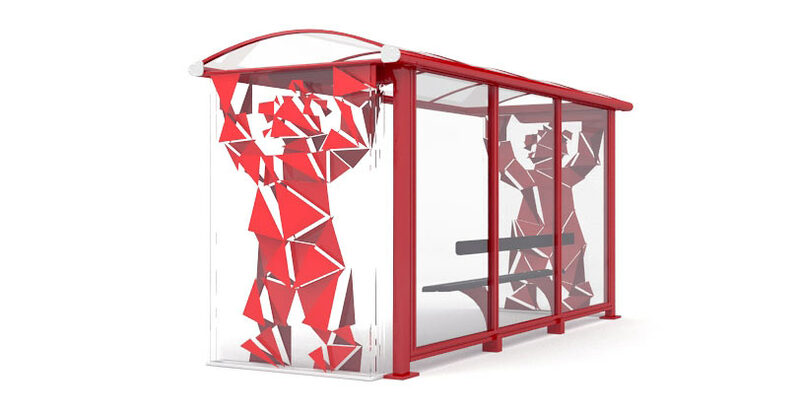 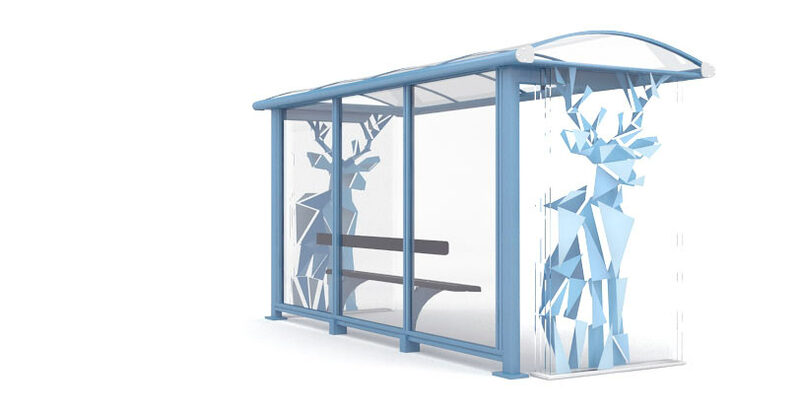 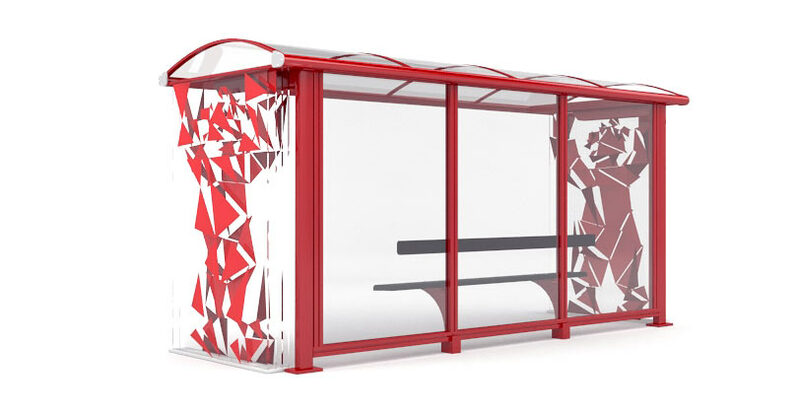 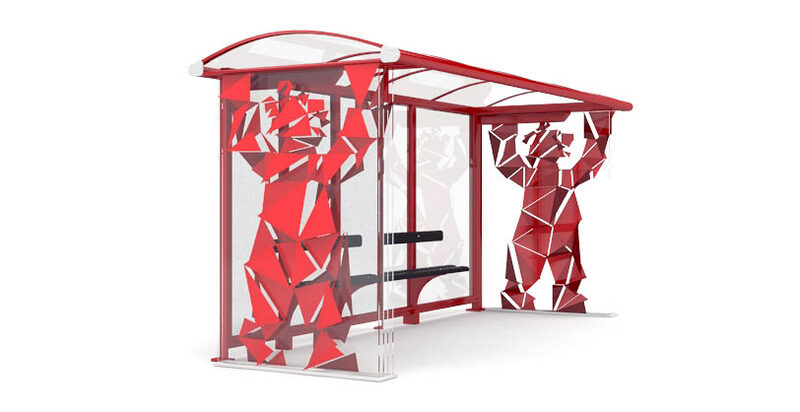 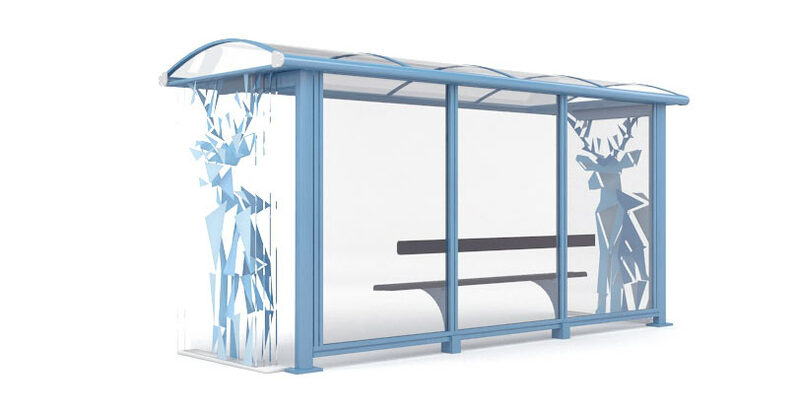 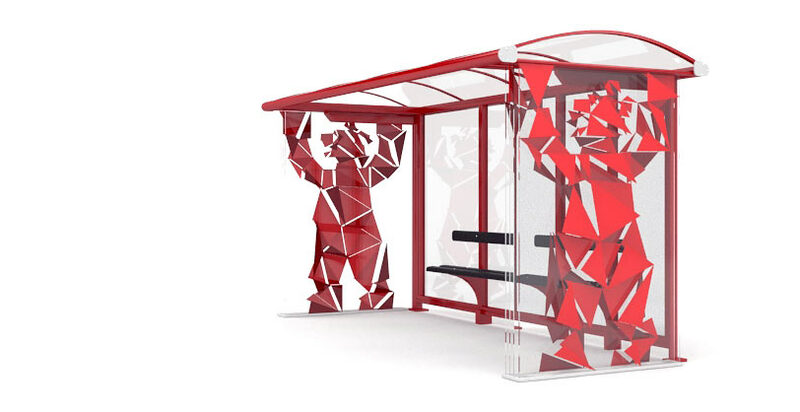 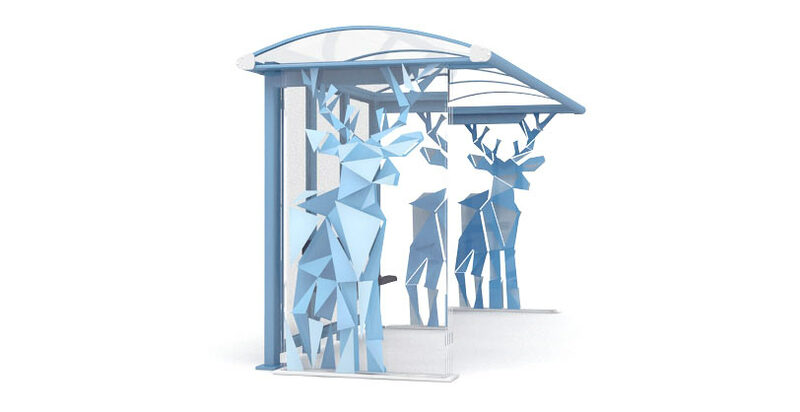 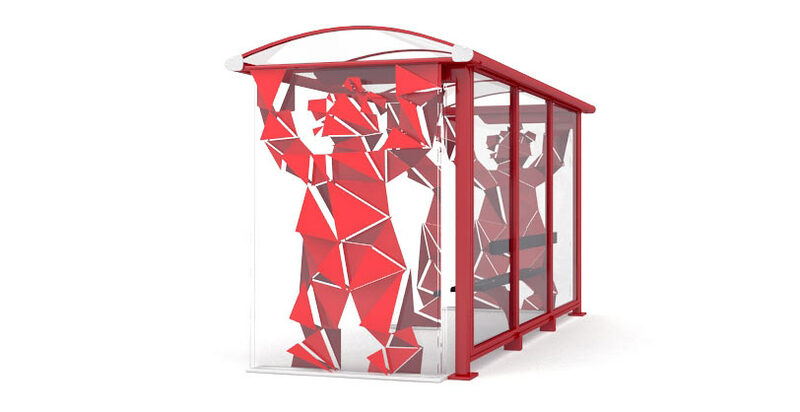 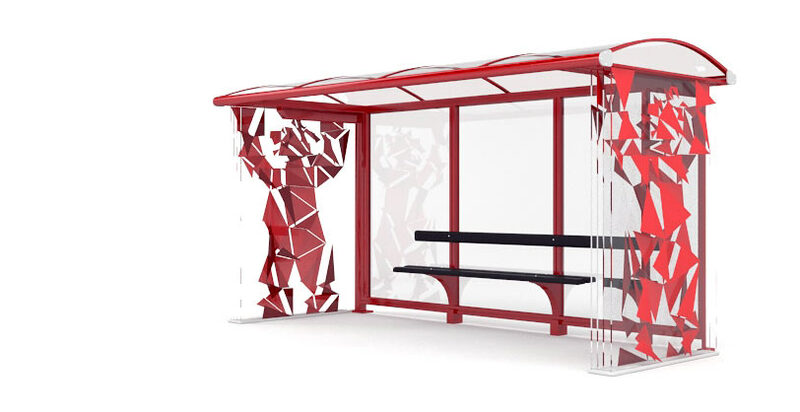 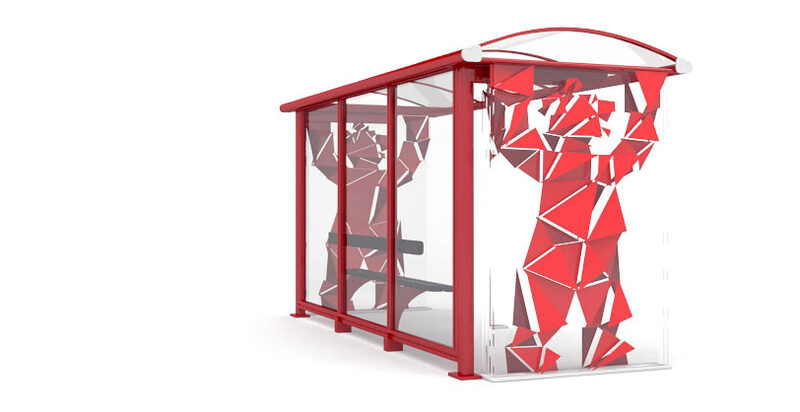 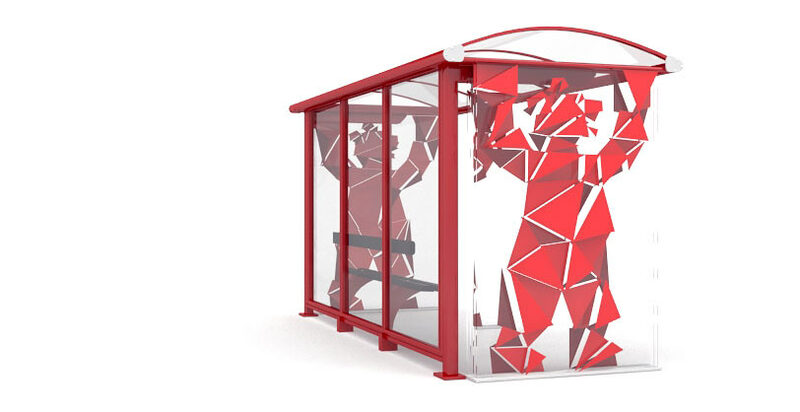 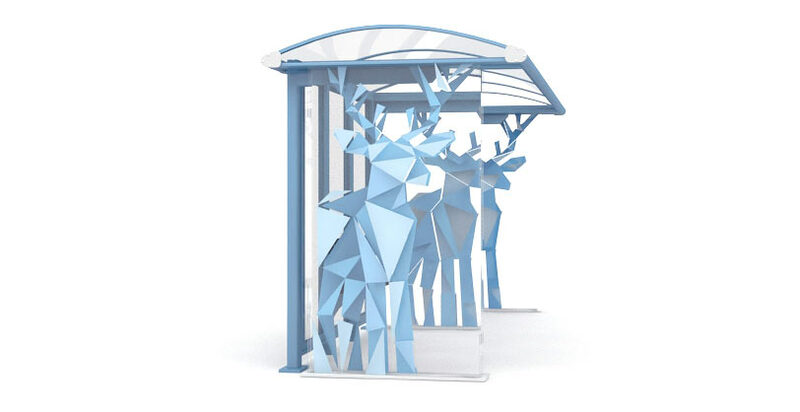 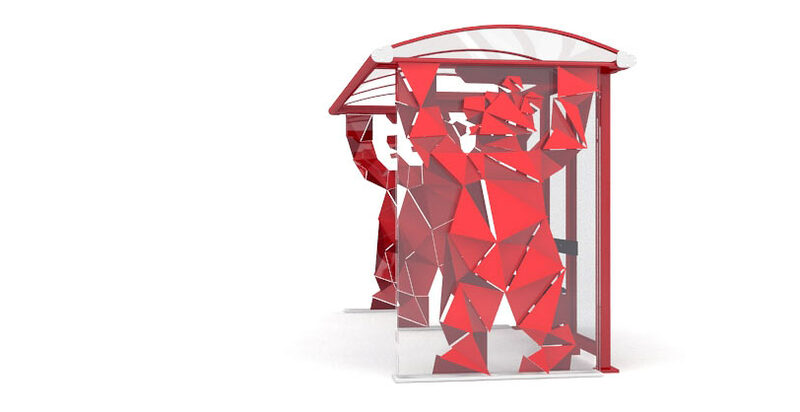 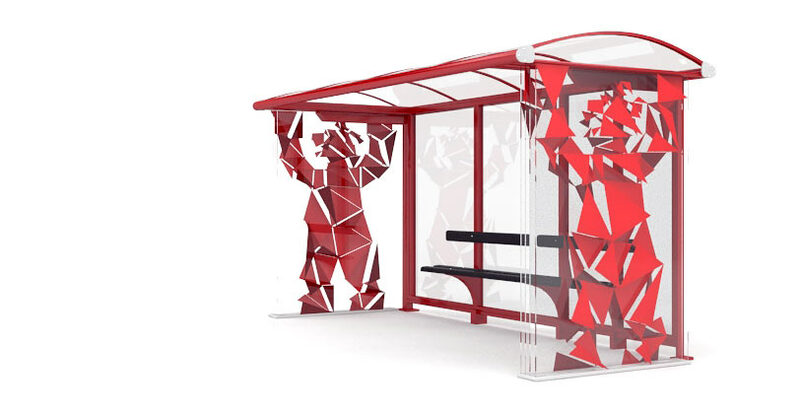 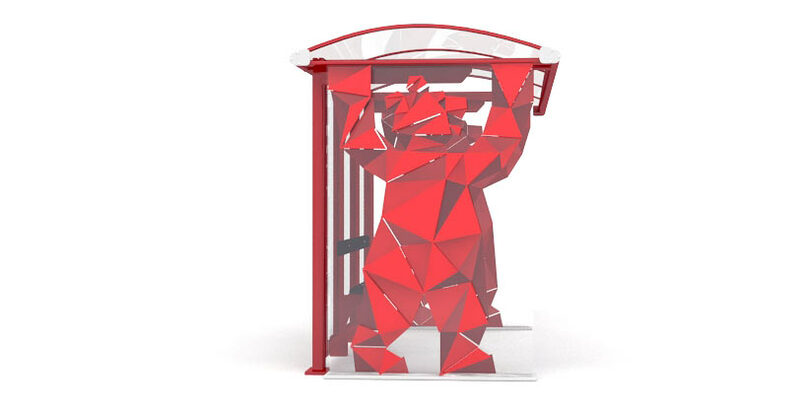 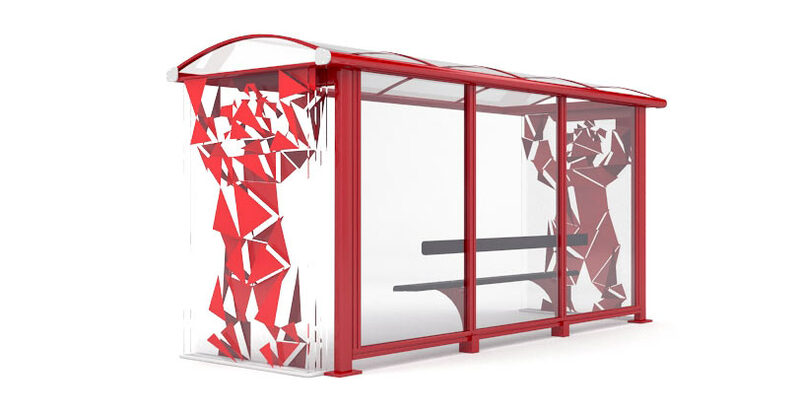 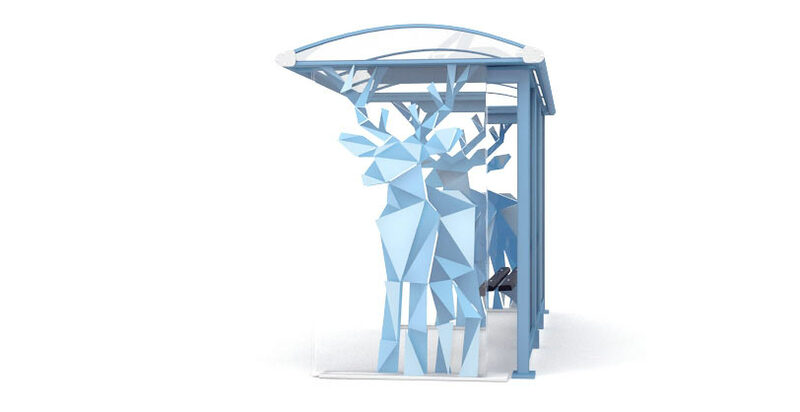 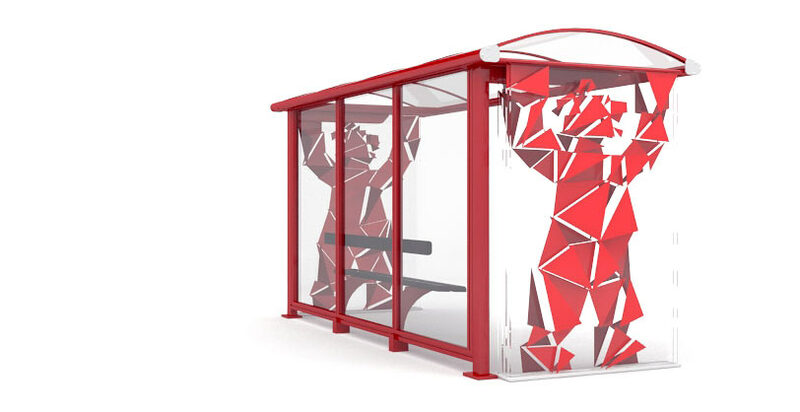 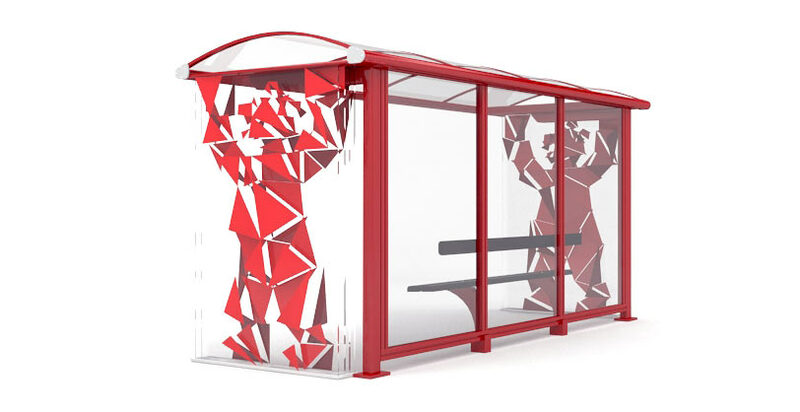 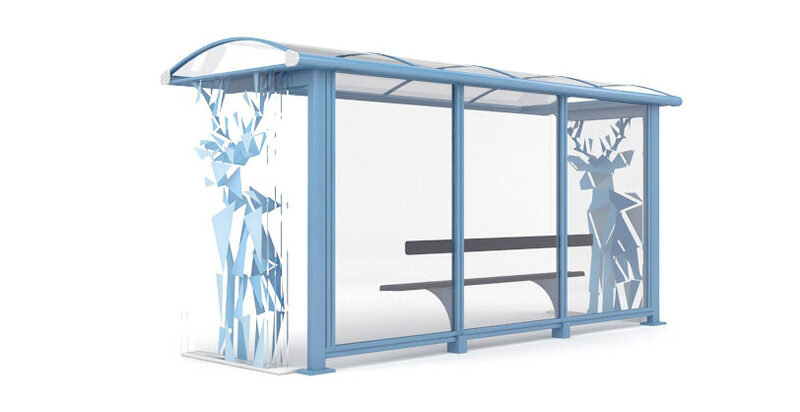 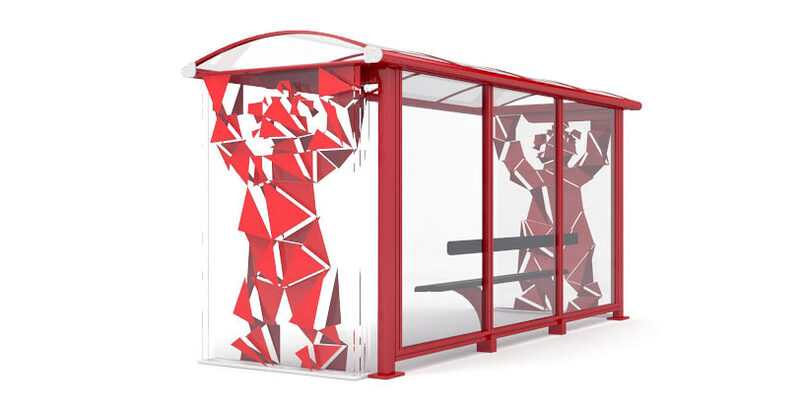 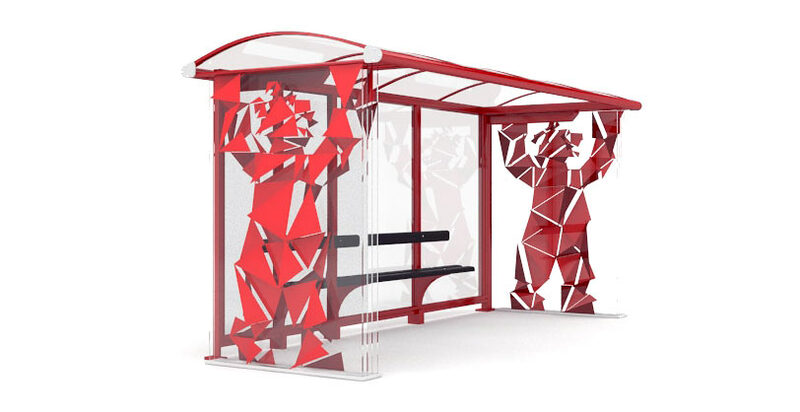 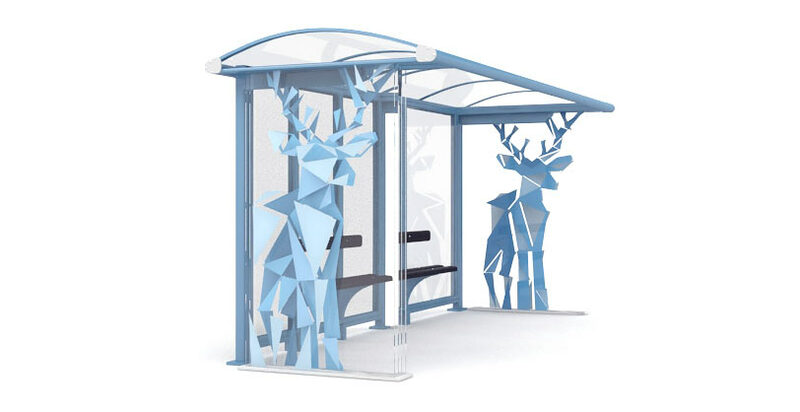 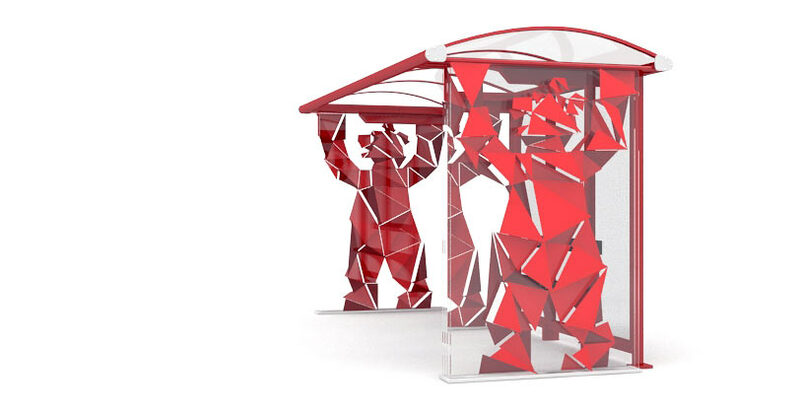 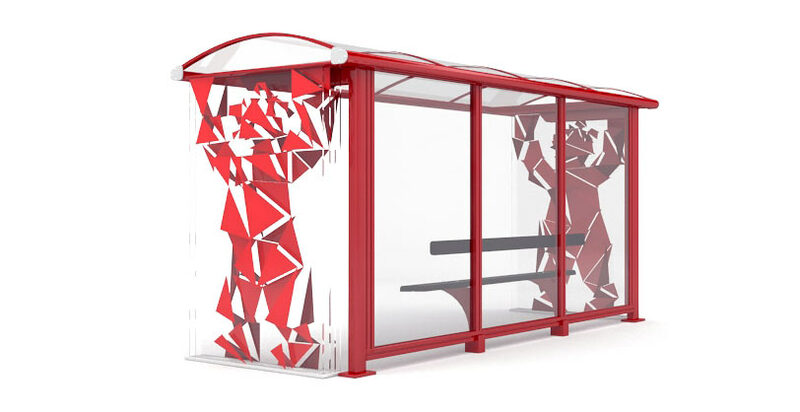 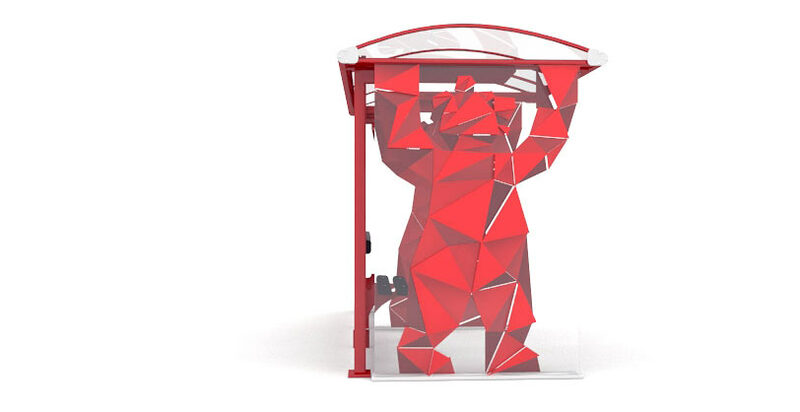 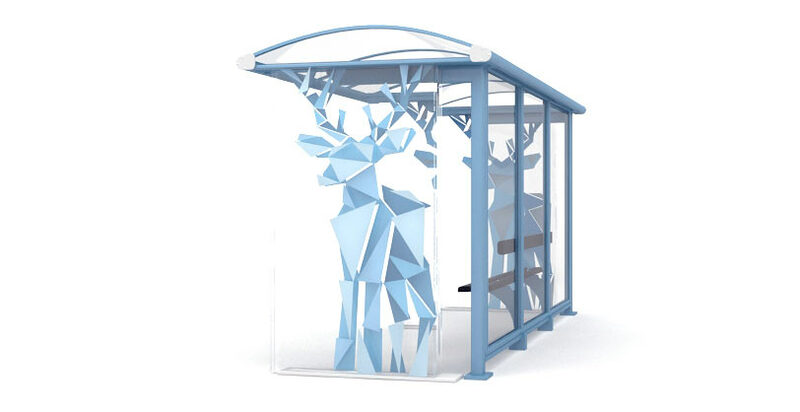 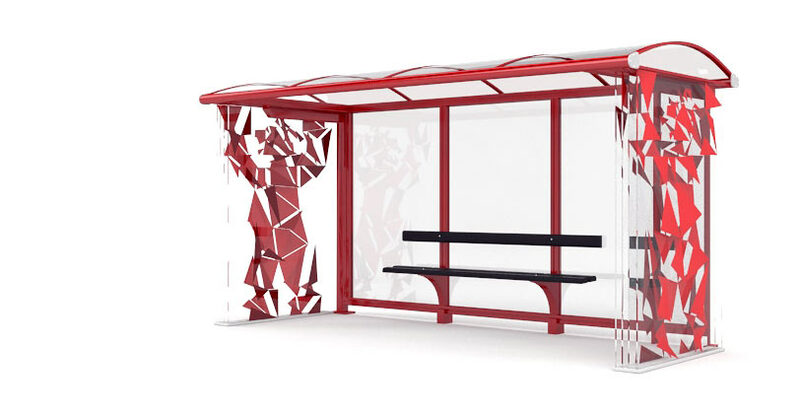 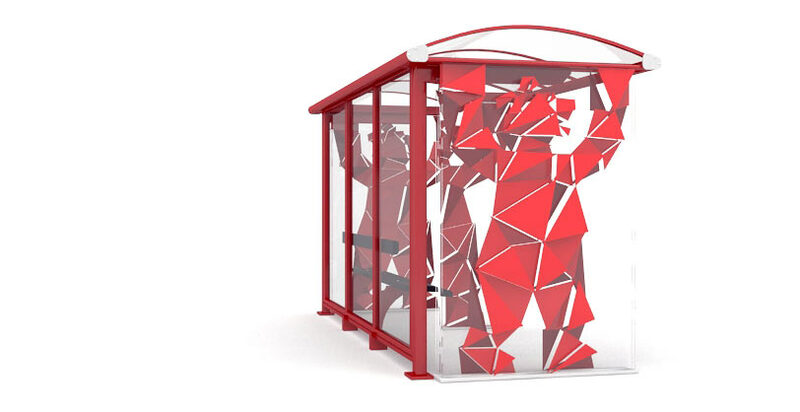 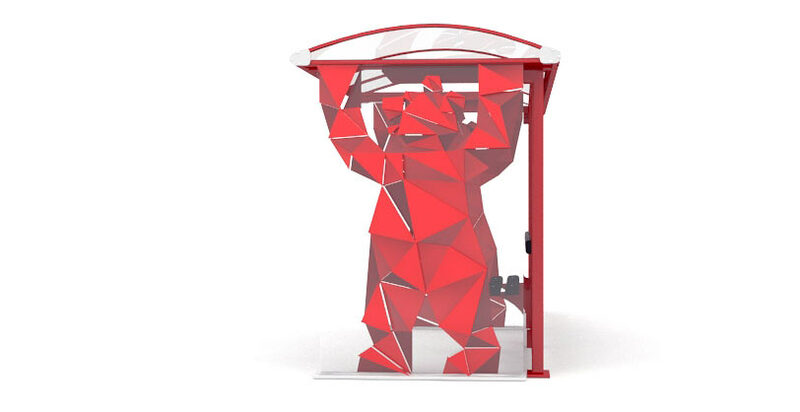 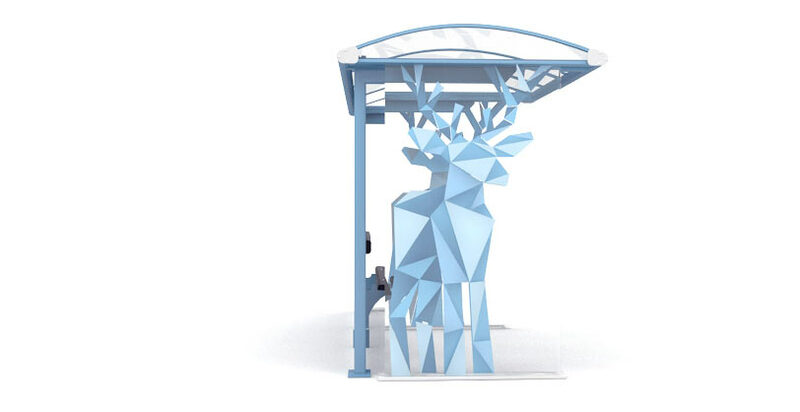 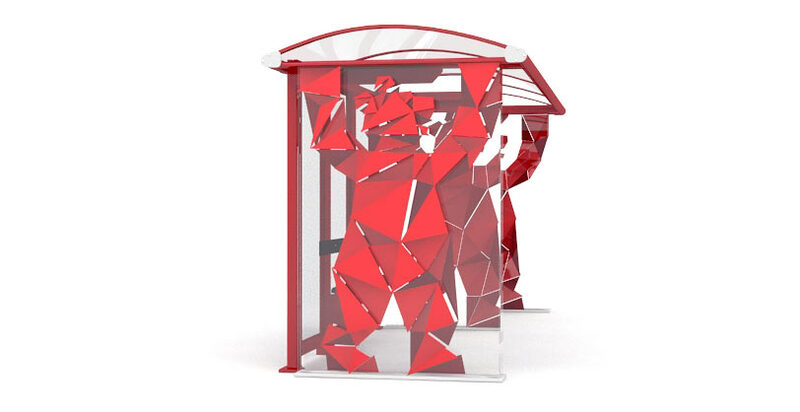 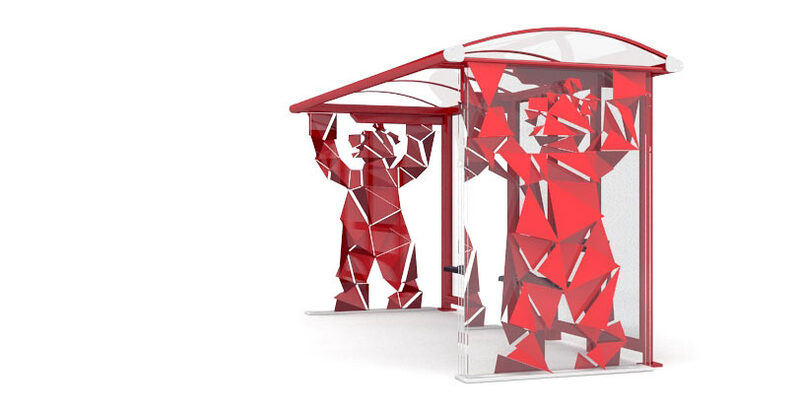 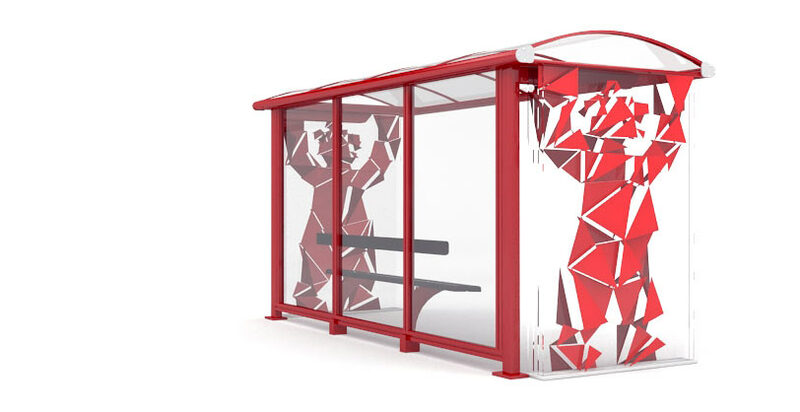 Side panes of the shelters are made of four layers of shatterproof glass with image fragments on each layer that create a volumetric figure with triangulation effect. 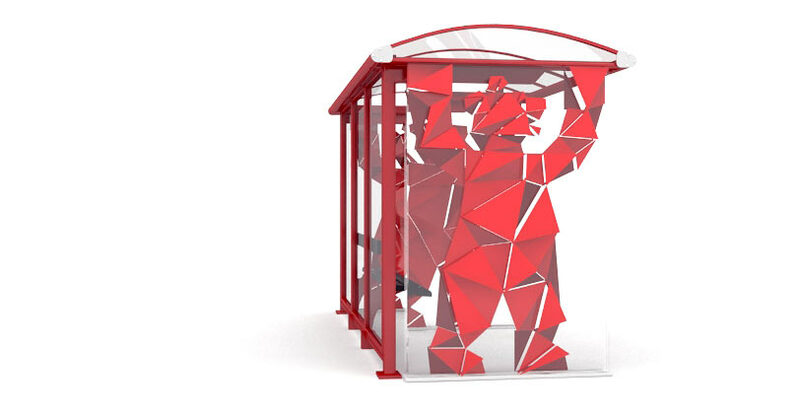 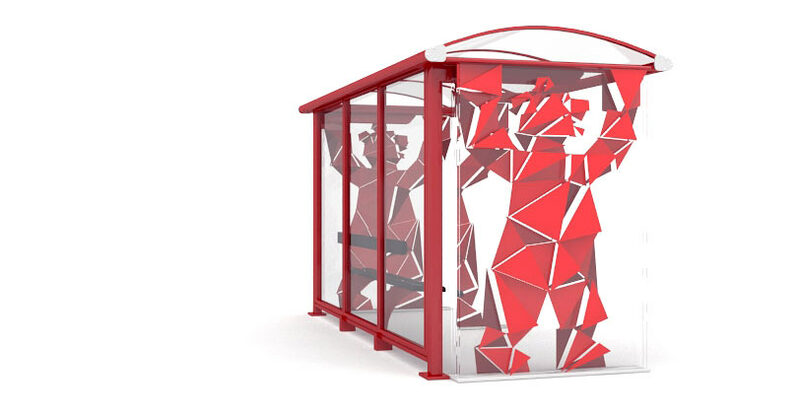 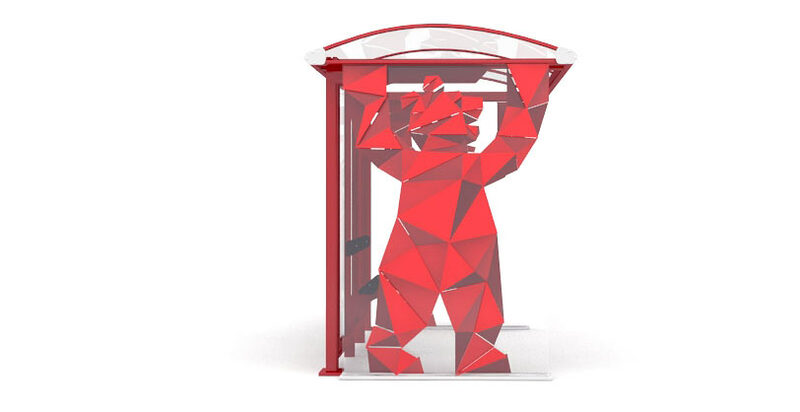 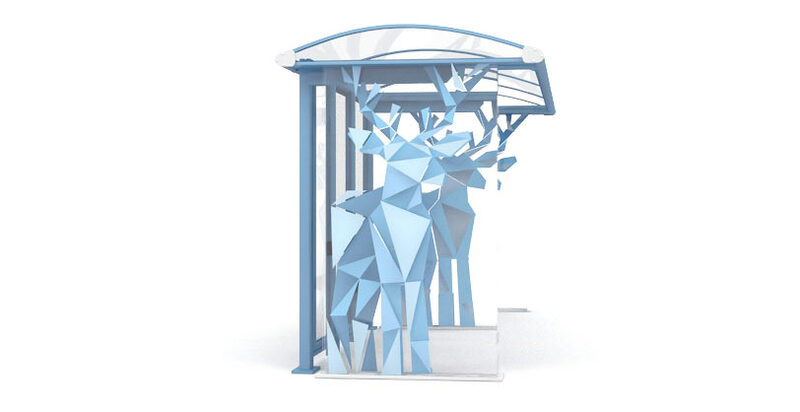 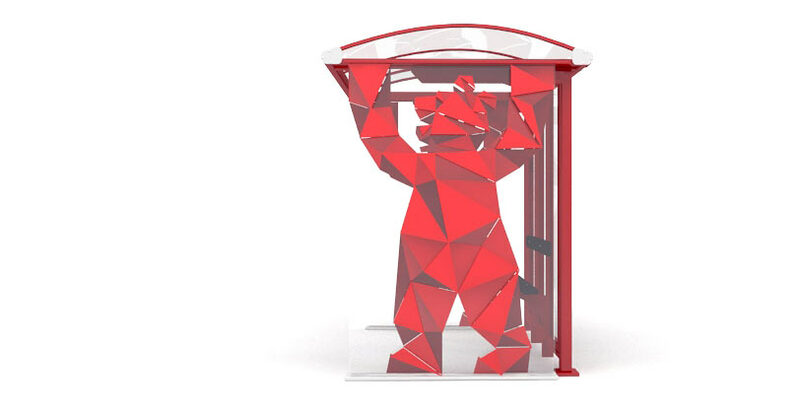 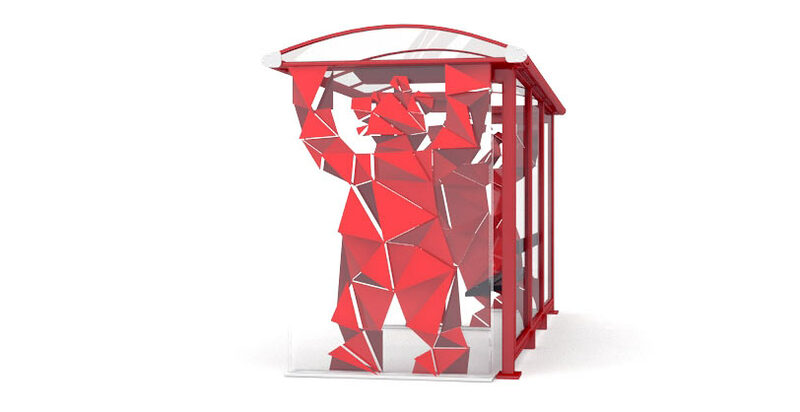 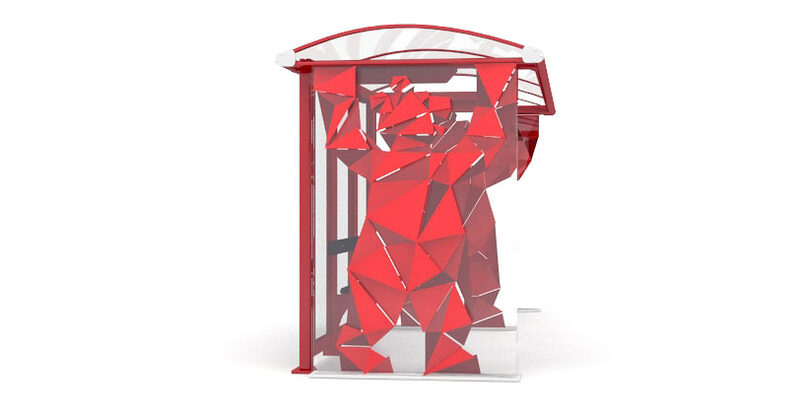 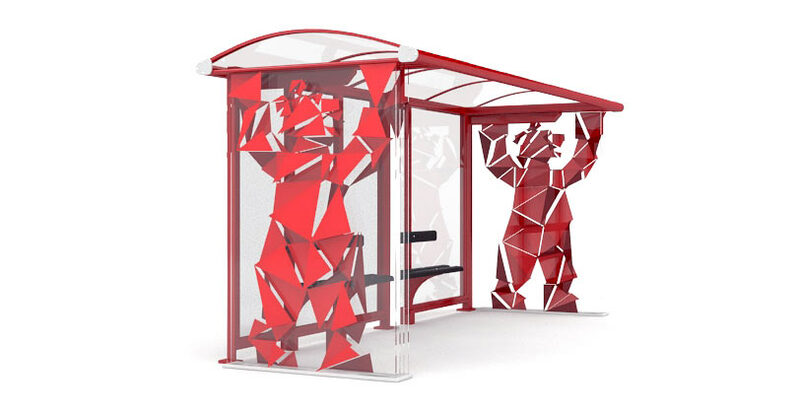 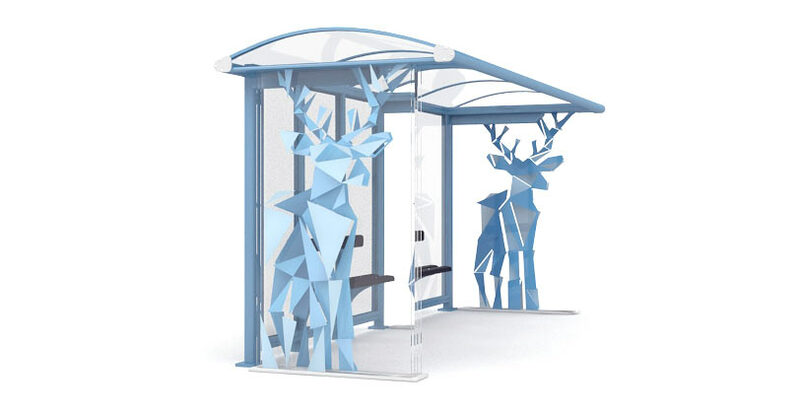 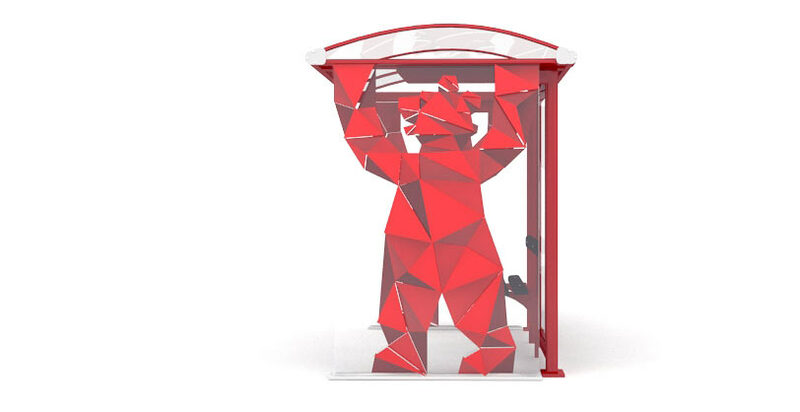 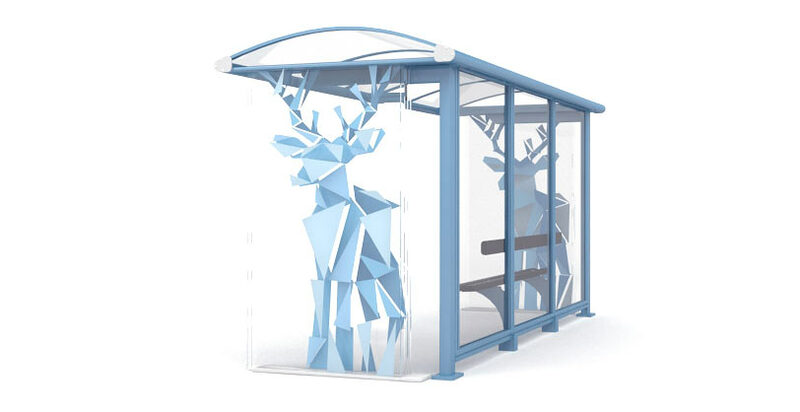 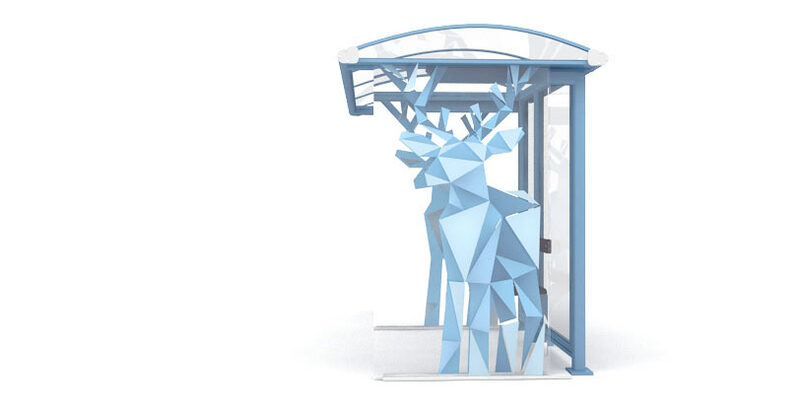 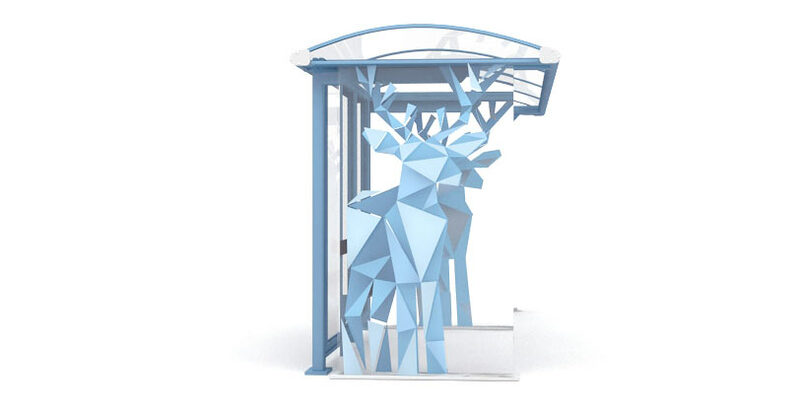 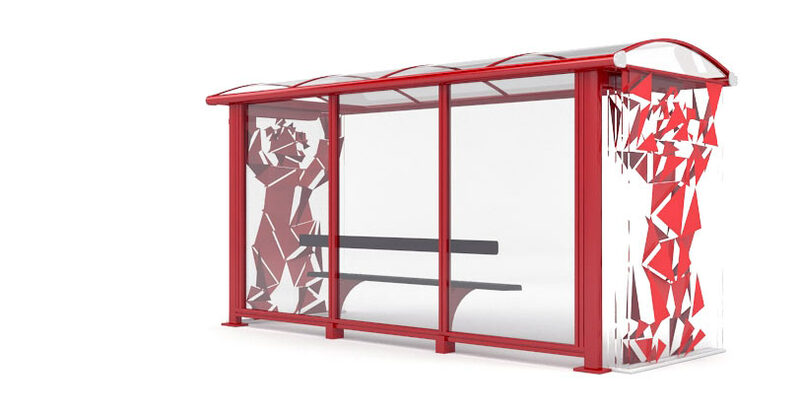 The bear on the German Village bus stop reminds of the coat of arms of Berlin and hints at the quality of houses at the estates, while the deer near White City symbolizes peace and tranquility.